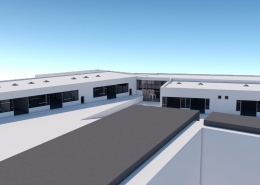 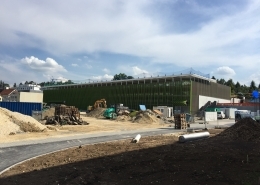 The Chamber of Crafts Niederbayern-Oberpfalz is building a new building at Simmerlingweg 15 in Passau after demolition of the two main buildings. 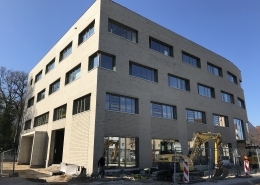 The new building consists of office and training rooms as well as workshops. 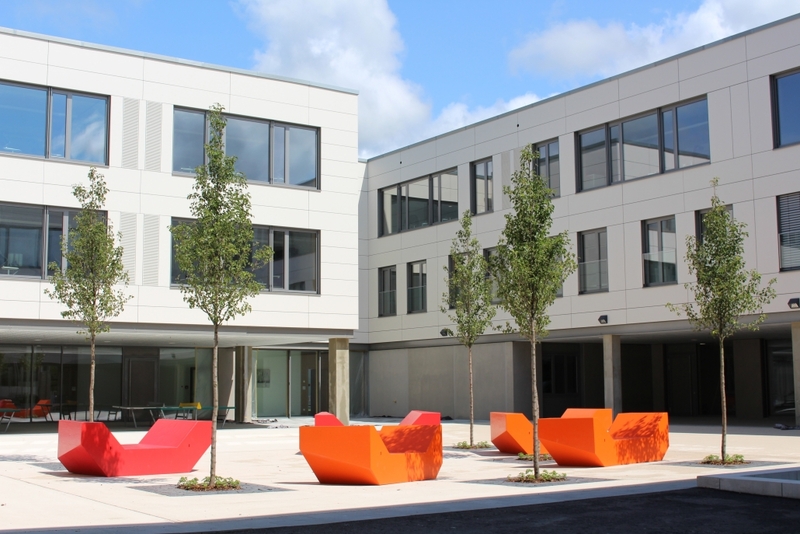 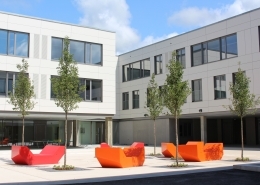 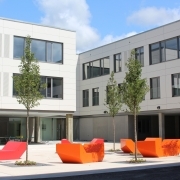 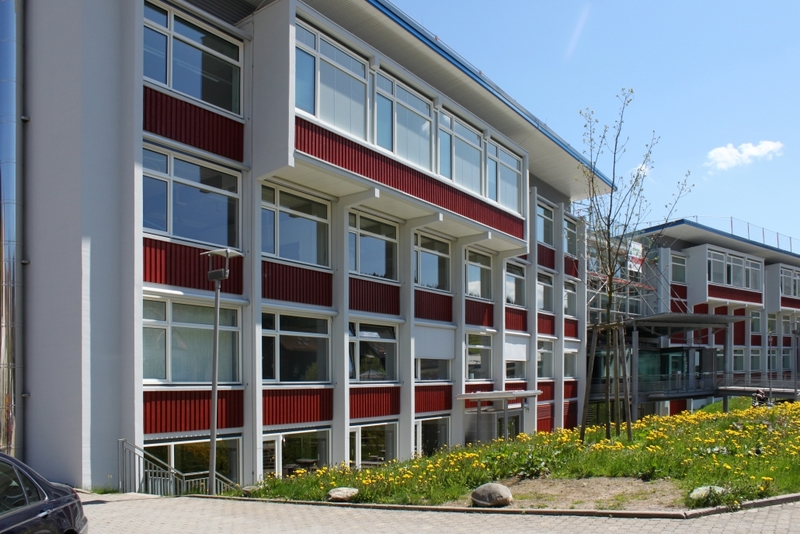 The vocational school is designed for around 200 to 220 pupils and 11 trainers. 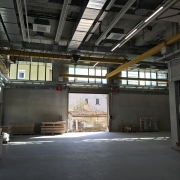 The subjects automotive engineering, carpentry and bricklaying will be taught. 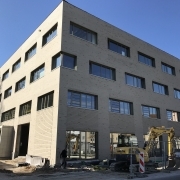 IFB Ingenieure GmbH was commissioned to carry out an acoustic analysis as part of the preparation of the “GE-GI Simmerlingweg” and “Former German Armed Forces Kohlbruck P6” development plan, which will examine the compatibility of the planned commercial use with the existing neighbouring buildings with regard to noise immission control. 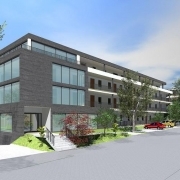 The planned area is to be designated as a restricted commercial area. 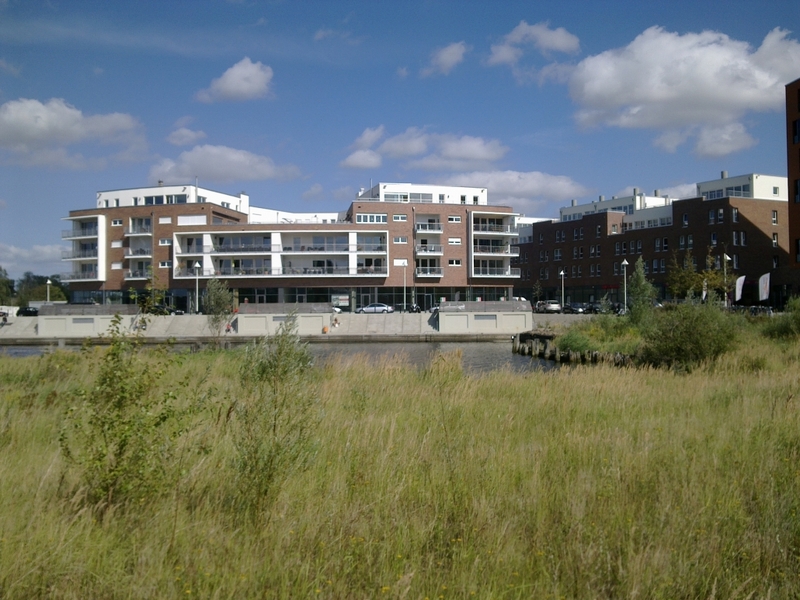 Commercial noise in urban land use planning is assessed according to DIN 18005 “Noise protection in building construction”. 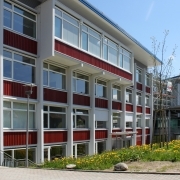 Since the use of the planning area as a vocational school centre has already been determined, compliance with the Technical Instructions for Noise Abatement (TA Lärm) must rather be verified within the framework of a noise protection report. 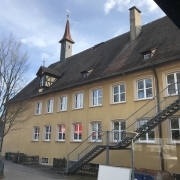 A noise immission forecast was therefore prepared in accordance with Appendix A.2 of TA Lärm. 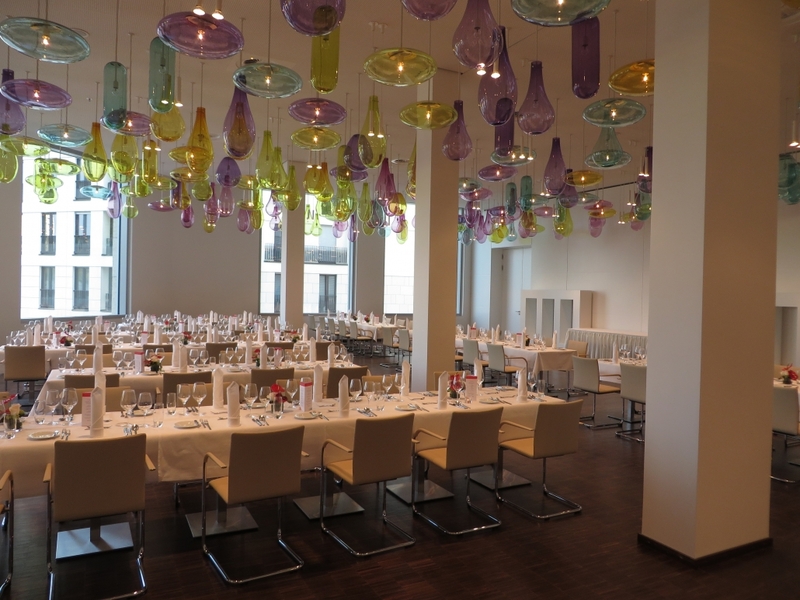 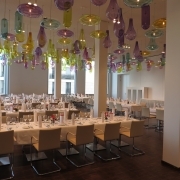 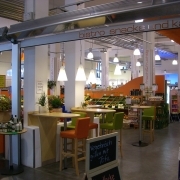 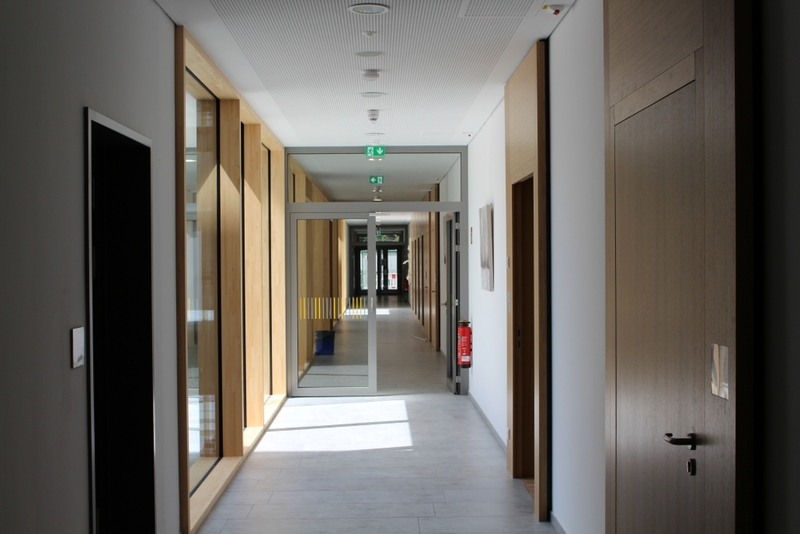 IFB Ingenieure GmbH was also active in the field of room acoustics and thermal protection. 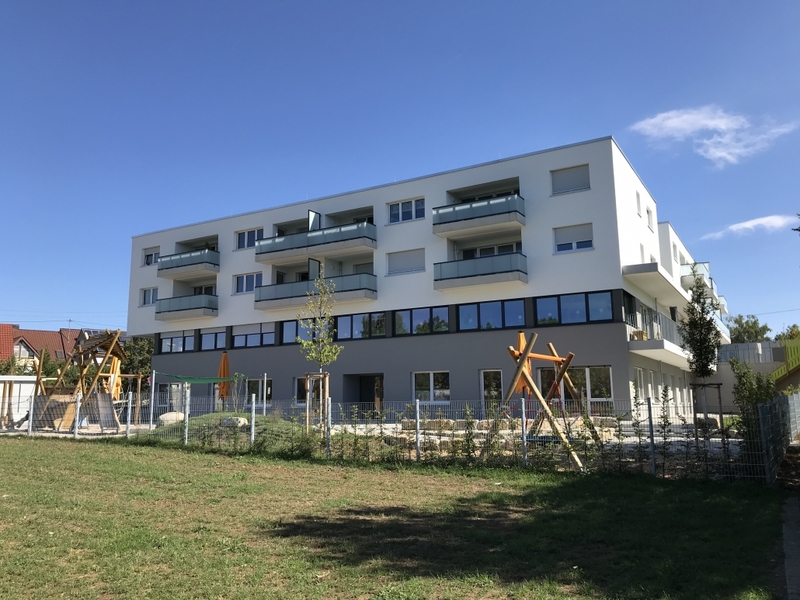 The Berlin district office Marzahn-Hellersdorf commissioned a comprehensive building project in the Ulmen primary school in Berlin. 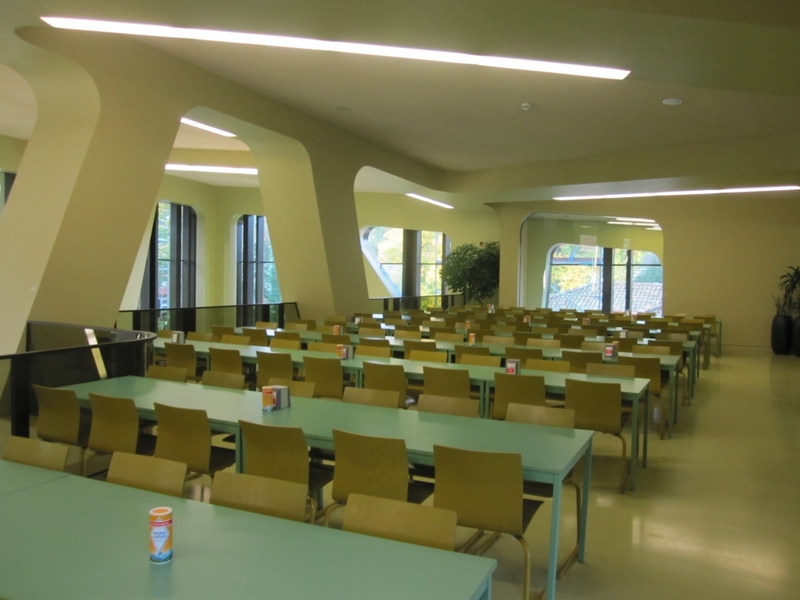 This includes the conversion of the kitchen area, the installation of a new canteen and kitchen as well as the renovation of the sanitary areas. 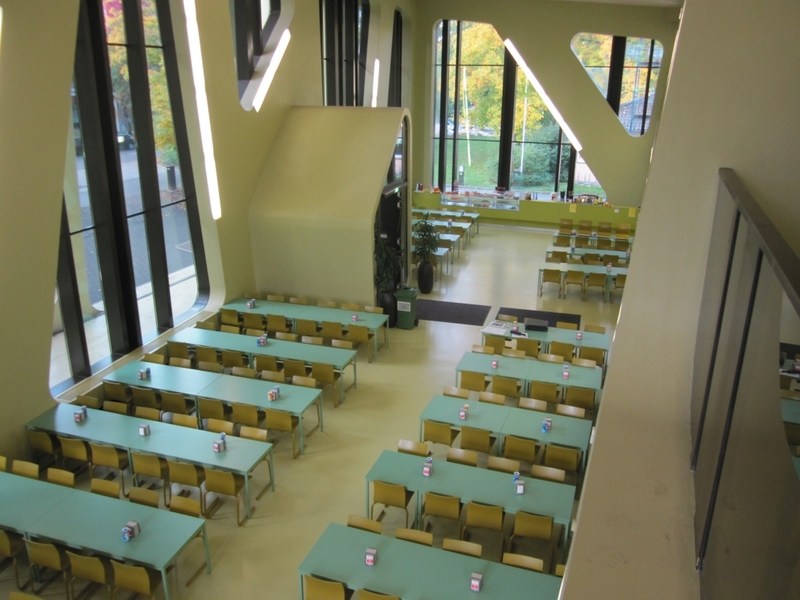 The existing kitchen and dining room is to be converted into three classrooms after demolition. 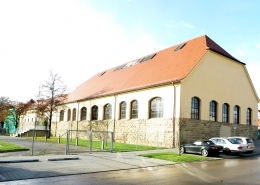 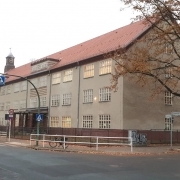 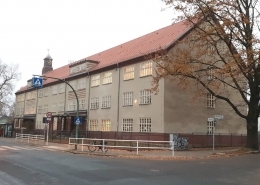 The construction of a new kitchen, including an serving area and the necessary sanitary areas, is to take place in the area of the former gymnasium of the primary school. 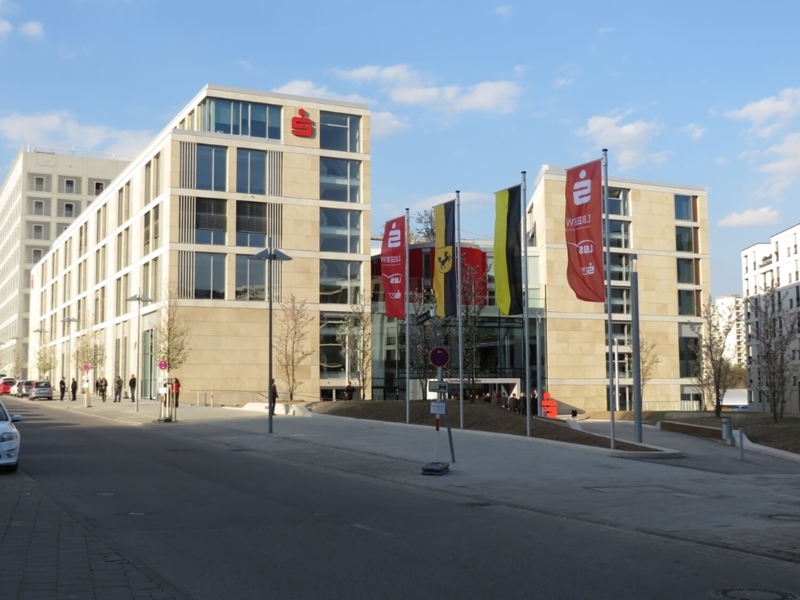 IFB Ingenieure GmbH was commissioned for the planning of the heating, air-conditioning and sanitary installations as well as for electrical and telecommunications engineering. 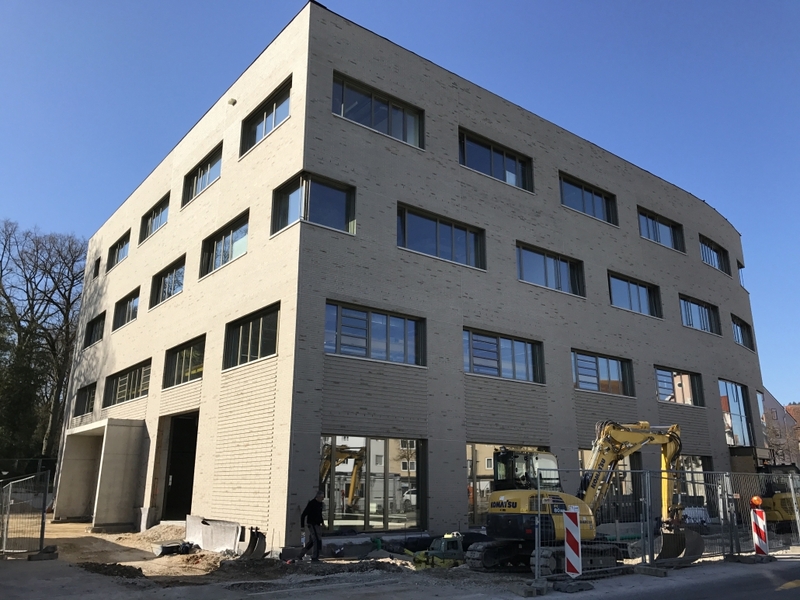 In the Severingstraße in Berlin, a new training, education and event building is to be built for the Deutsche Lebens-Rettungs-Gesellschaft (DLRG). 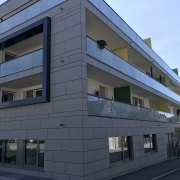 The project comprises the remediation of pollutants and the subsequent demolition of the existing buildings and the construction of the new building. 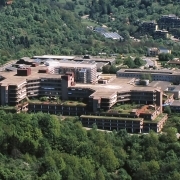 The demolition of the existing buildings and explosive ordnance sounding will take place in 2018. 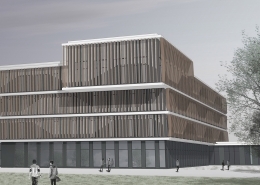 The new building is to be constructed at a similar location in close coordination with the city planning office. 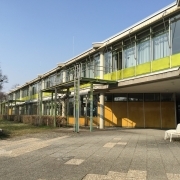 The building requires a gross floor area of approx. 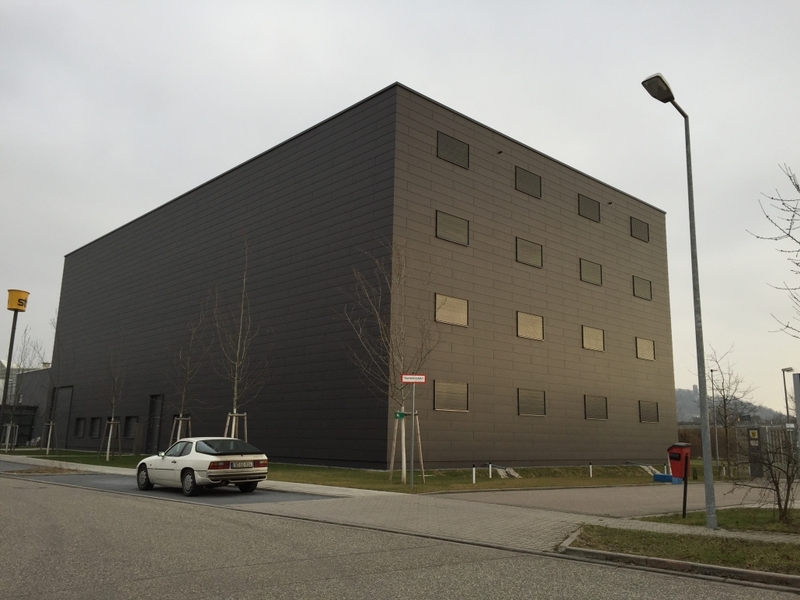 491 m², of which approx. 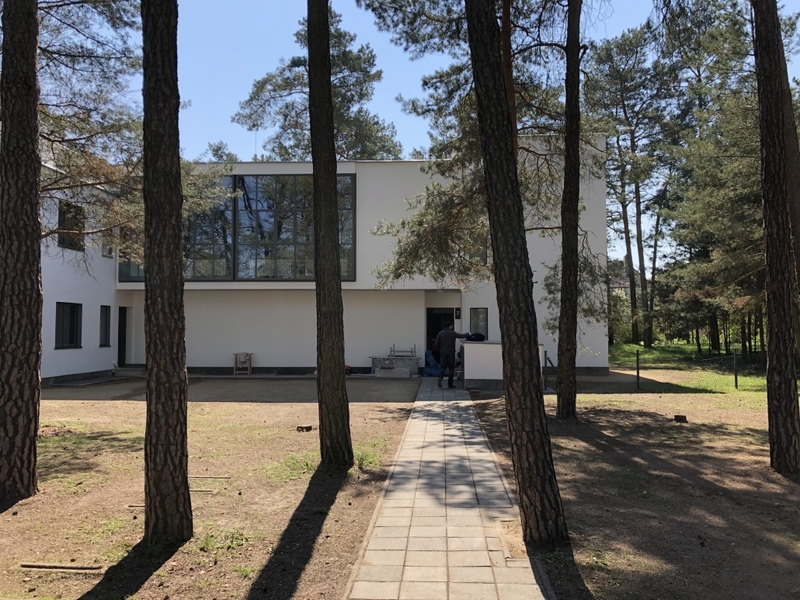 125 m² for a multi-purpose room can be divided into two rooms of the same size and a kitchen area with food and drink serving is planned next to it. 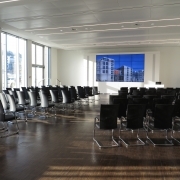 Furthermore, a conference room with approx. 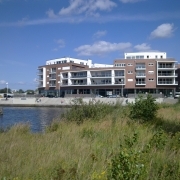 100 m² and approx. 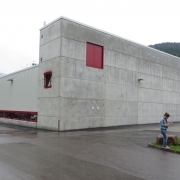 105 m² for the workshop and a warehouse with a minimum length of 8.50 m and a minimum width of 4.5 m are planned. 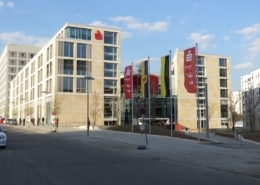 IFB Ingenieure GmbH was commissioned to plan the entire technical building equipment. 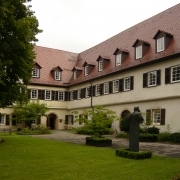 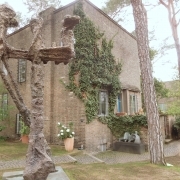 The buildings of the Georg Kolbe Museum consist of a residential house and a studio. 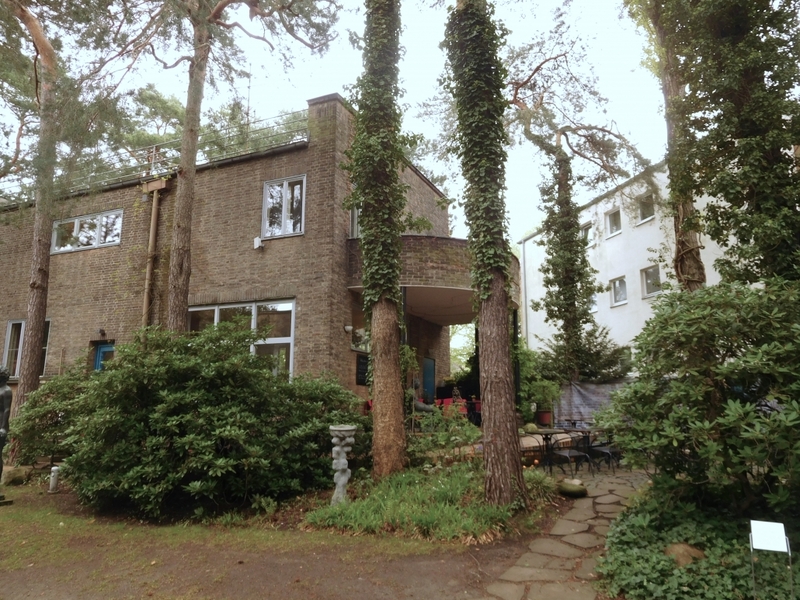 They were built in 1928/1929 and have been listed since 1997. 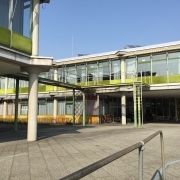 The extension was built in 1994/1995. 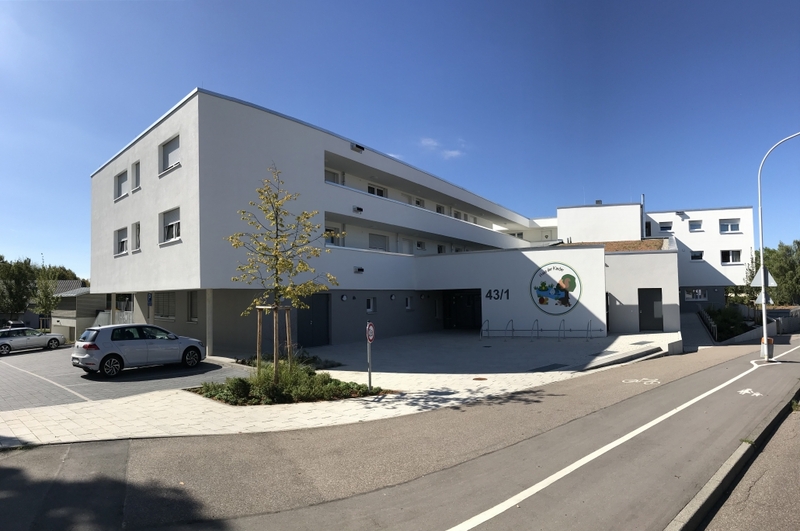 The studio building was renovated and modernised in 2015/2016 in accordance with the requirements of a preservation order. 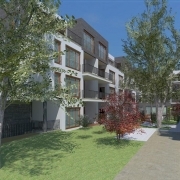 The now planned renovation and modernisation concerns the residential building and the boundary walls to the neighbouring properties on the south and south-east side. 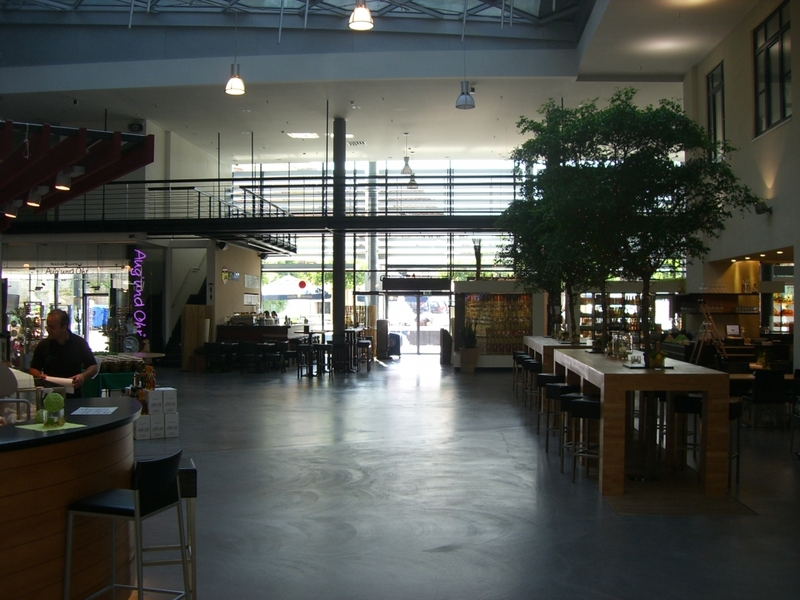 The gross floor area of approx. 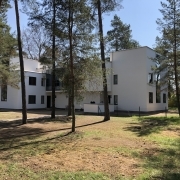 380 m2 is divided between the basement, ground floor and upper floor. 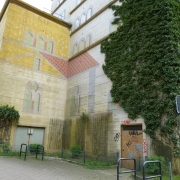 The use of the building will remain as before, i.e. 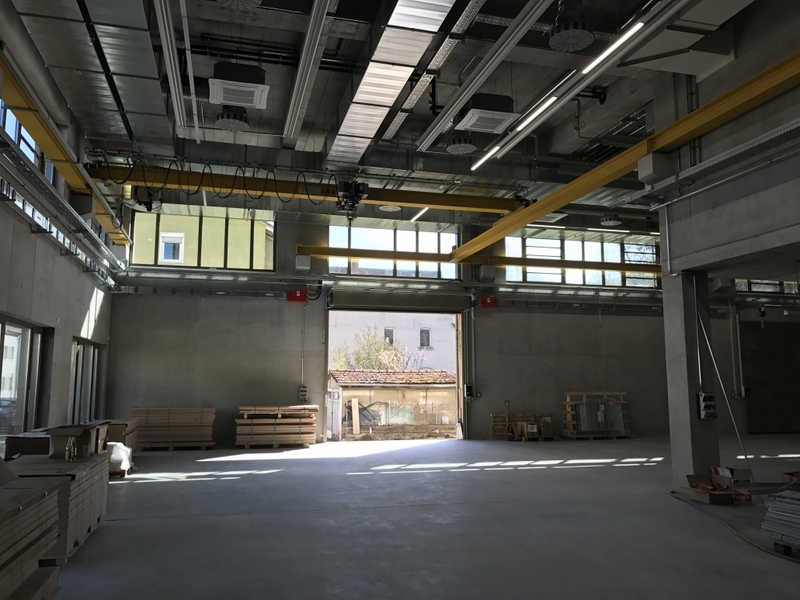 the ground floor will be used as a café and the rooms on the upper floor will be available for small exhibitions, readings or celebrations. 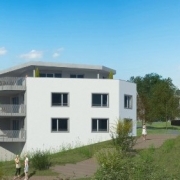 The Stuttgart-based we-house Herne GmbH & Co. KG planned the conversion of a high bunker into a residential building. 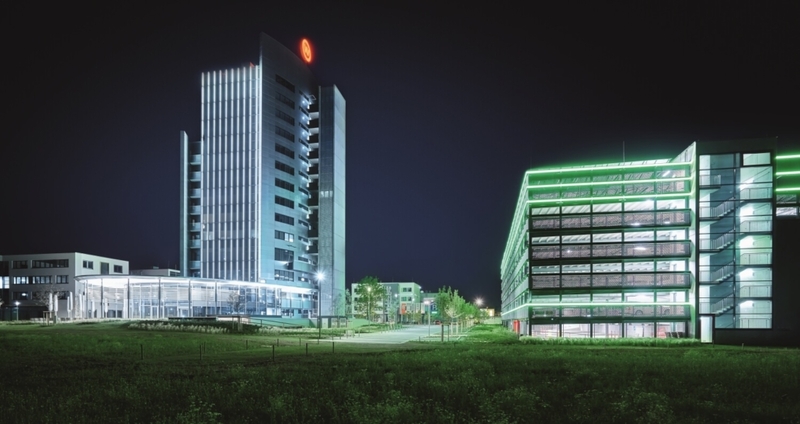 IFB Ingenieure GmbH was assigned to plan the plant groups 1 – 5 and 7. 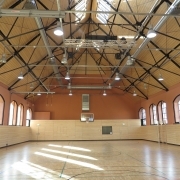 This included the planning of the heating, sanitary, ventilation and electrical engineering. 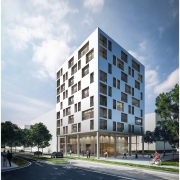 Also the preparation of a fire protection concept as well as a sound proof according to DIN 4109 was assigned. 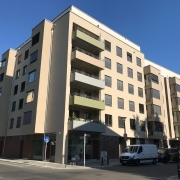 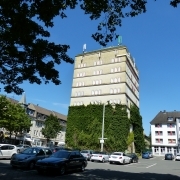 The building consists of a 9-storey tower and a 4-storey block. 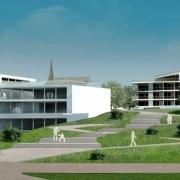 For the use of the tower, technical areas on the ground floor for building services engineering are planned. 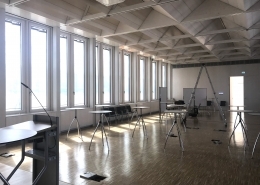 The first 7 upper floors are to be converted for residential purposes, in the 8th upper floor technical rooms are planned for the operators of the mobile radio stations in the tower. 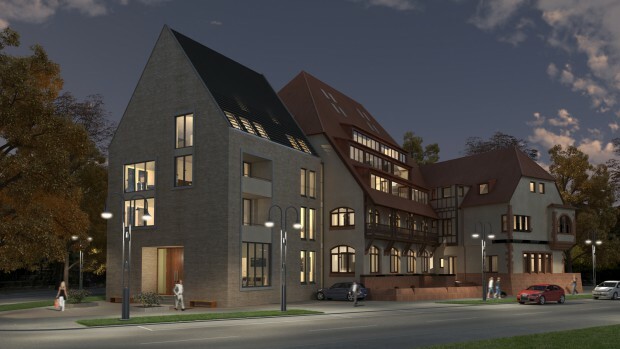 The block on the ground floor will contain a restaurant and common rooms for the residents, the upper floors will be converted into living and storage rooms. 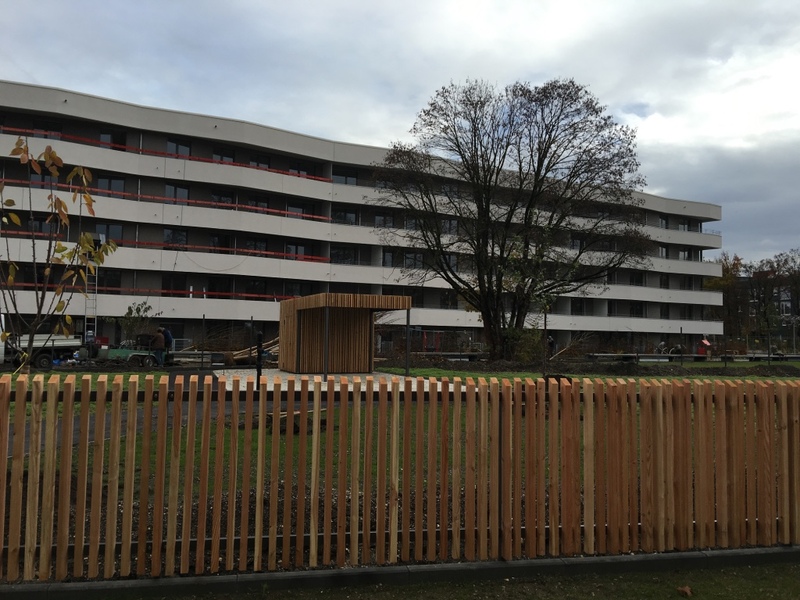 On the roof of this block there will be leisure and wellness areas for the residents as well as a greenhouse for roof farming on most of the area. 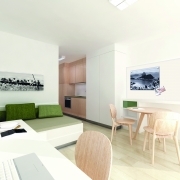 The general goal is the realisation of a residential building with a high ecological standard. 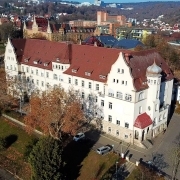 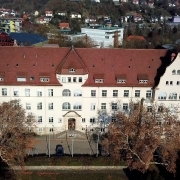 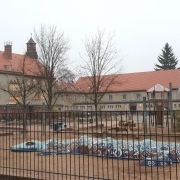 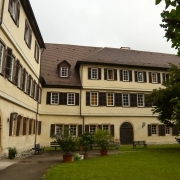 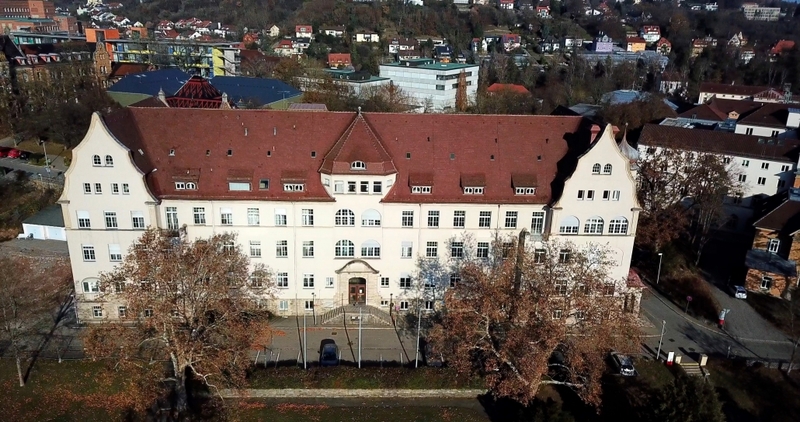 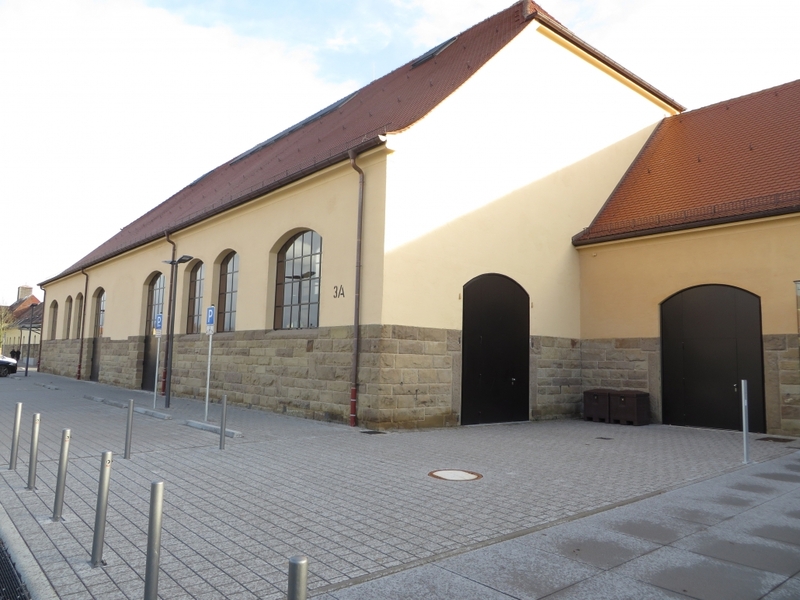 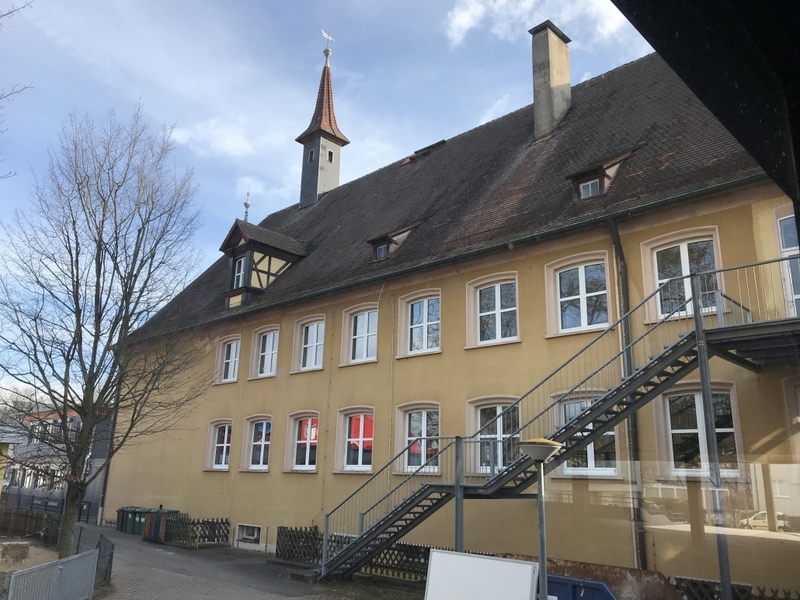 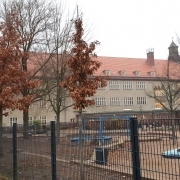 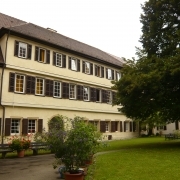 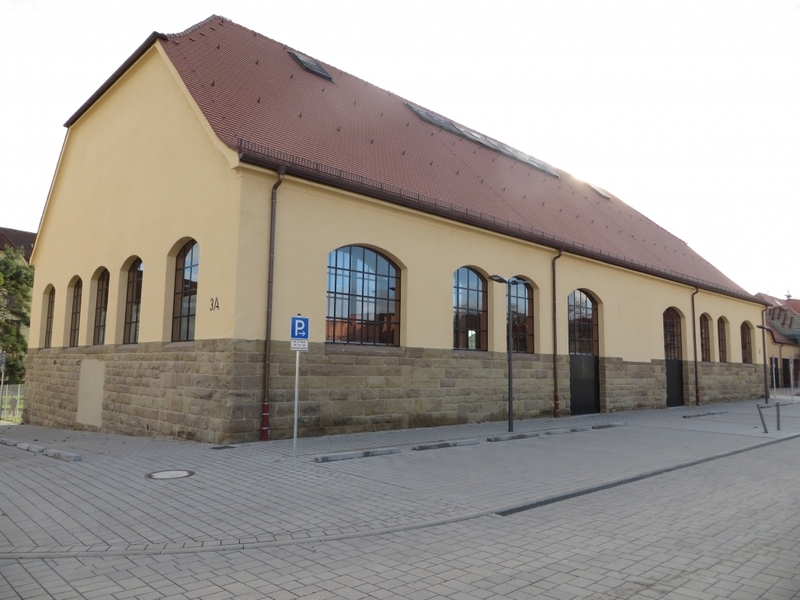 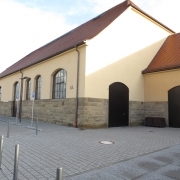 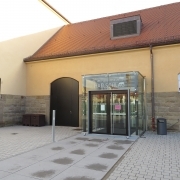 The city of Lauf an der Pegnitz has initiated the general renovation of the Bertlein School. 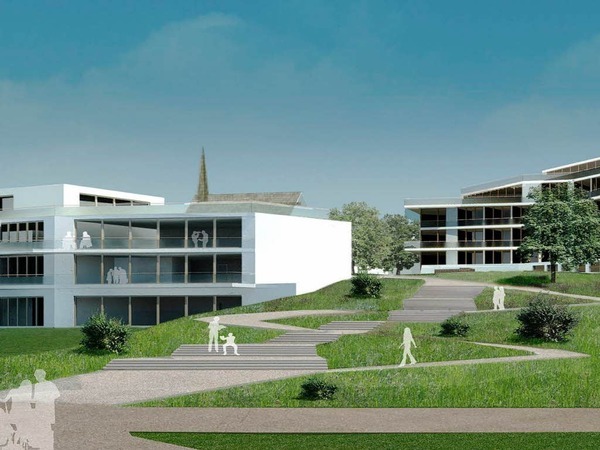 It will be divided into several construction phases. 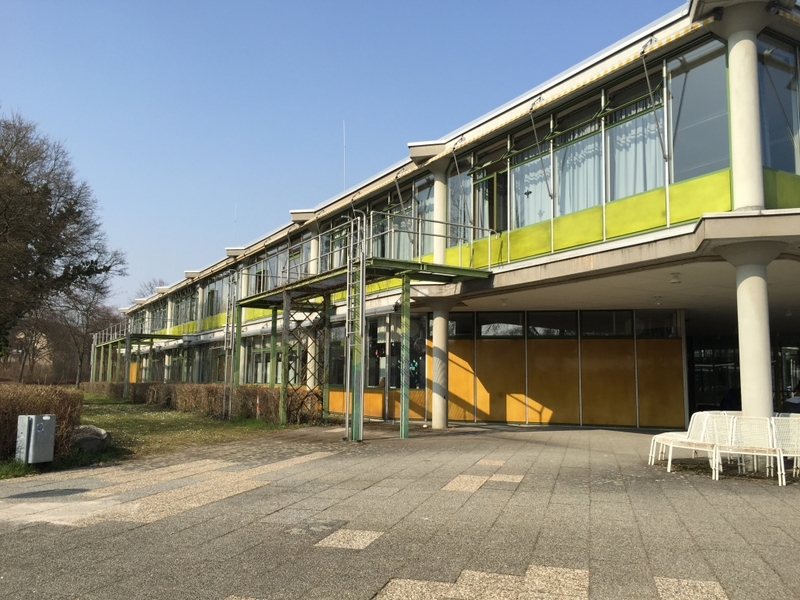 In the future, 16 primary school classes (including a transitional class) with approx. 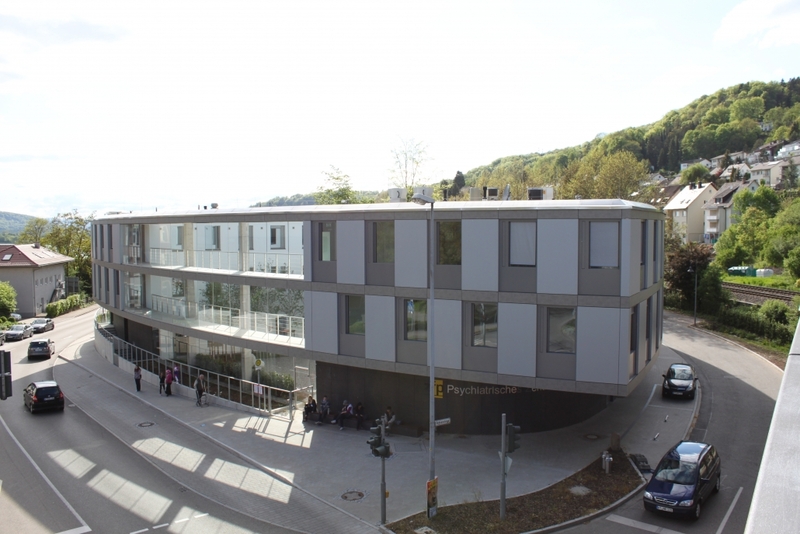 300 pupils and 15 secondary school classes (including a transitional class) with approx. 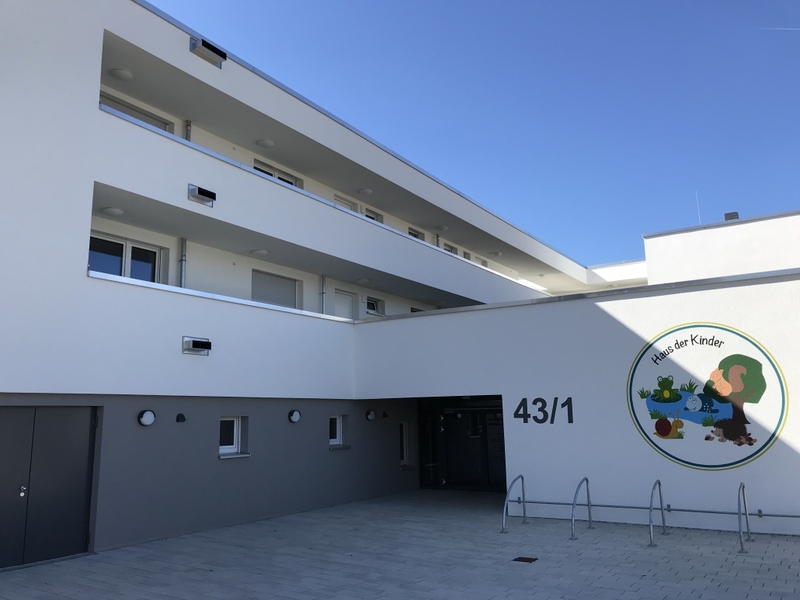 250 pupils will be taught in the school. 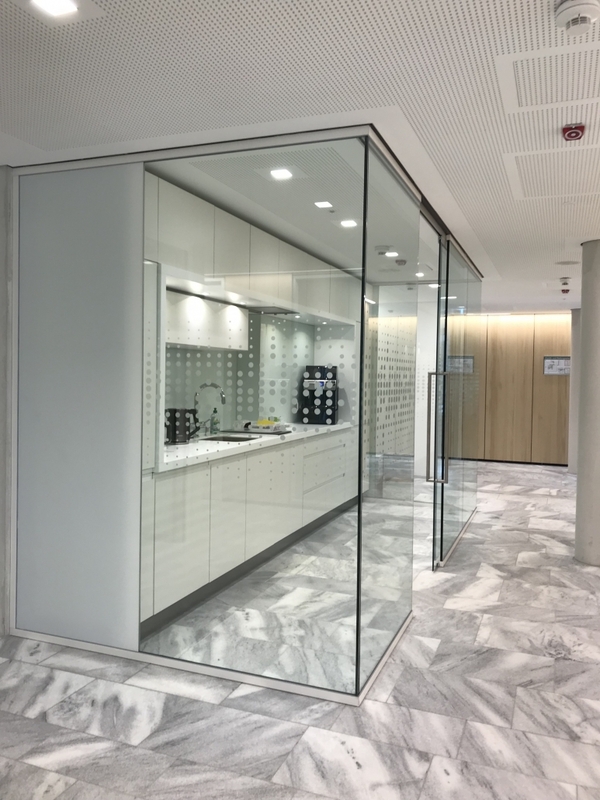 The IFB Ingenieure GmbH was commissioned to prove the sound protection within the building and against external noise according to DIN 4109. 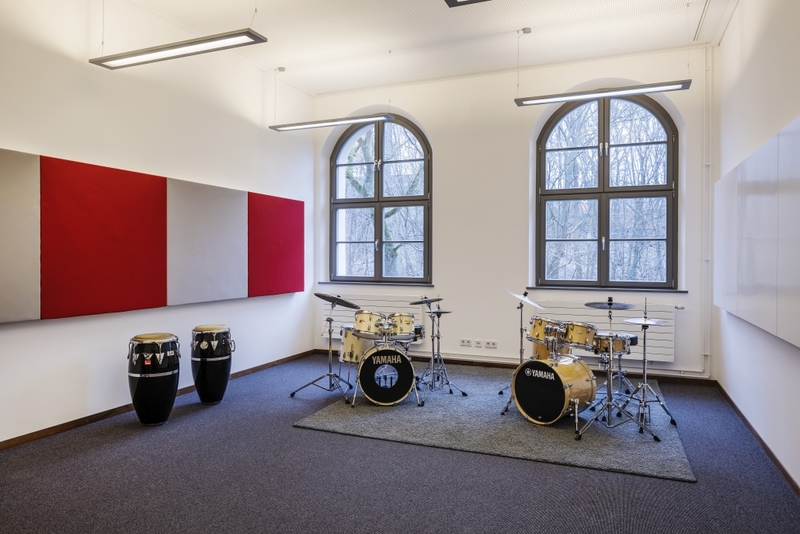 IFB Ingenieure GmbH was also responsible for room acoustics (including room acoustics simulation) and summer thermal protection. 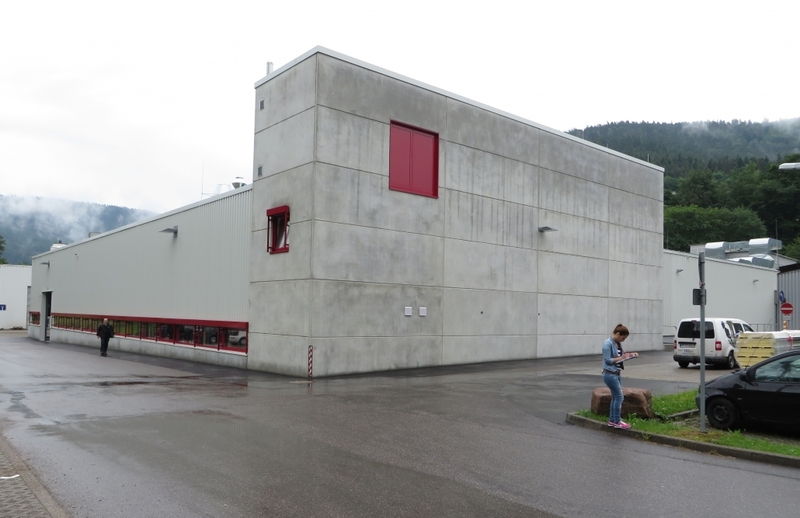 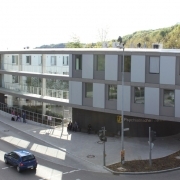 The Berufsschulverband Passau planned the construction of a 4-storey vocational training centre in Vilshofen. 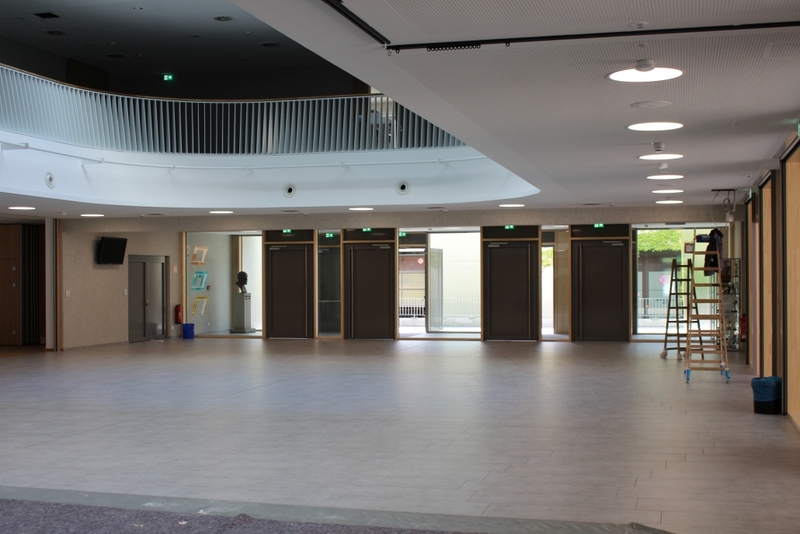 This includes classrooms, workshops, bakeries, school kitchens, offices, dining room (with canteen kitchen), meeting rooms and a gym. 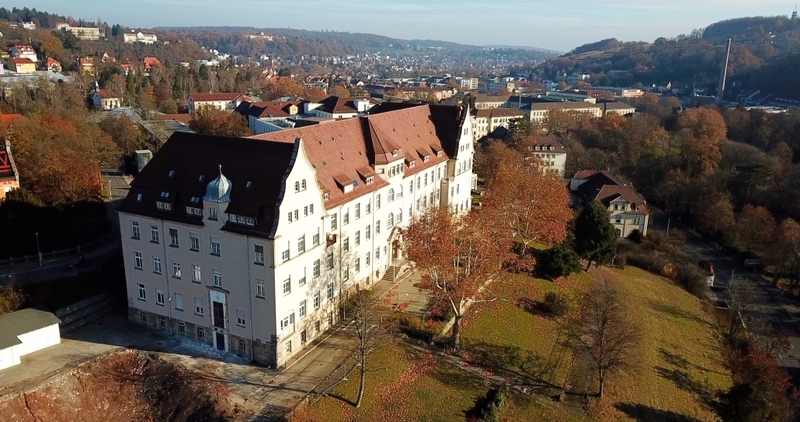 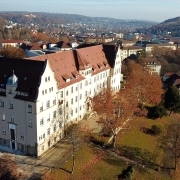 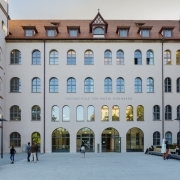 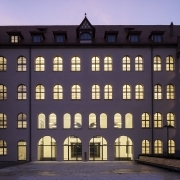 In the course of the general renovation, reconstruction and extension of the listed “Alte Augenklinik” in Tübingen, the Asien-Orient-Institut (AOI) of the Eberhard Karls University of Tübingen reoccupied the building. 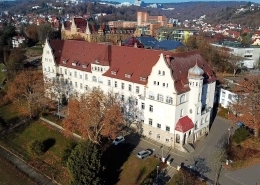 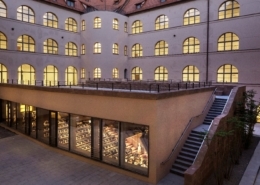 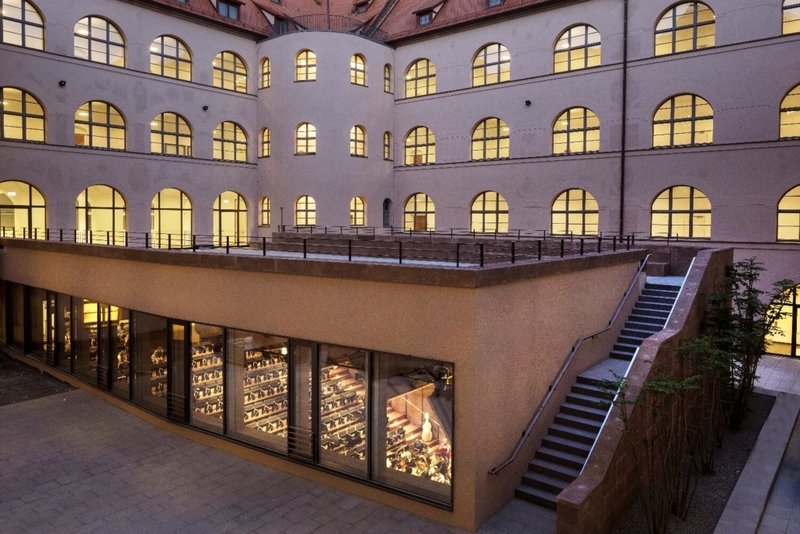 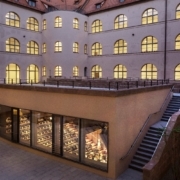 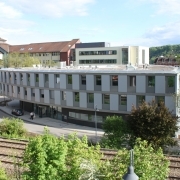 The University of Tübingen plans to use the building as a school university and received an annex as an extension, which is to be used as a library. 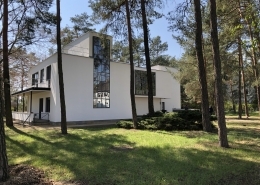 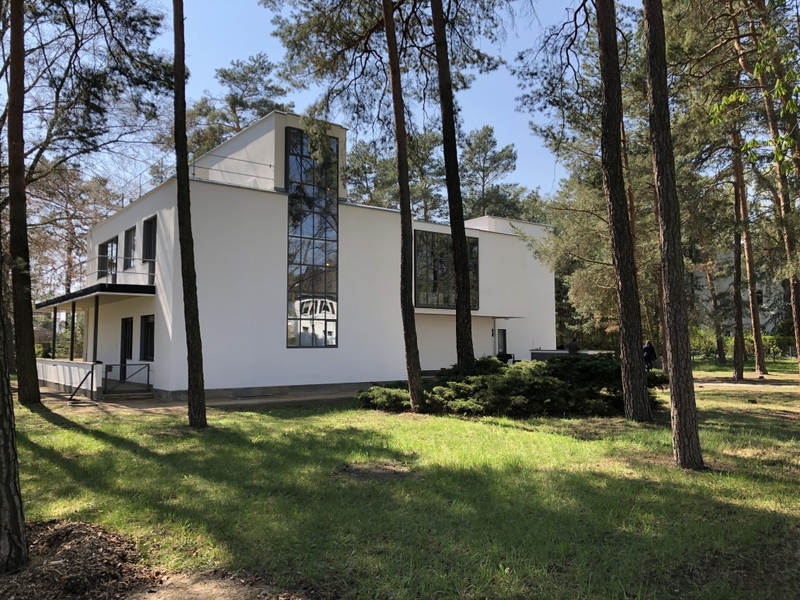 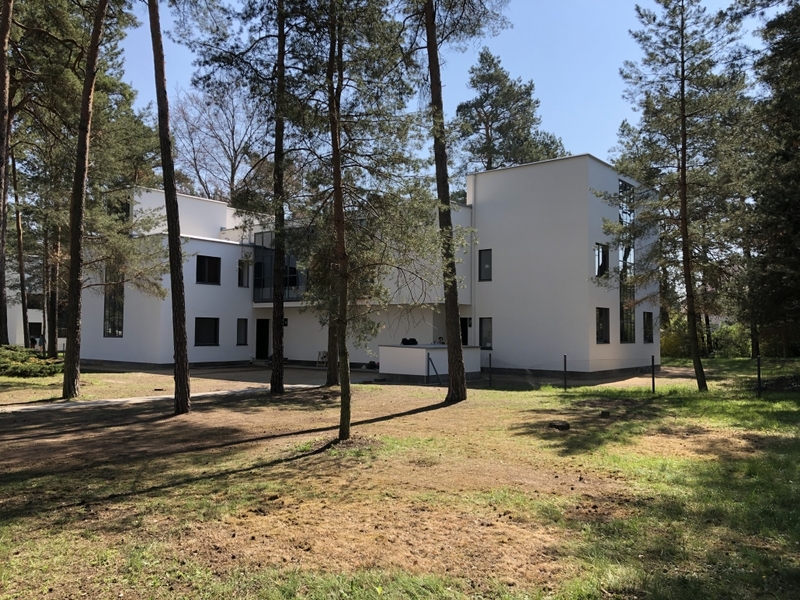 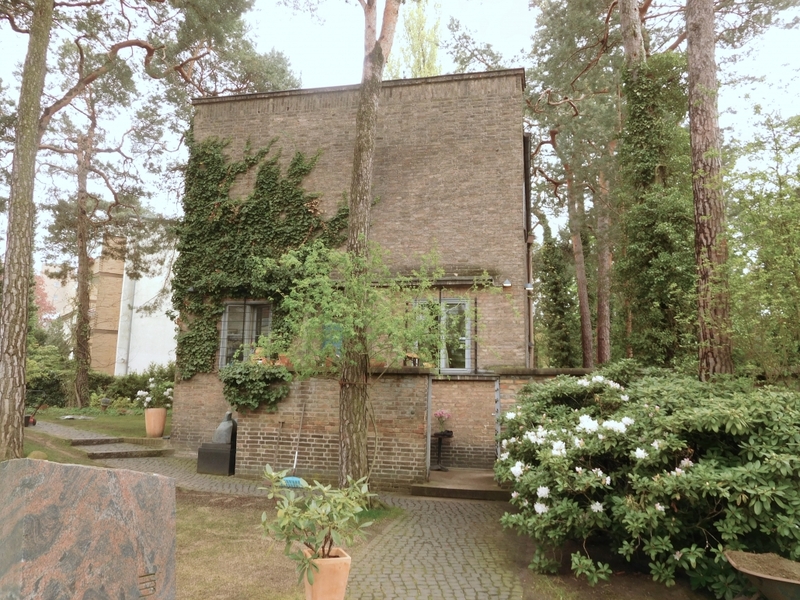 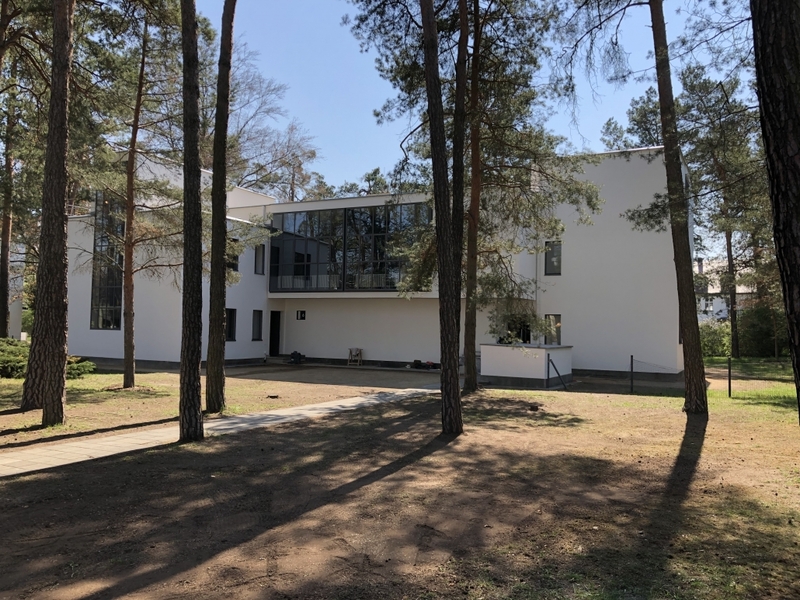 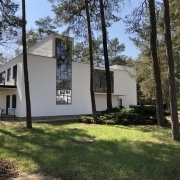 Built by Walter Gropius in Dessau in 1926, the semi-detached house has been part of the master house ensemble and a UNESCO World Heritage Site since 1996. 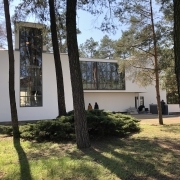 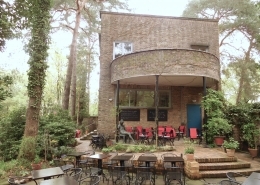 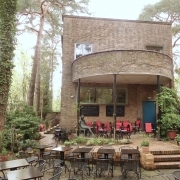 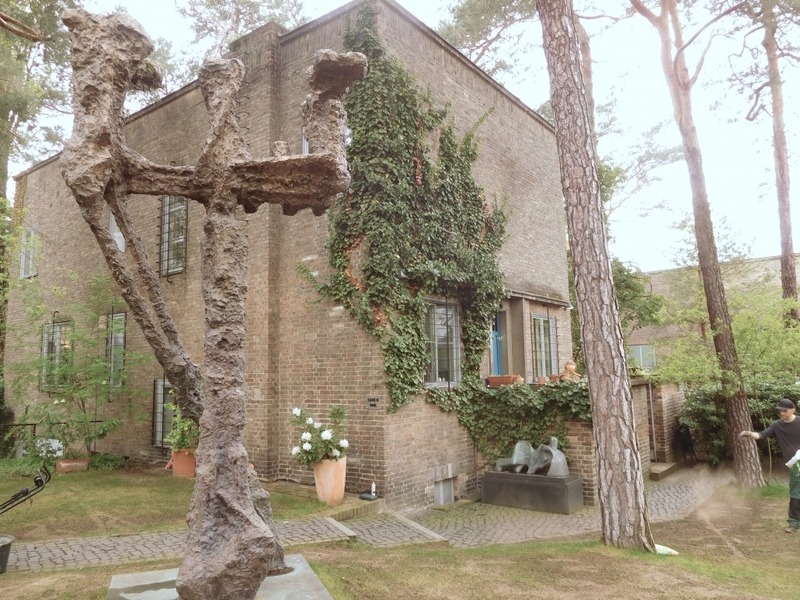 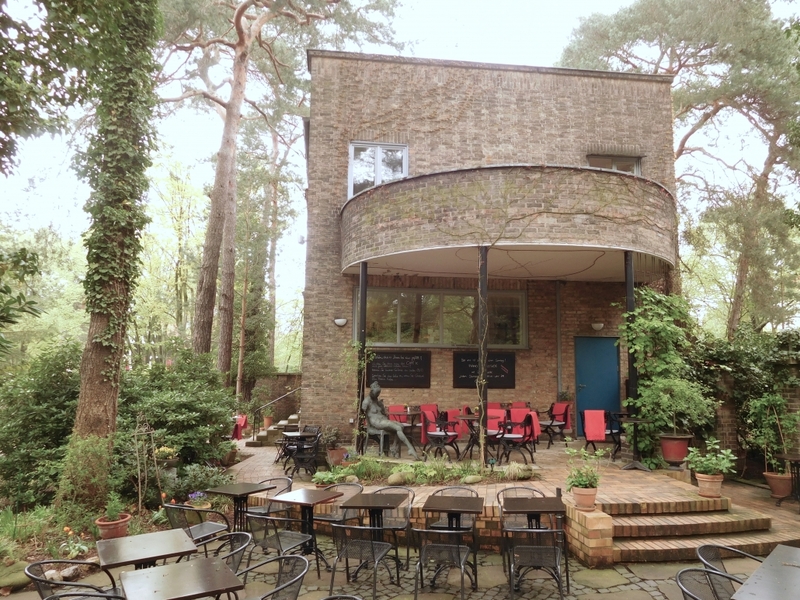 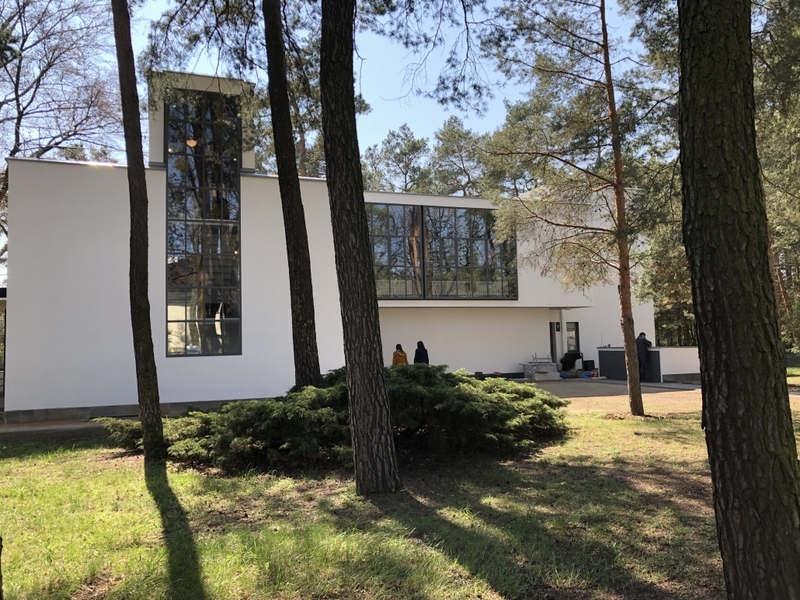 The Wüstenrot Foundation finances the extensive restoration of the Kandinsky/Klee Master House to its original condition and the implementation of measures to protect the building fabric. 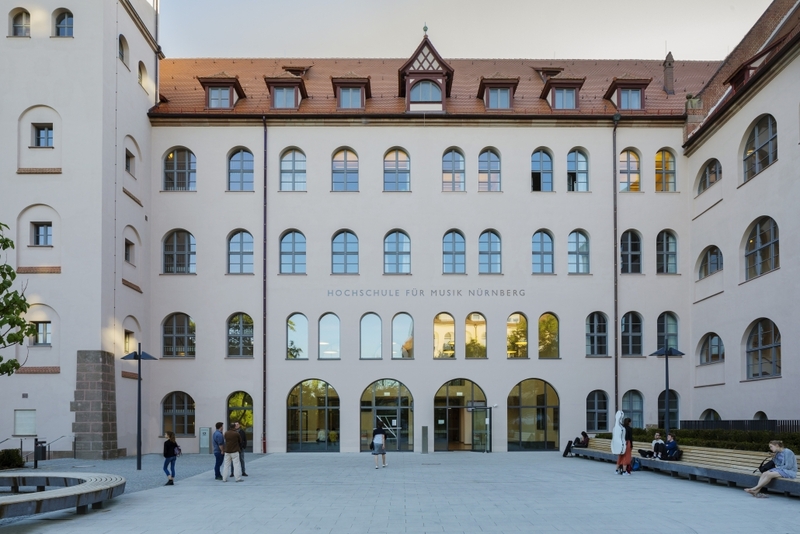 The basic renovation is necessary after intensive use of the past almost 20 years in order to preserve the building as a heritage of the Bauhaus in the long term. The IFB Ingenieure GmbH was commissioned to plan the sanitary, heating, ventilation and electrical facilities. 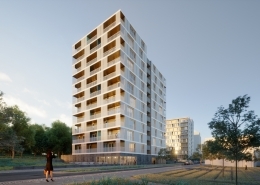 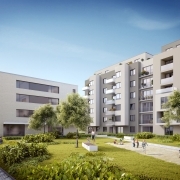 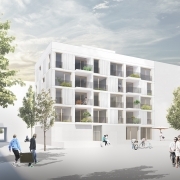 Gemeinschaft der Freunde Deutscher Eigenheimverein e. V.
The Partners und Partner Architekten are planning two 11.5-storey residential buildings on the property on Nelkenweg in Wolfsburg, which are connected by a common underground car park. 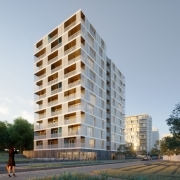 Both high-rise buildings are planned as research objects in wood-hybrid construction, whereby the base and the inner structure consist of reinforced concrete. 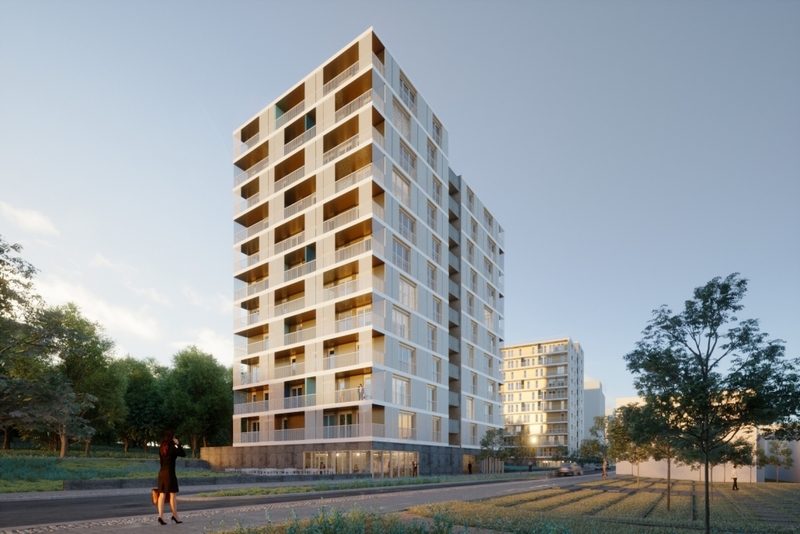 The aim of the research project is to prove that it is possible to build a residential high-rise building from positive resources at no extra cost. 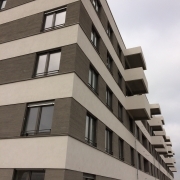 The building technology should be kept to a minimum, so that no additional costs arise in this area. 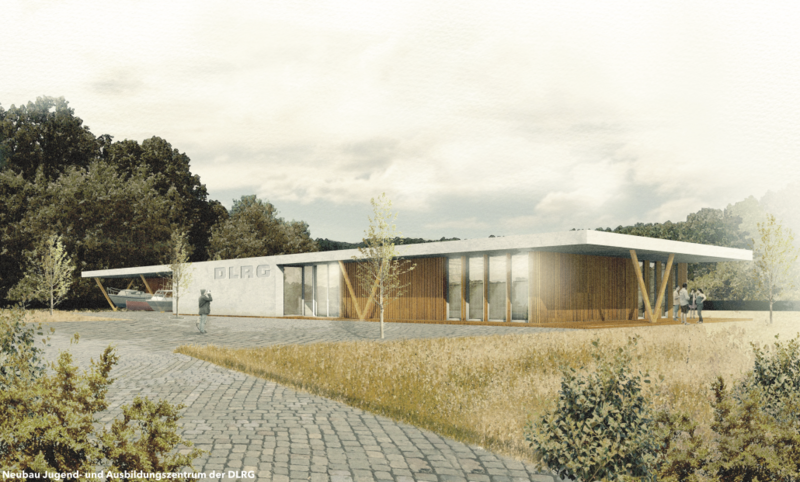 The aim of this pioneering project is to use timber construction methods to realise ecological potential and create healthy living space. Four buildings are planned on the property Hof 6 of the new quarter, which will be grouped around a jointly used inner courtyard. 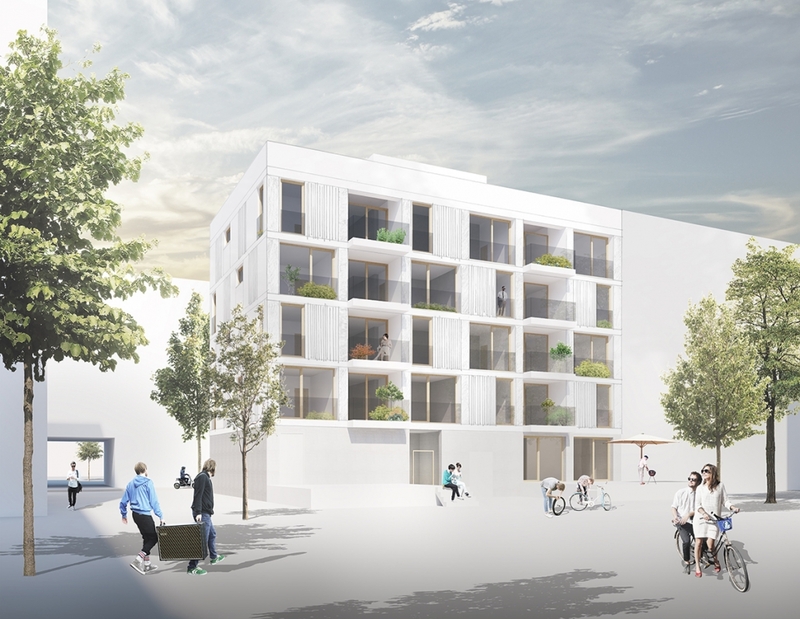 In these 4 buildings, 91 rental apartments with 2 to 5 rooms and a total living space of around 7,800 m² are planned. 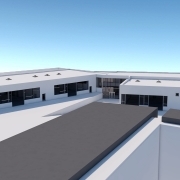 In addition, about 1,000 m² of commercial space will be created here. 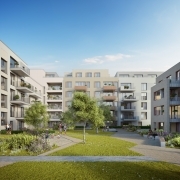 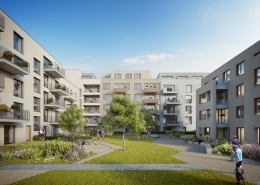 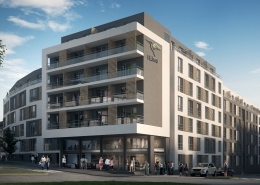 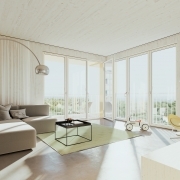 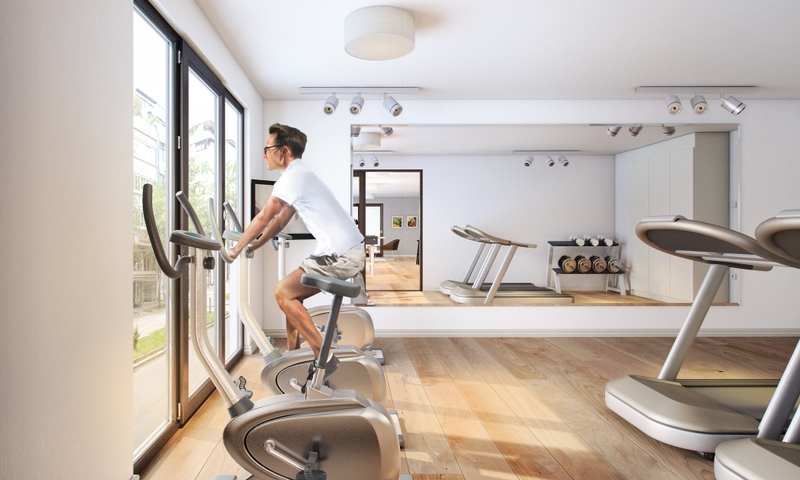 These are ecologically high-quality apartments with the KfW-40 Plus energy standard. 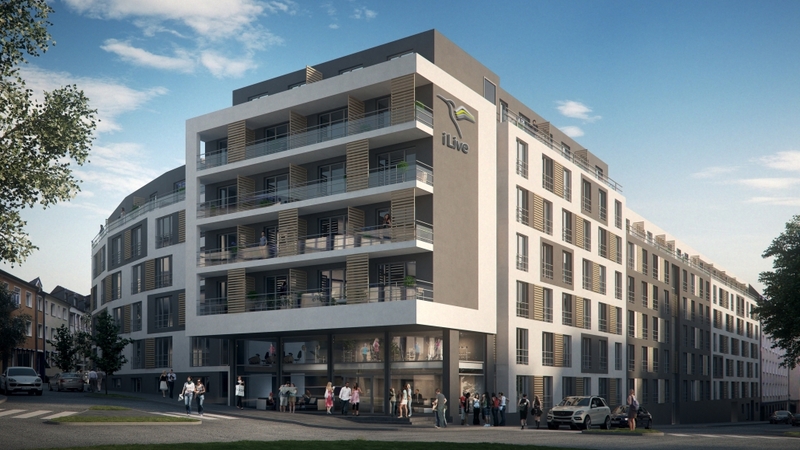 Another project with a total of 70 rental apartments and a total living space of 5,500 m² is being realised on the Hof 1 property. 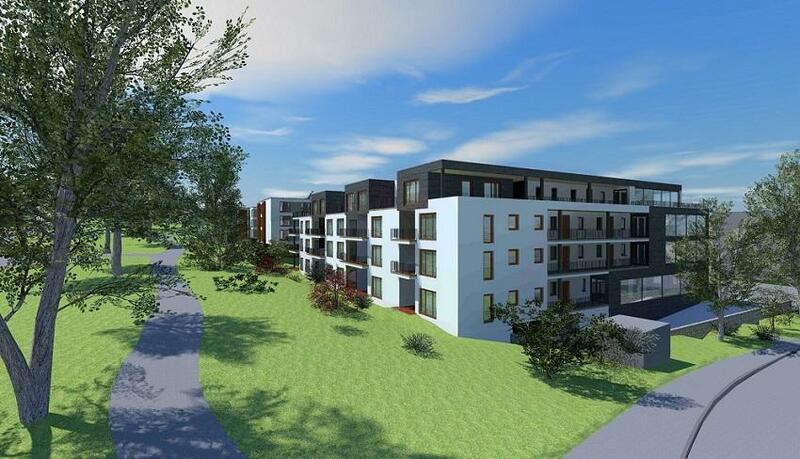 43 rental apartments are planned for subsidised housing construction. 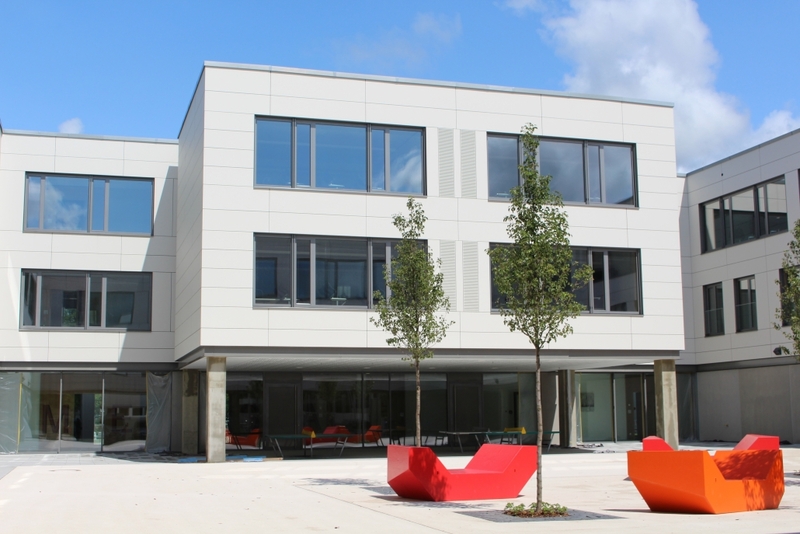 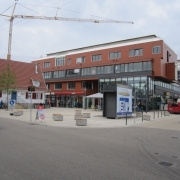 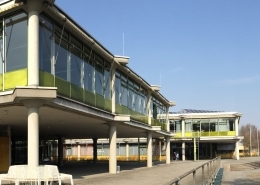 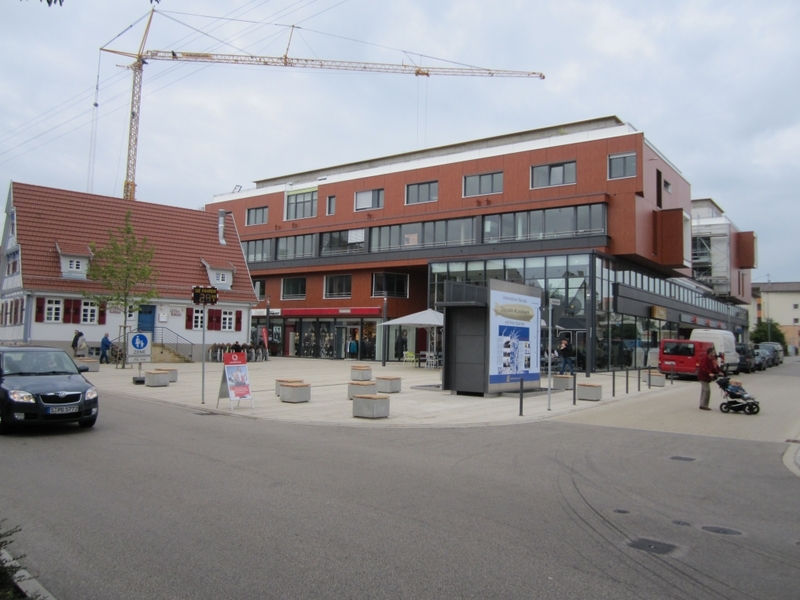 The district of Deggendorf intended to build a new school centre in Deggendorf. 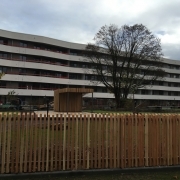 The new building was to be constructed at the existing location with successive deconstruction of the existing buildings. 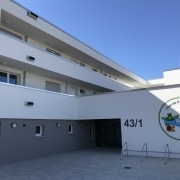 The overall construction project included the new construction of the high school, the vocational school I, the vocational school II and the business school. 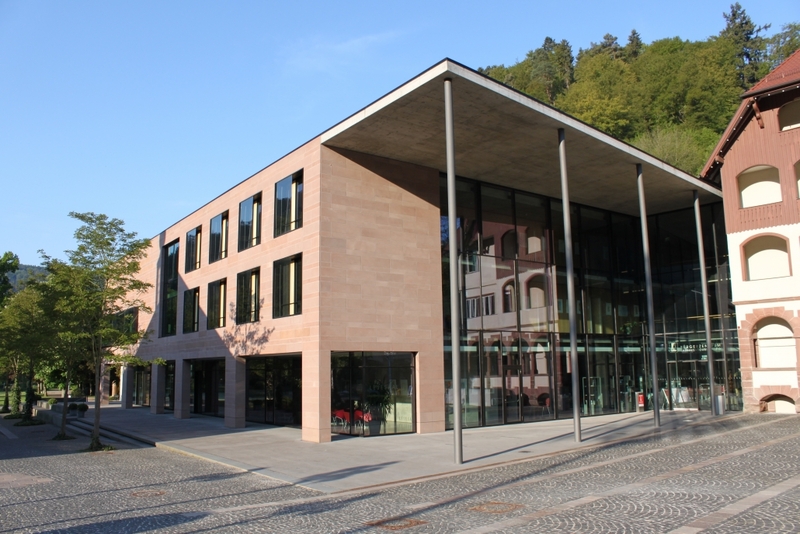 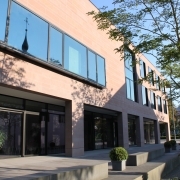 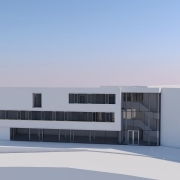 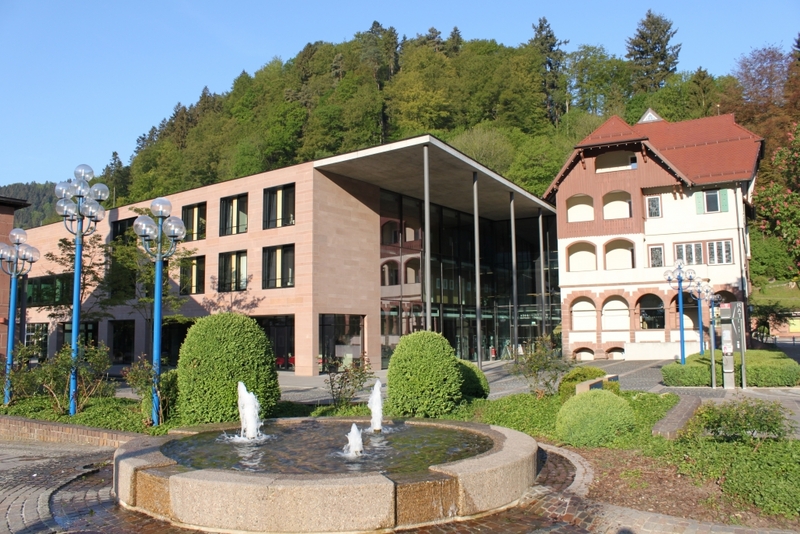 The city of Tuttlingen planned the construction of a new Innovation and Research Centre (IFC) of the Furtwangen University of Applied Sciences in Tuttlingen. 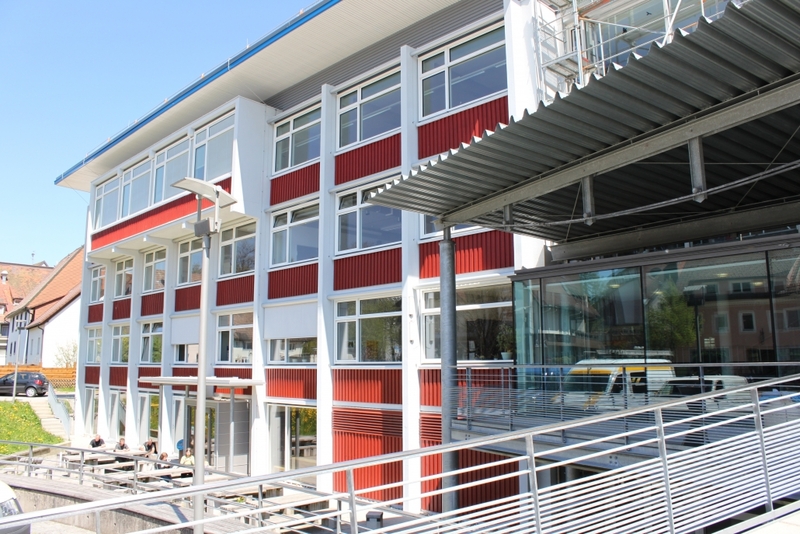 The 4-storey building contains office and laboratory space, workshop and seminar rooms as well as exhibition areas, which are used by students. 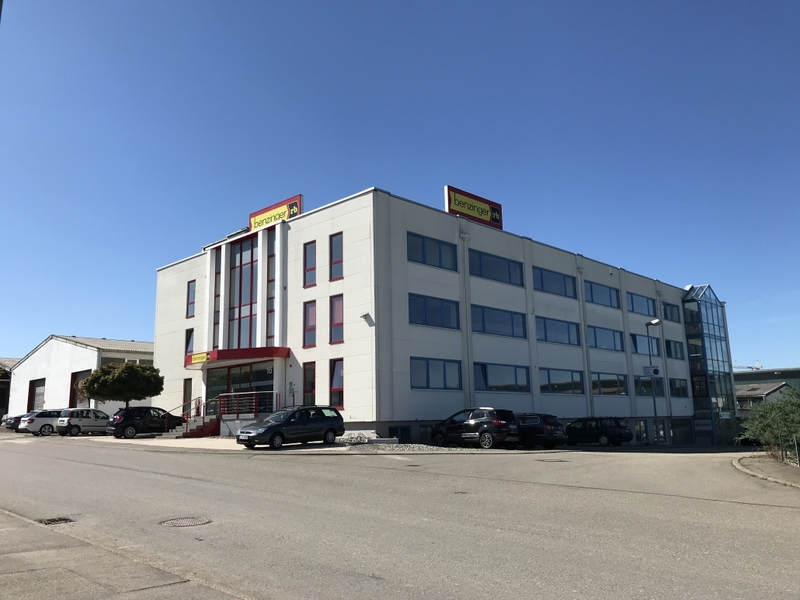 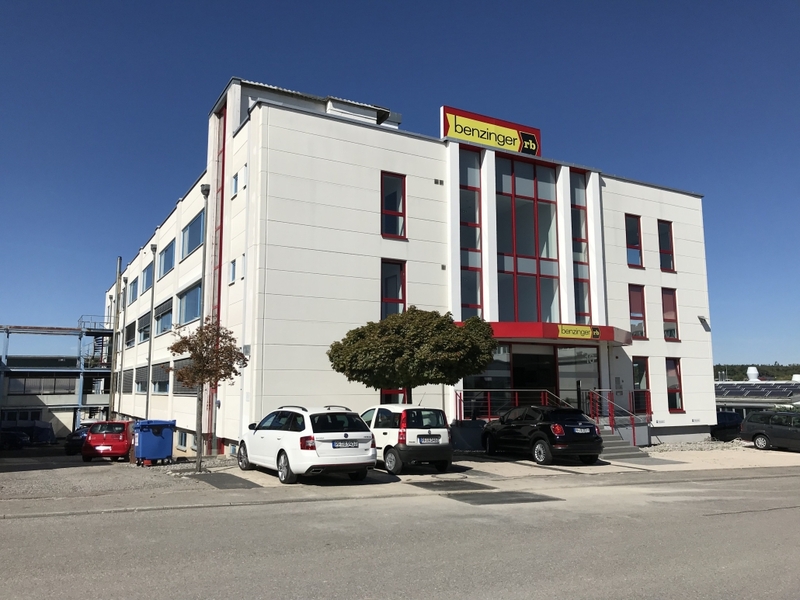 The IFB Ingenieure GmbH was assigned to compile a fire protection concept for the project and to carry out the implementation planning and site supervision for fire protection. 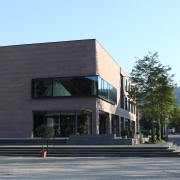 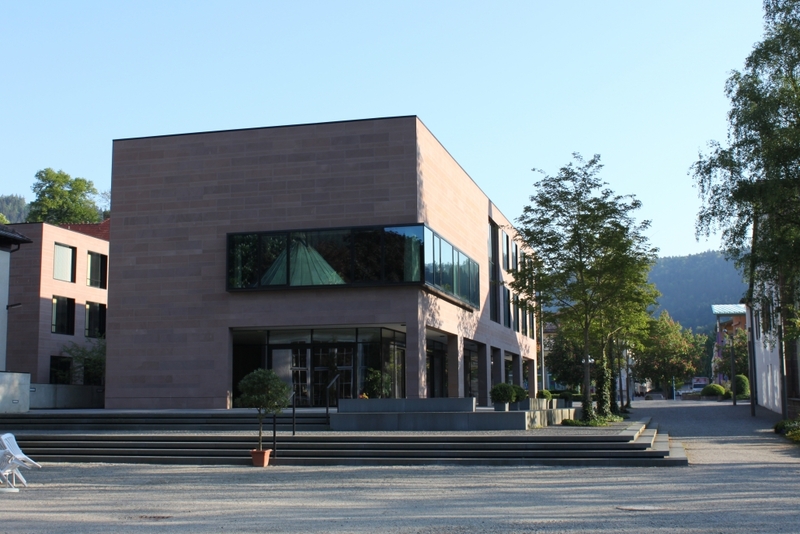 The district of Rosenheim planned the extension of the existing district administration office (meeting rooms, a meeting hall and offices). 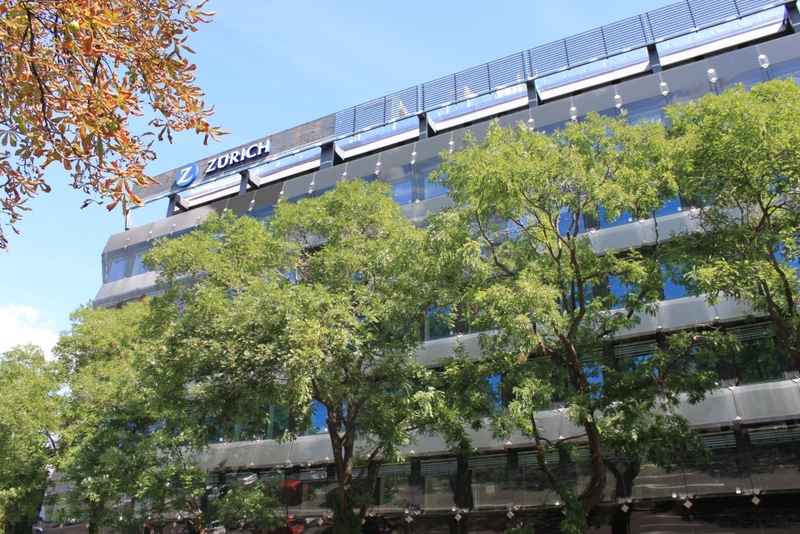 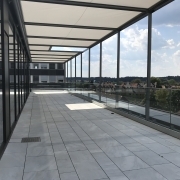 On the ground floor and five upper floors of the new office building, about 100 workplaces were created on a floor space of around 2,150 square metres. 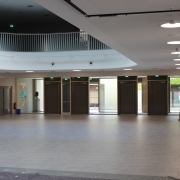 In the immediate vicinity of the large conference hall in the old building is the new small conference hall with a floor area of around 120 square metres. 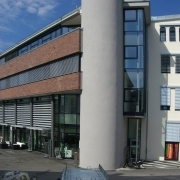 On the first to fourth floors, the offices are arranged along the outer facade. 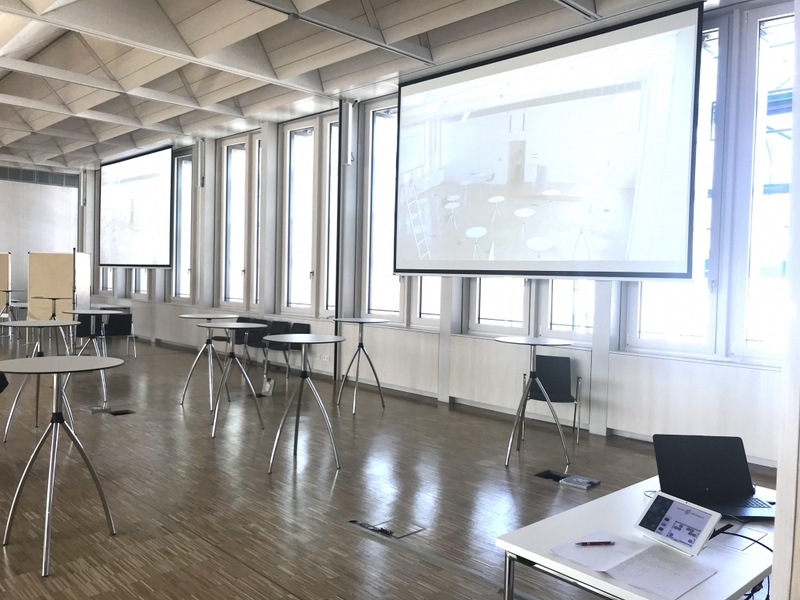 In addition to technical rooms and a few offices, space for meetings, seminars and training sessions has been created in the attic. 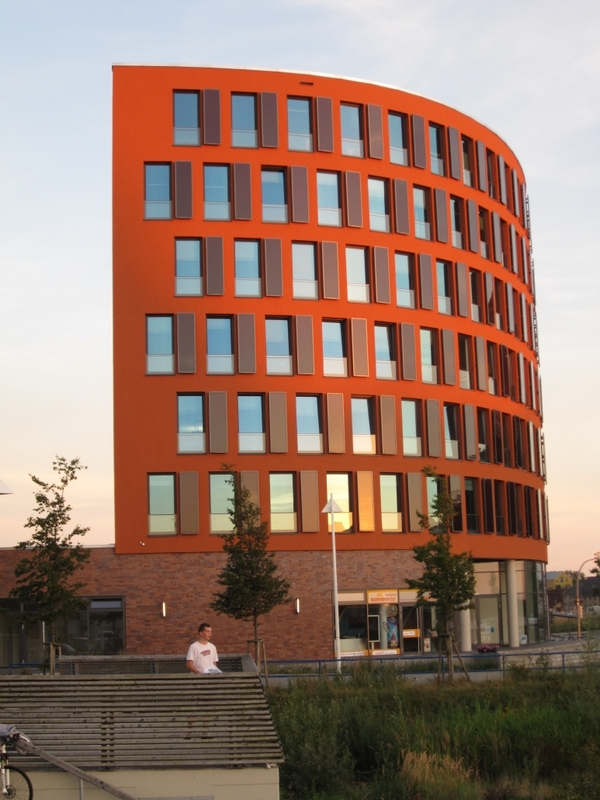 The new building, about 21 metres high, is supplied with district heating and cooling. 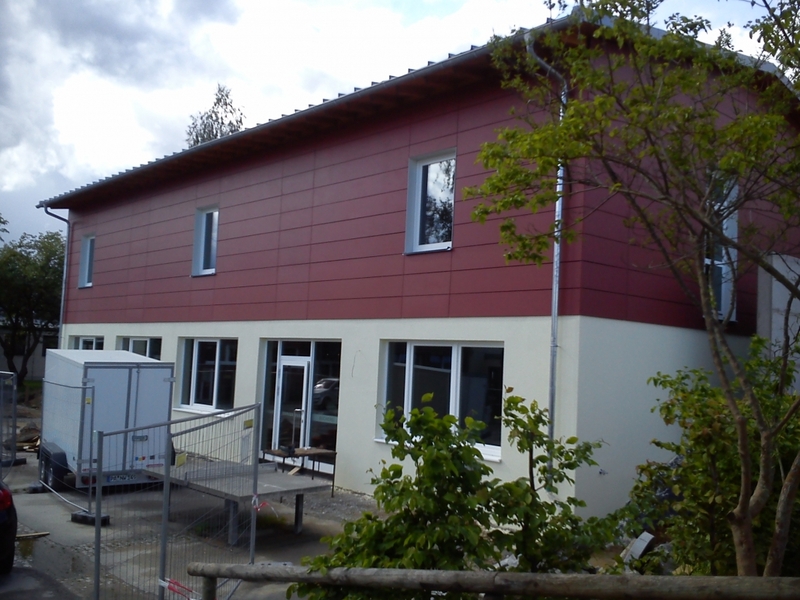 In addition, a photovoltaic system was installed on the roof area. 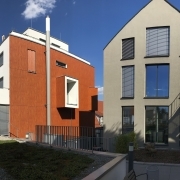 The extension building and the inner courtyard have a complete basement. 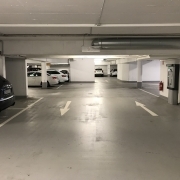 42 vehicles can be parked in the underground car park. 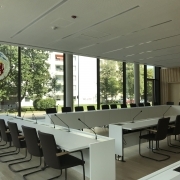 The district of Upper Bavaria planned to extend a plenary hall in its government building. 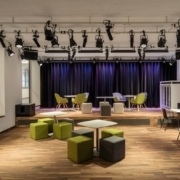 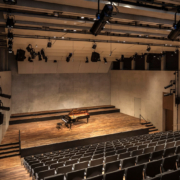 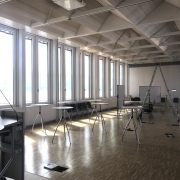 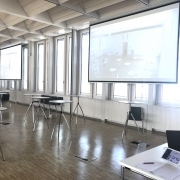 IFB Ingenieure GmbH was commissioned with the room acoustics and room acoustic simulation in order to optimise the plenary hall acoustically through targeted sound absorption, sound control and sound reflections. 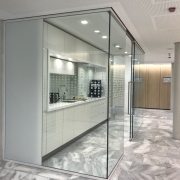 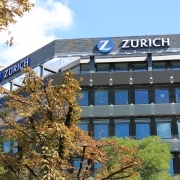 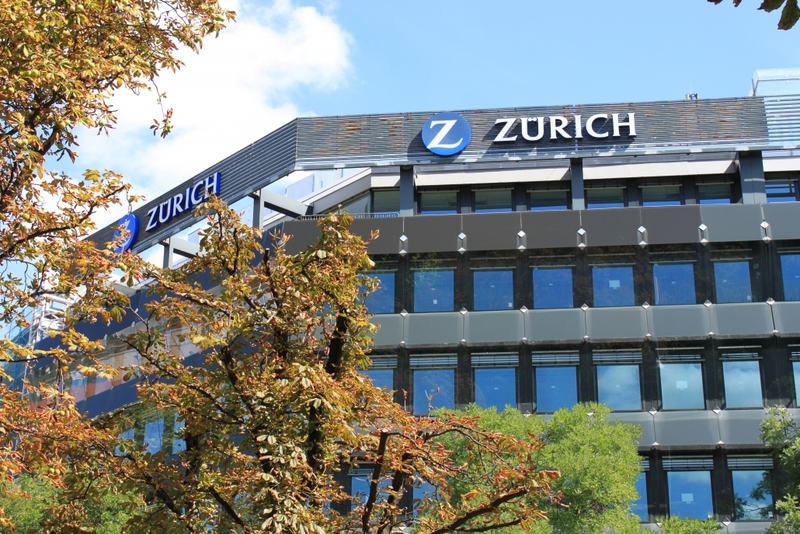 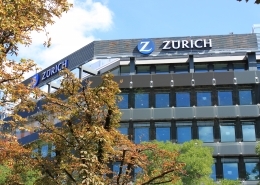 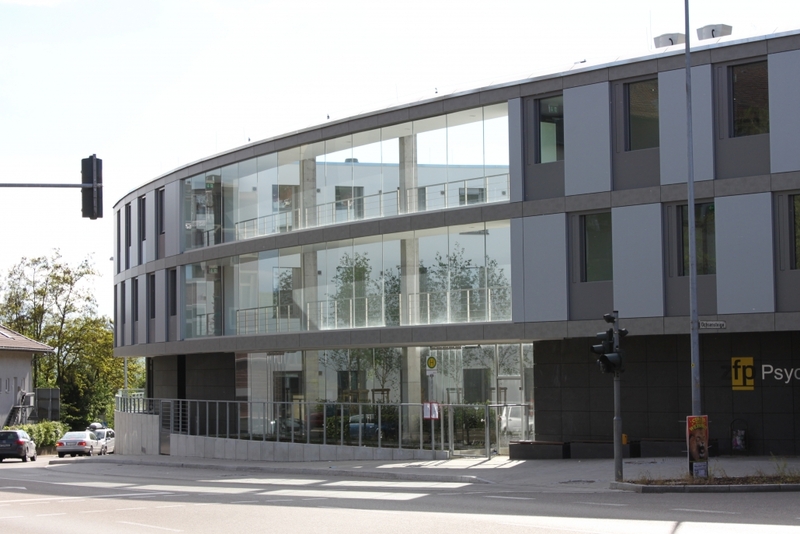 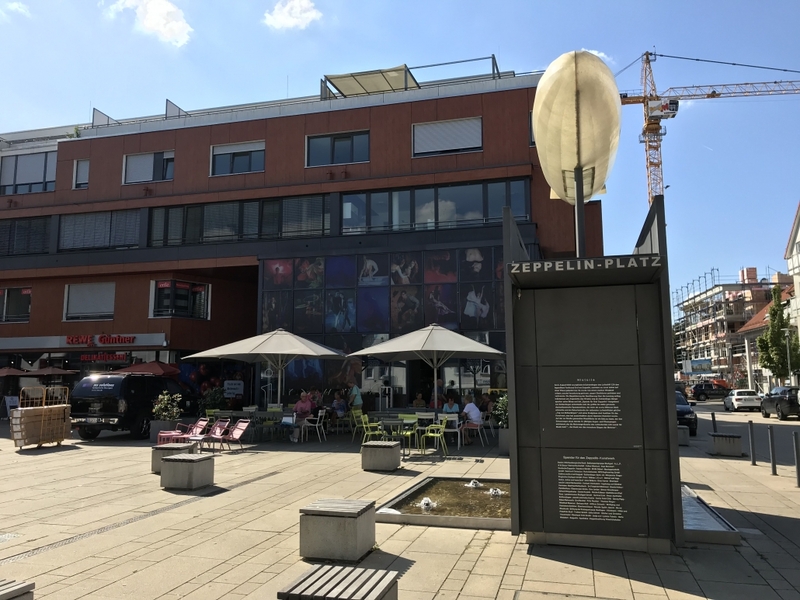 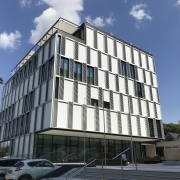 In addition, IFB Ingenieure GmbH was involved in the planning of structural sound protection according to DIN 4109, summer thermal protection and building acoustics. 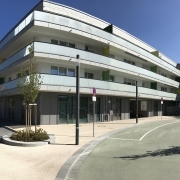 The Siedlungswerk GmbH in Stuttgart planned a building with apartments for assisted living, shops and surgeries and a day care centre in Rutesheim. 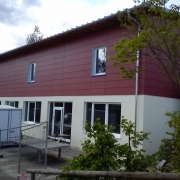 The building should meet the requirements of a KfW efficiency house. 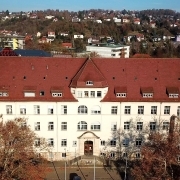 In agreement with the city of Rutesheim, the building was classified in building class 5 due to its use. 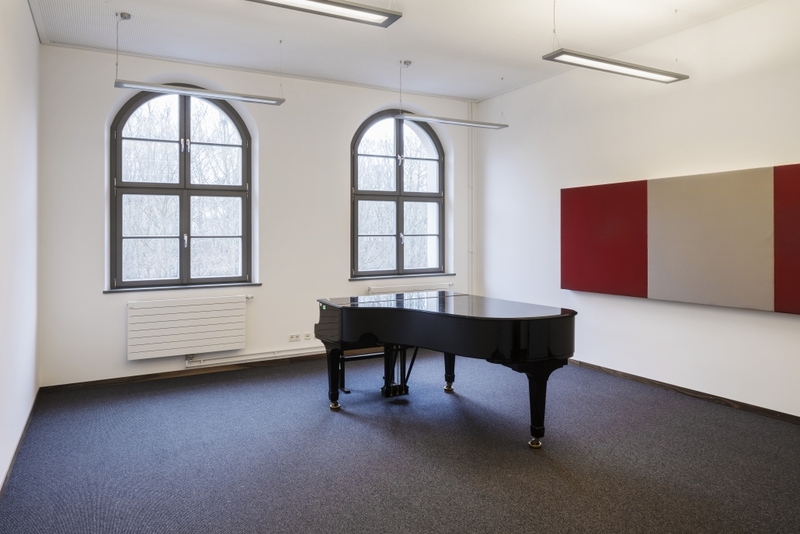 In Nuremberg, the house 1 of the former Sebastian Hospital was converted into the University of Music. 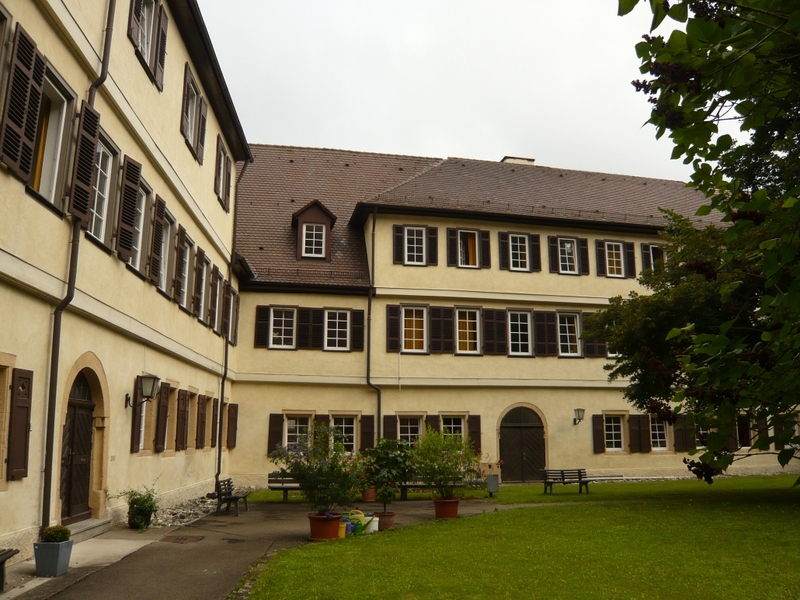 The listed building belongs to the area of the monastery building and was accessed through a green inner courtyard. 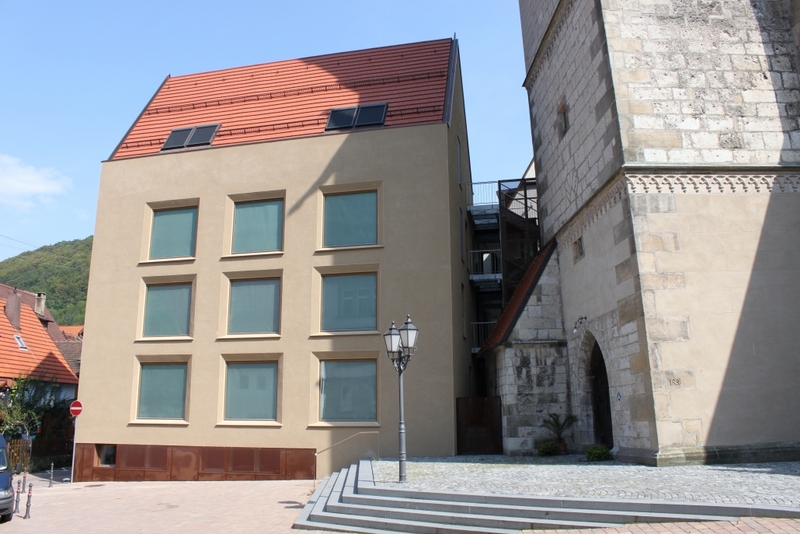 With the reconstruction, an orchestra hall was embedded in the inner courtyard. 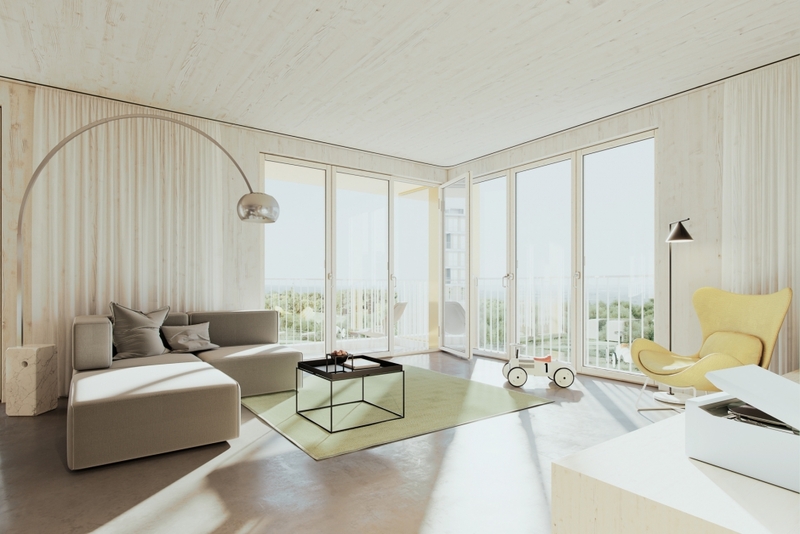 The building J1, “SKAIO”, is a turnkey construction in wood construction (wooden hybrid house). 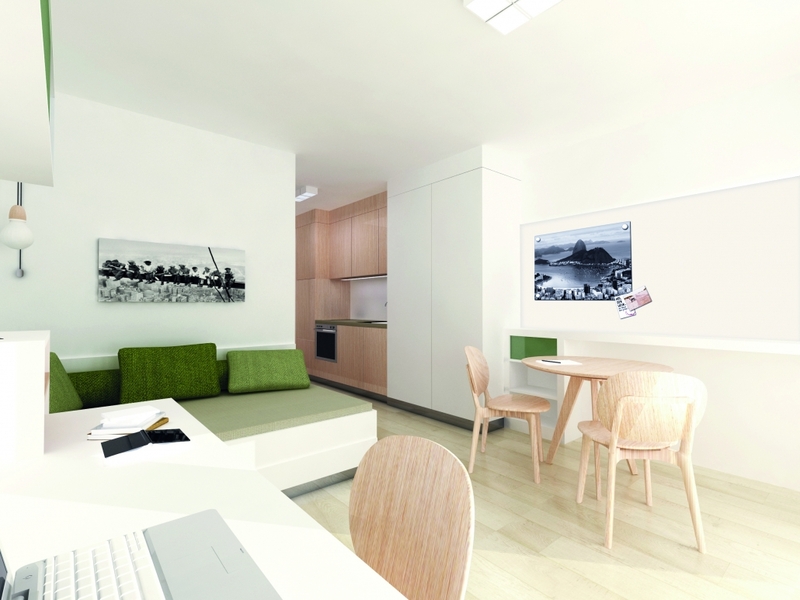 The residential tower has 10 storeys, with a commercial unit on the ground floor. 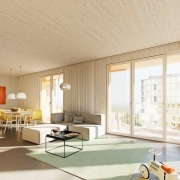 Walls and ceilings are made of wood and will make up the majority of the construction. 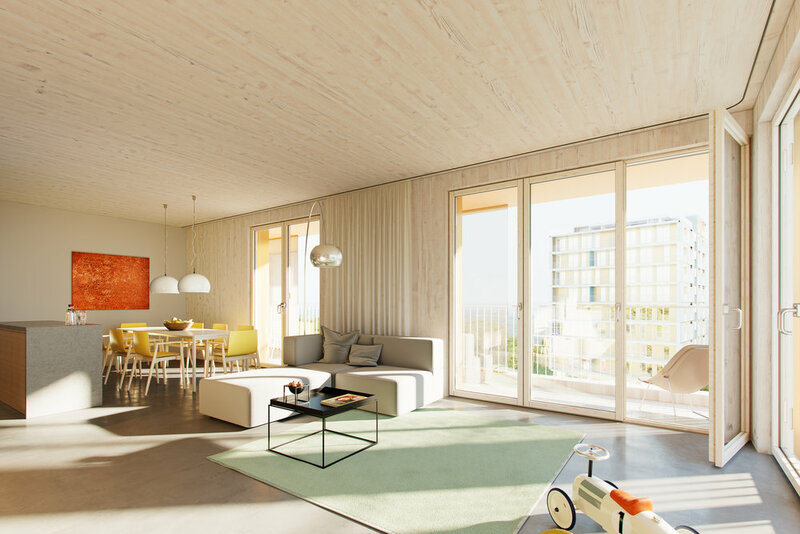 Only spruce wood is used for the wooden walls and ceilings – mainly from German forests and all of them bear the PEFC certificate, the seal for sustainable forestry. 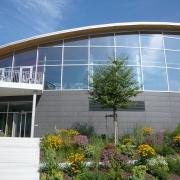 An important prerequisite for a desired award: a gold certificate from the German Sustainable Building Council. 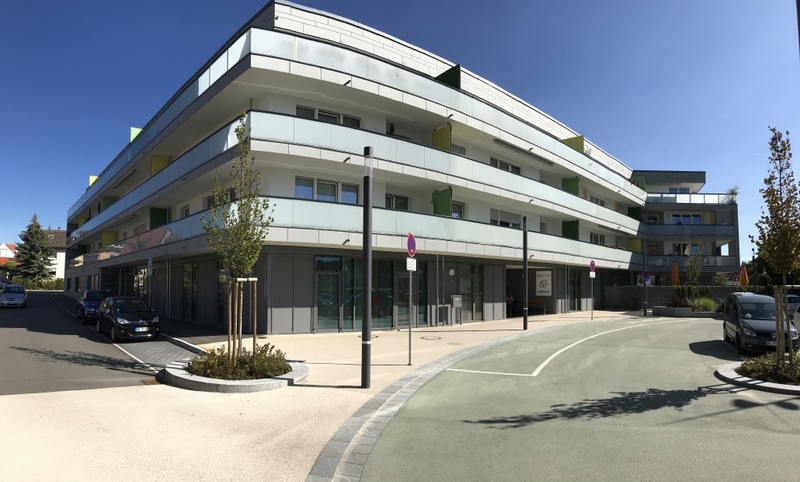 With a gross above-ground floor area of 5,700 m², the building J1 offers space for 60 rented apartments on 3,300 m² of living space. 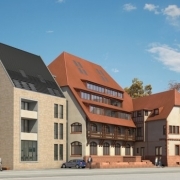 With a height of 34 m, it will be the highest wooden house in Germany to date. 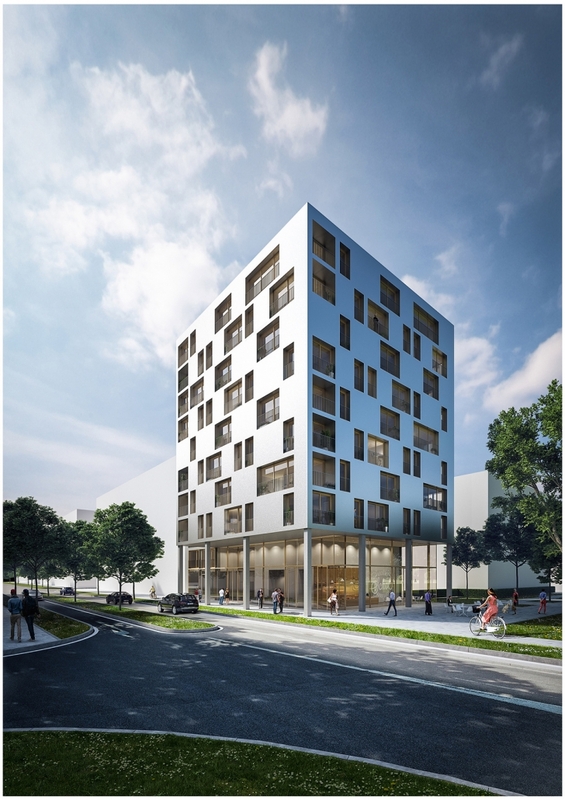 The contract includes a second wooden hybrid building J6 with 5 floors, which was planned according to KfW 55. 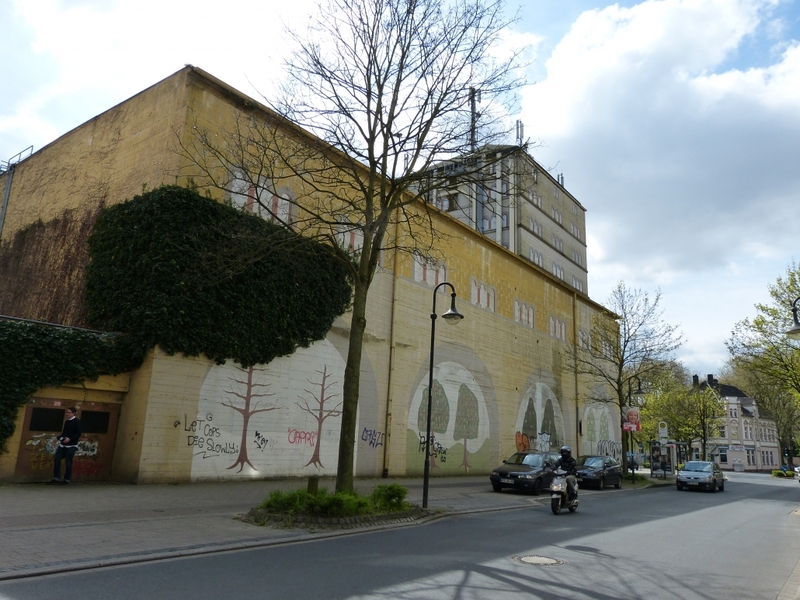 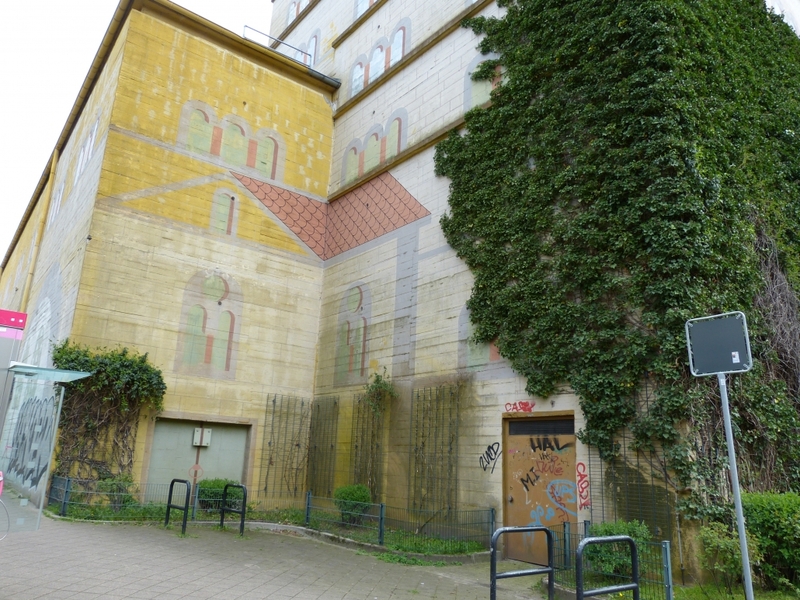 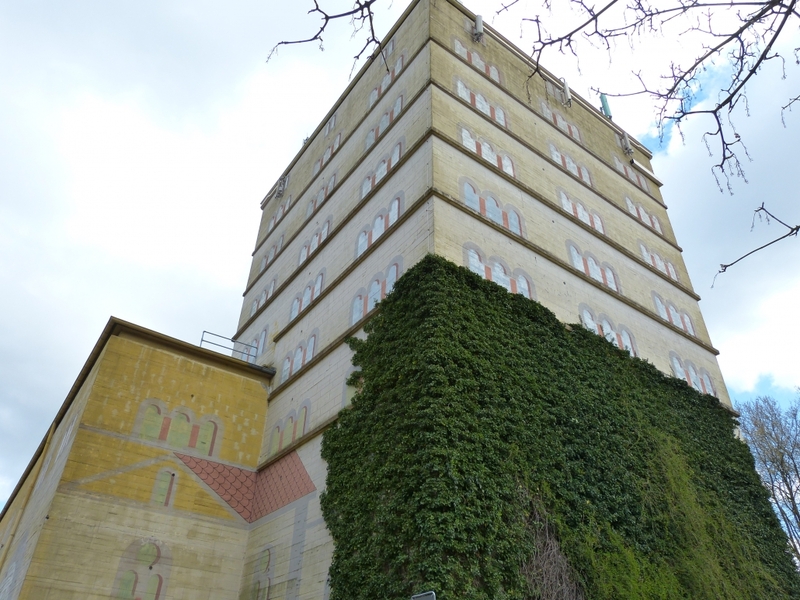 This has a gross floor area of 1,572 m² and offers space for 13 apartments. 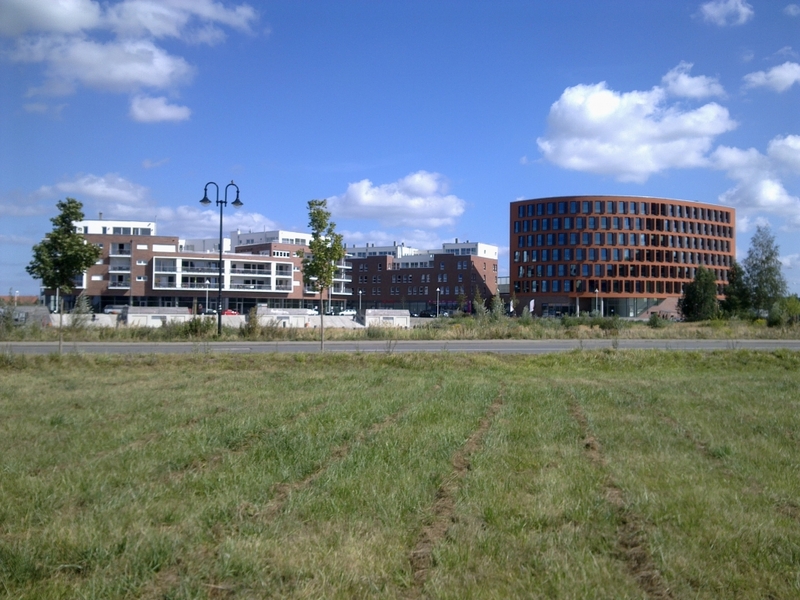 Both new buildings are part of the new urban quarter Neckarbogen, which will be built on as part of the Federal Garden Show. 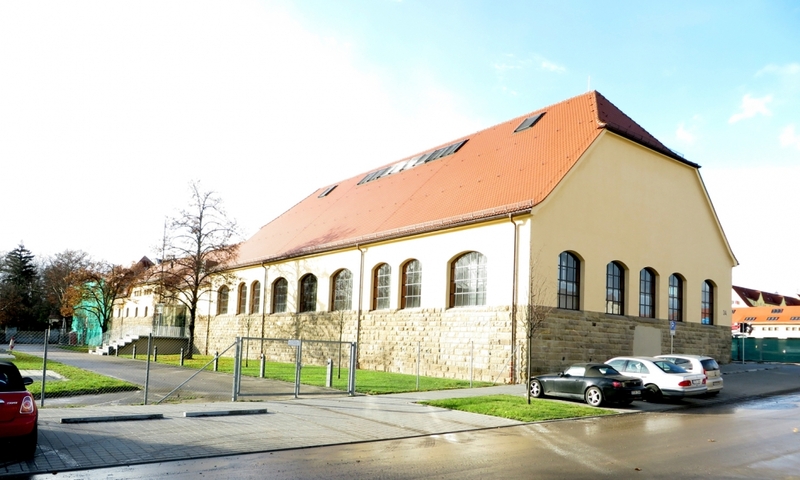 The listed Tabor Church was built from 1930 onwards according to the designs of Otto Linder. 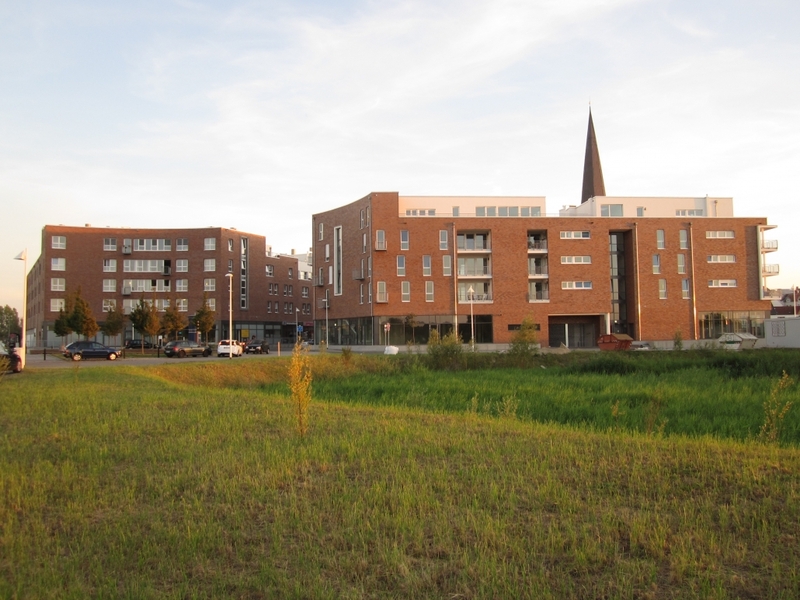 A fundamental redevelopment took place in 1972, during which significant conceptual changes were made. 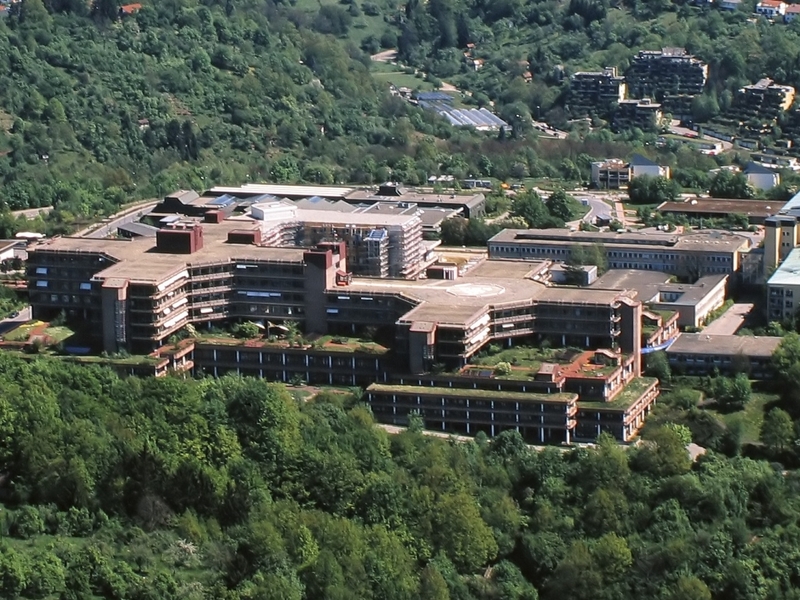 The technical installations of the building date largely from the time of the last renovation in 1972. 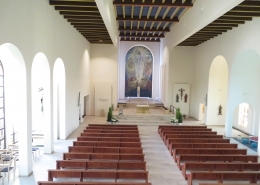 In addition, various architectural changes were made to the interior and the ceiling, which was retracted in 1972 and significantly reduced the room volume, was removed in order to create the necessary air volume for the organ. 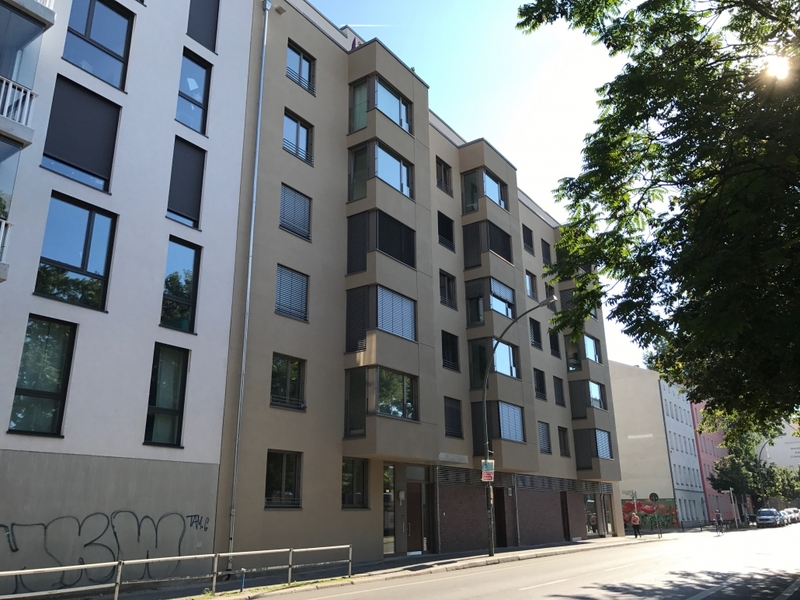 At the corner of Giselastrasse/Lückstrasse in Berlin, a new multi-family house with 39 residential units was built. 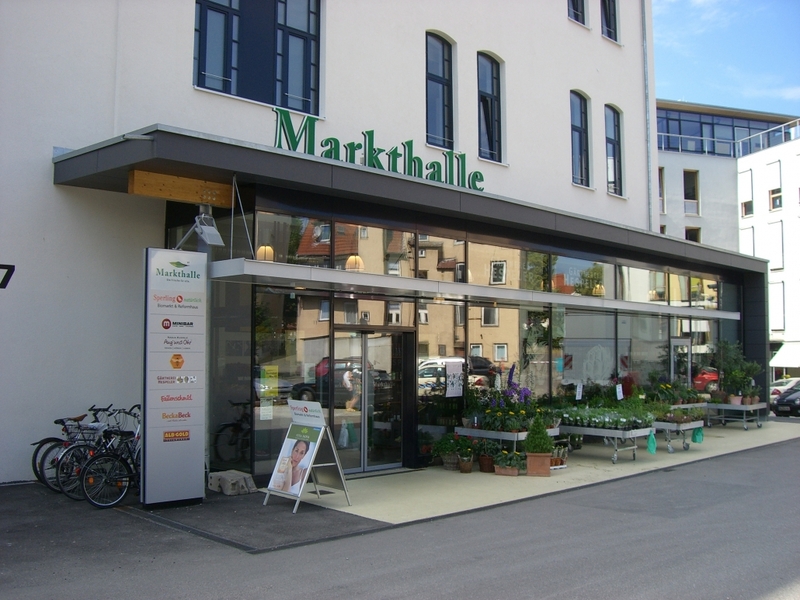 On the ground floor, a bakery was housed in a small shop unit. 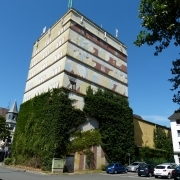 The building has an underground car park in the basement and, in addition to the ground floor, 5 upper floors and 1 attic floor. 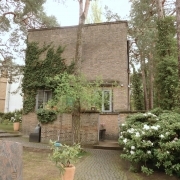 A KfW-55 efficiency house was built. 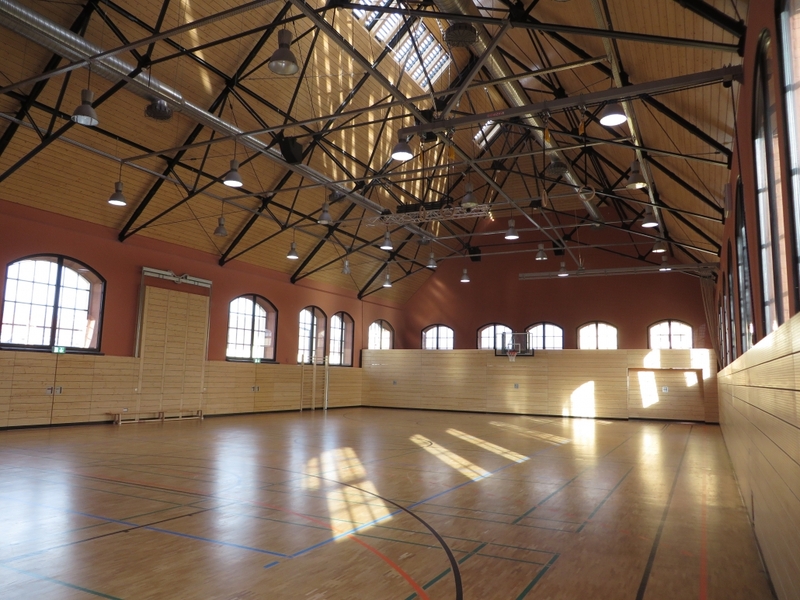 The former TSV gymnasium in Mannheim, which is a listed building, was energetically renovated and rebuilt. 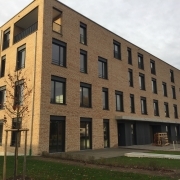 Commercial use was realised on the basement floors up to the first floor and residential use from the second floor upwards. 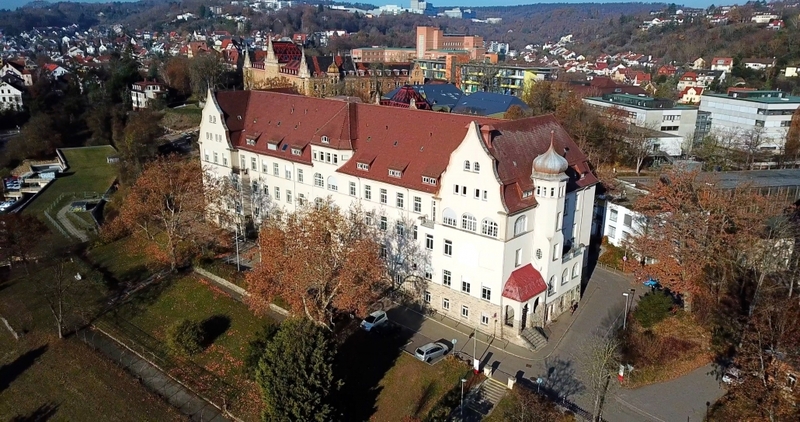 The side wings are now also used for living purposes. 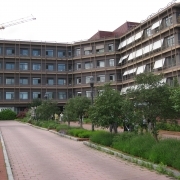 The 5-storey head building in the north of the main building was newly constructed. 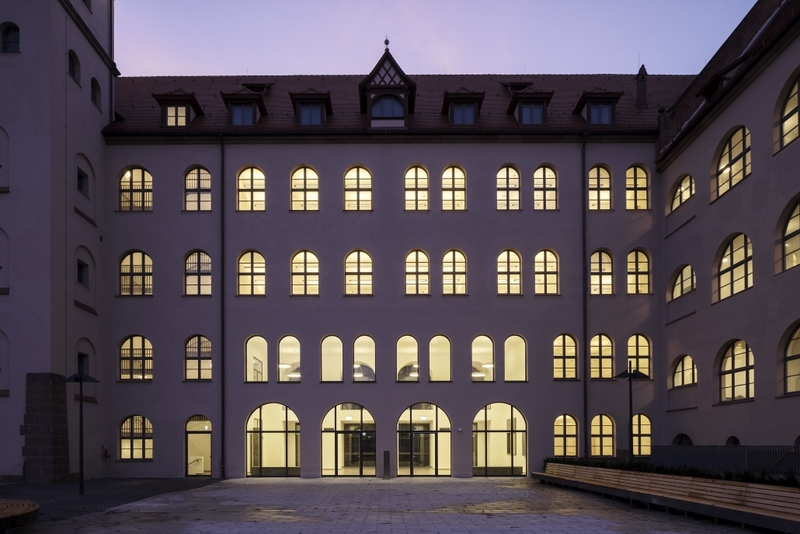 The facade structure was to be retained and the building was to be energetically renovated by means of internal thermal protection. 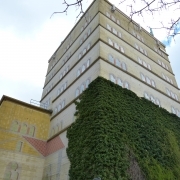 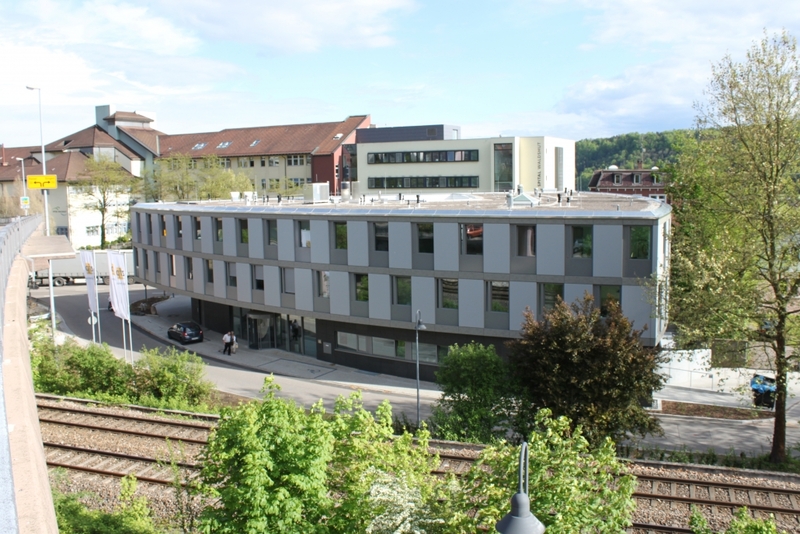 The CRONA Clinic in Tübingen consists of 2 large building parts A and B and a total of 8 floors. 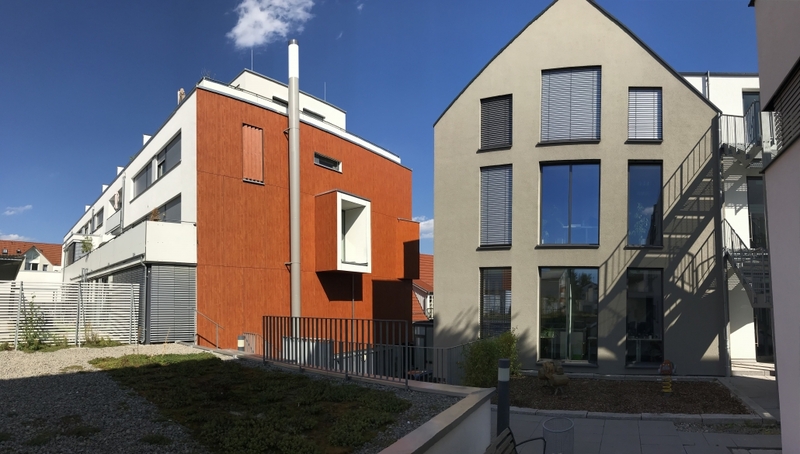 The respective levels differ in their spatial arrangement and use. 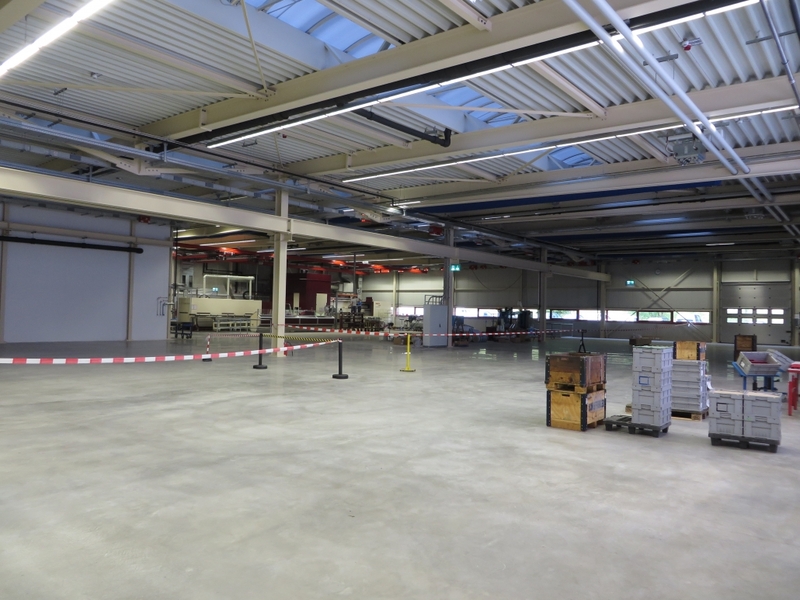 As part of a fire protection renovation, all fire and smoke barriers in the walls and ceilings relevant to fire protection were tested, documented and checked again after completion of the renovation measures. 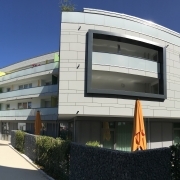 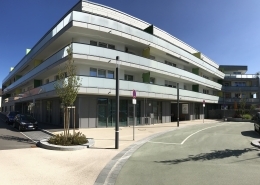 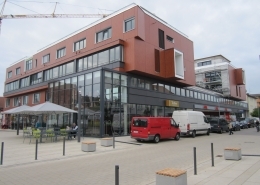 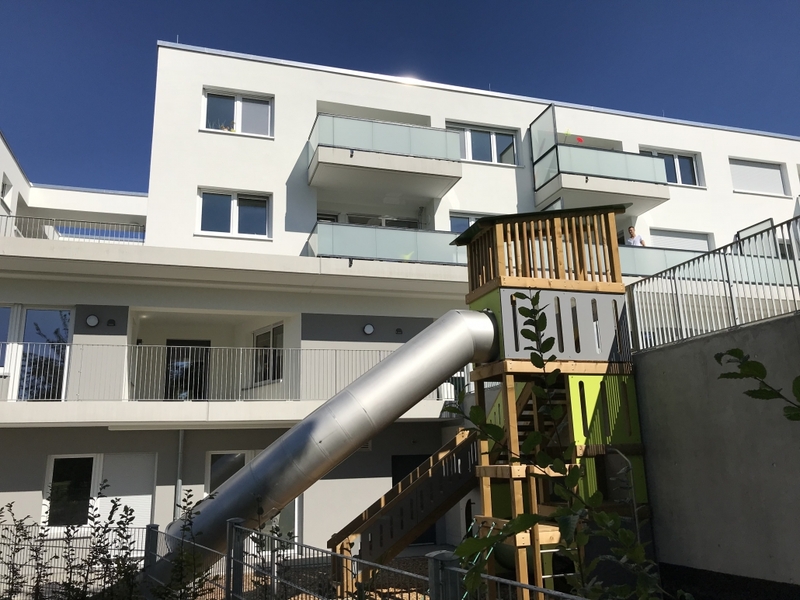 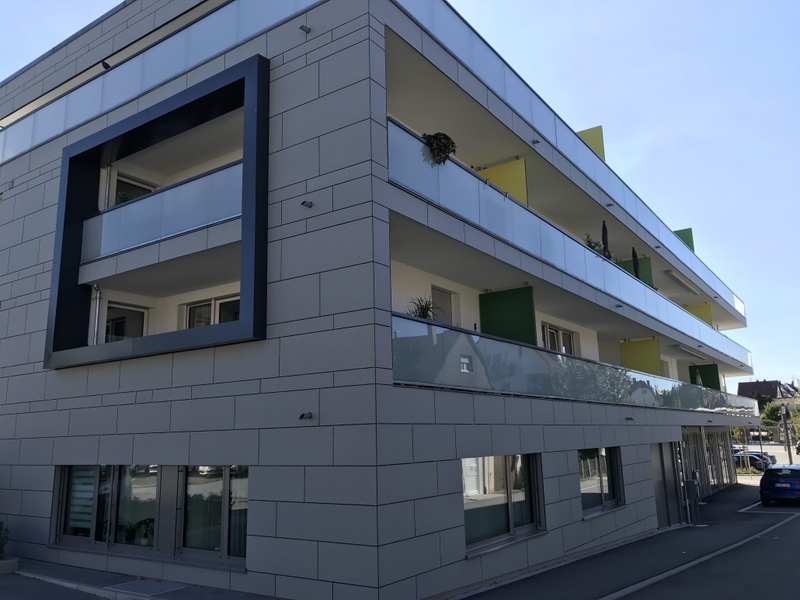 The city of Rutesheim planned the construction of a new day care centre with an underground car park and additional apartments on the upper floors. 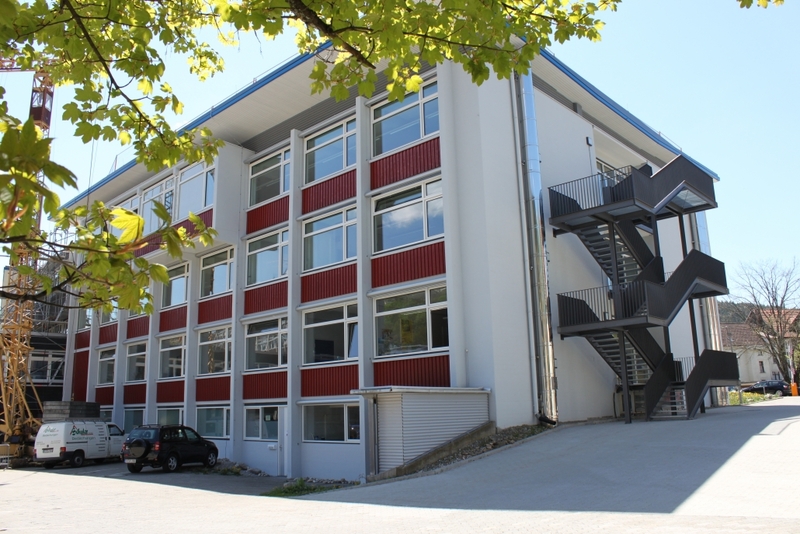 On the 1st and 2nd floors there are 8 one-storey and 4 two-storey apartments. 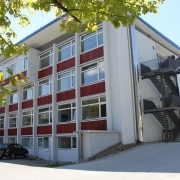 On the ground floor and on the basement floor there is a day care centre and a multi-purpose room with a kitchen. 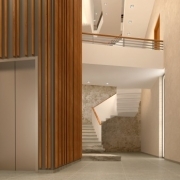 In the basement there is a middle garage with a gross area of approx. 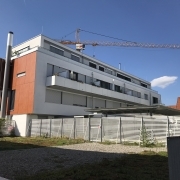 710 m² (incl. 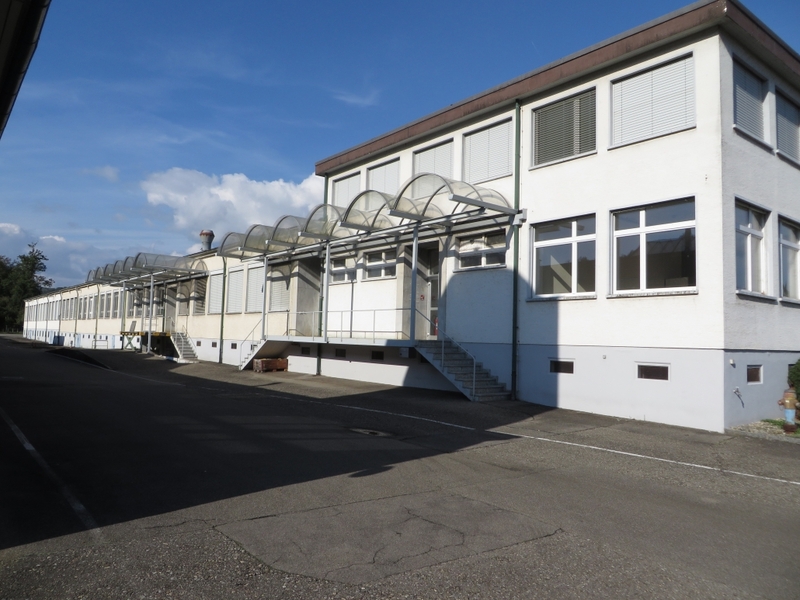 bicycle parking) in addition to the nursery and technical rooms. 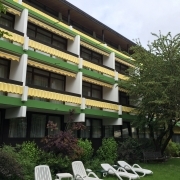 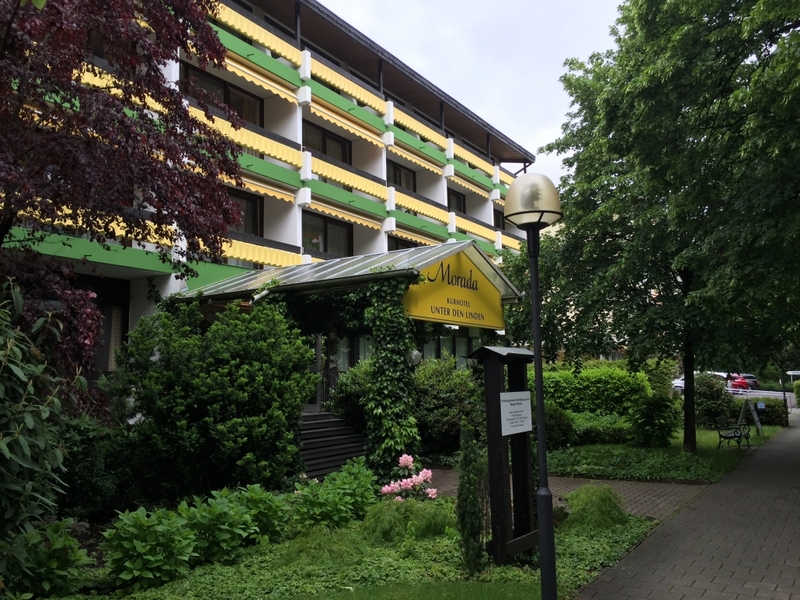 The health resort hotel consists of two 4-storey buildings (plus a basement). 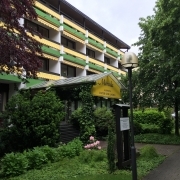 The two buildings of the hotel “Unter den Linden” in Bad Füssing (each approx. 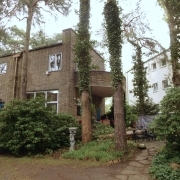 36 m x 12 m) were built in the early 70s. 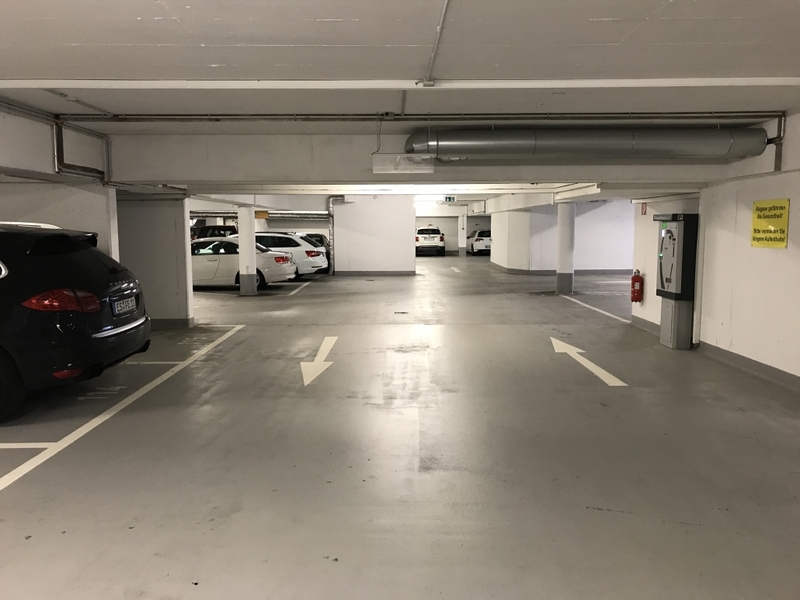 Between house 1 and house 2 an underground garage (middle garage) with approx. 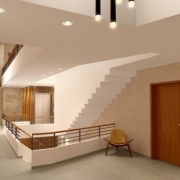 420 m2 was built in the basement. 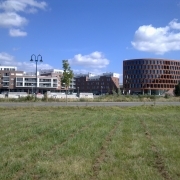 These two buildings were connected by an approx. 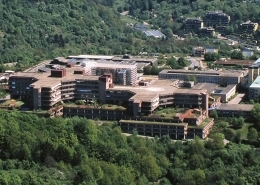 20 m long connecting passage in 1995. 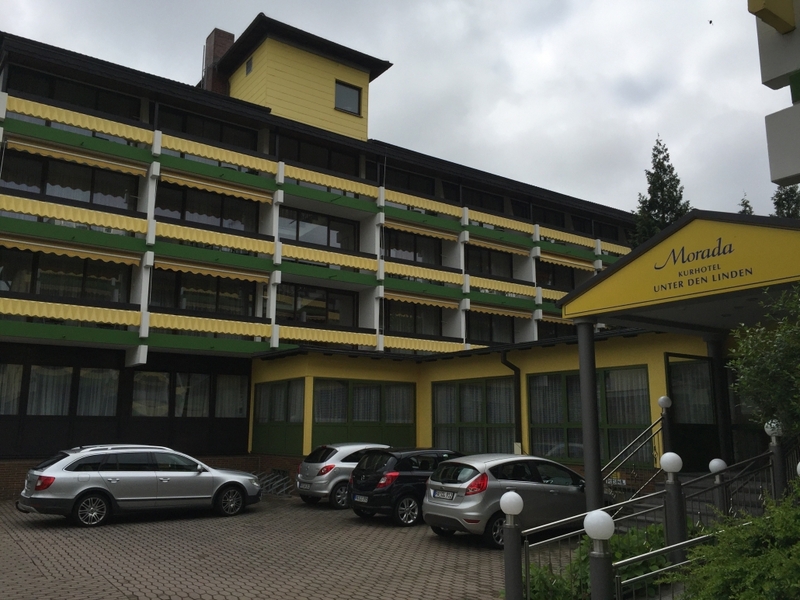 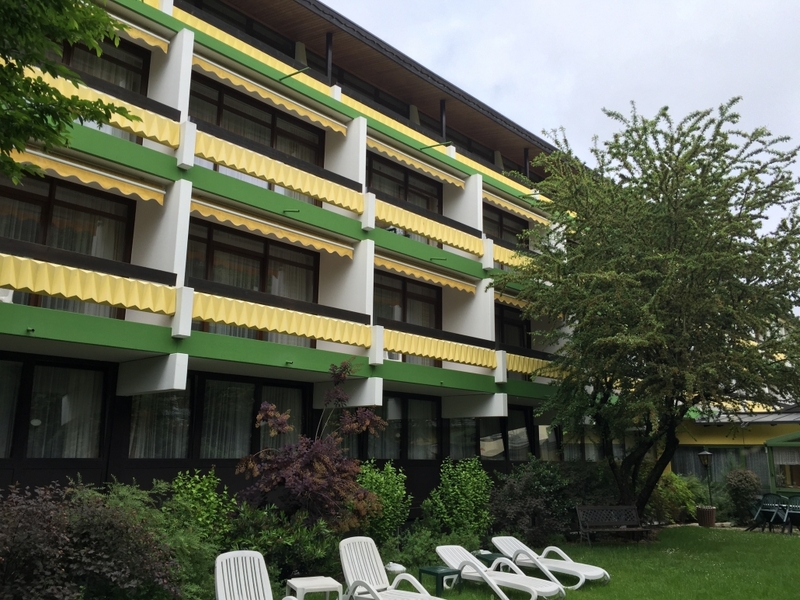 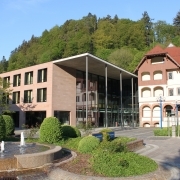 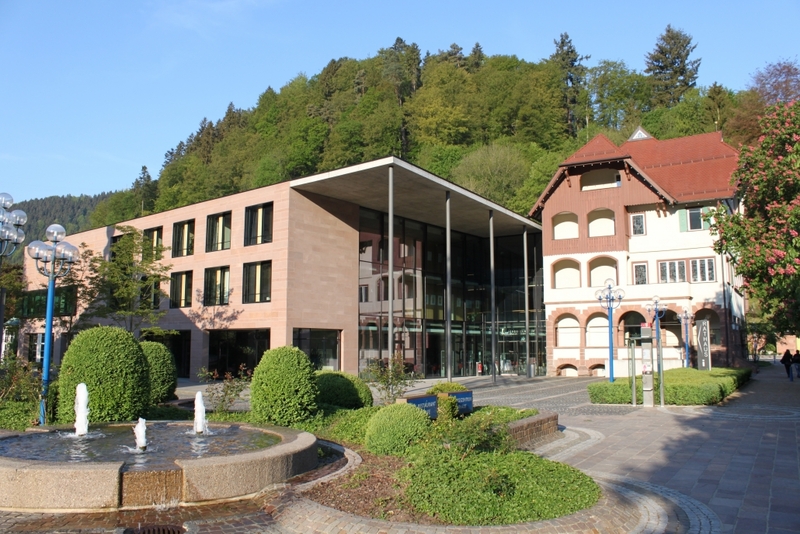 A large number of shortcomings made it necessary to revise the fire protection of the “Unter den Linden” spa health resort in Bad Füssing. 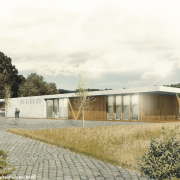 The object consists of a training building, workshop building and sports hall. 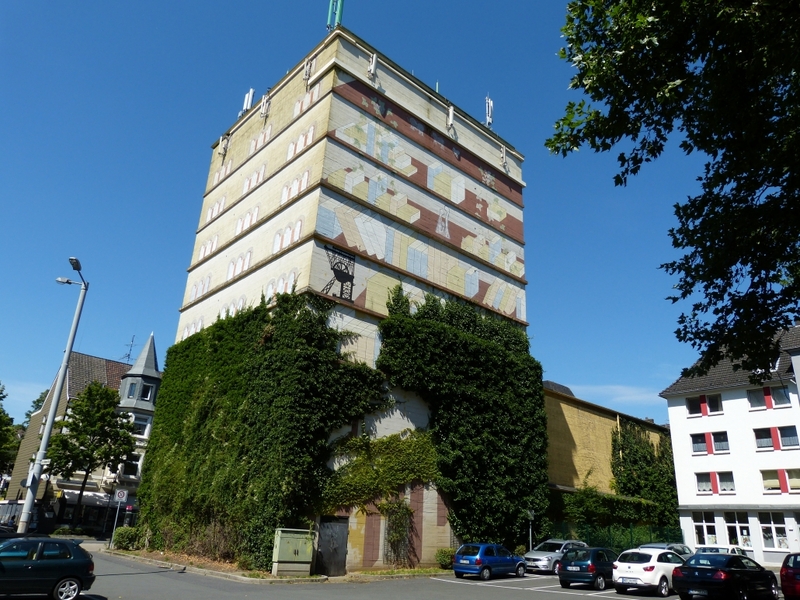 The buildings were built from 1981 to 1984 in Bruchsal and are now classified historical monuments. 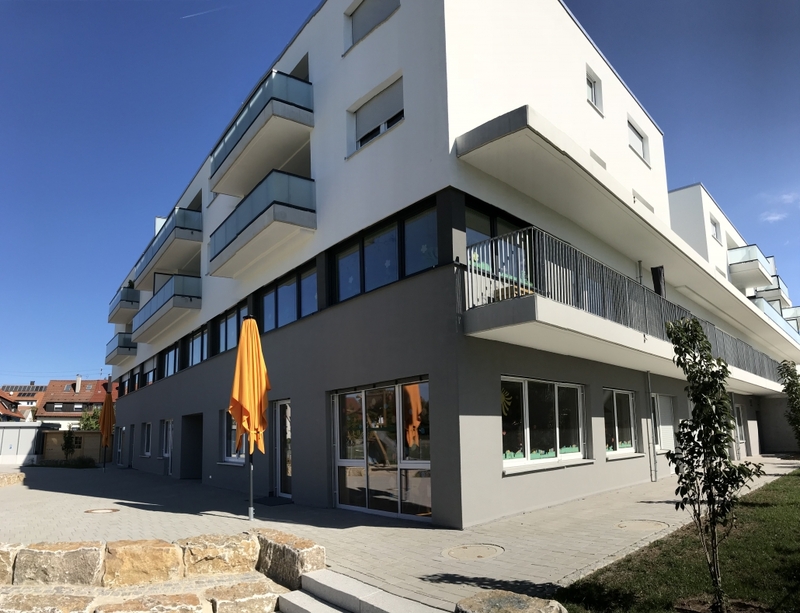 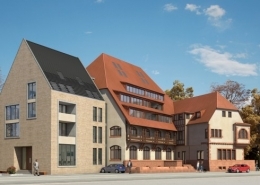 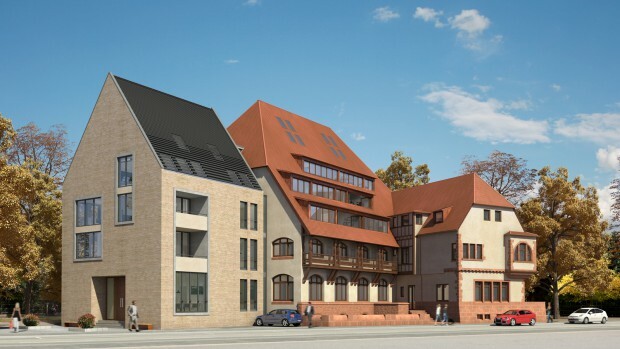 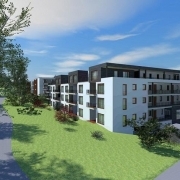 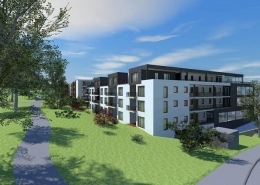 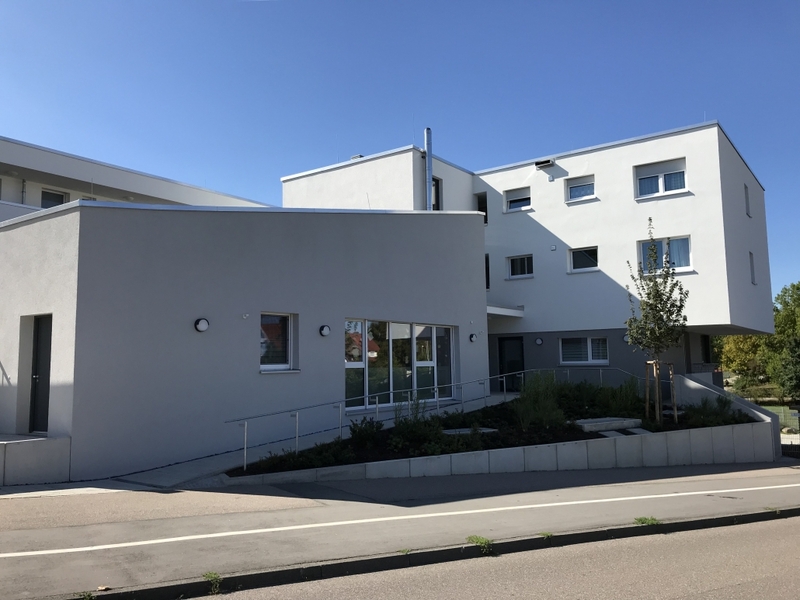 The Südbau Ingenieur- und Planungsgesellschaft mbH planned the new construction of the assisted living complex and the protestant nursing home for the elderly in Bretten. 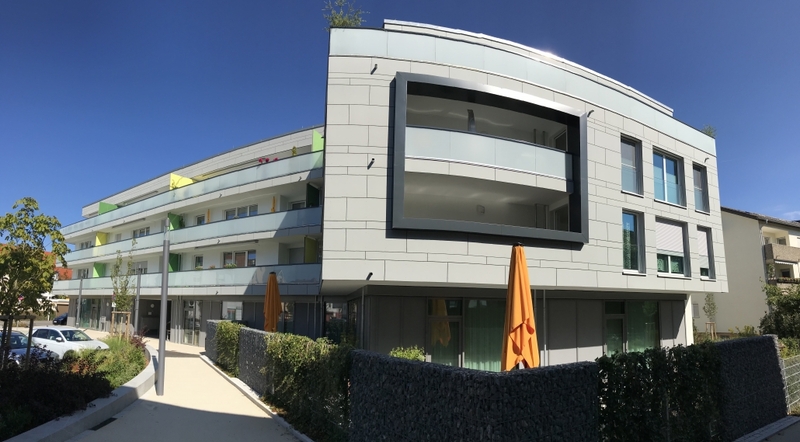 In the assisted living area, 45 apartments have been built, and 75 rooms are now available in the nursing home. 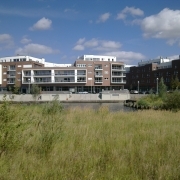 The GWG Städtische Wohnungsgesellschaft Munich planned a residential building “T1 WES” as a second component on the Ackermannbogen site in Munich. 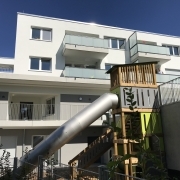 The construction project consisted of a 5-storey building with a total of 4 houses. 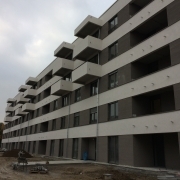 66 residential units with 1 to 5 rooms were built. 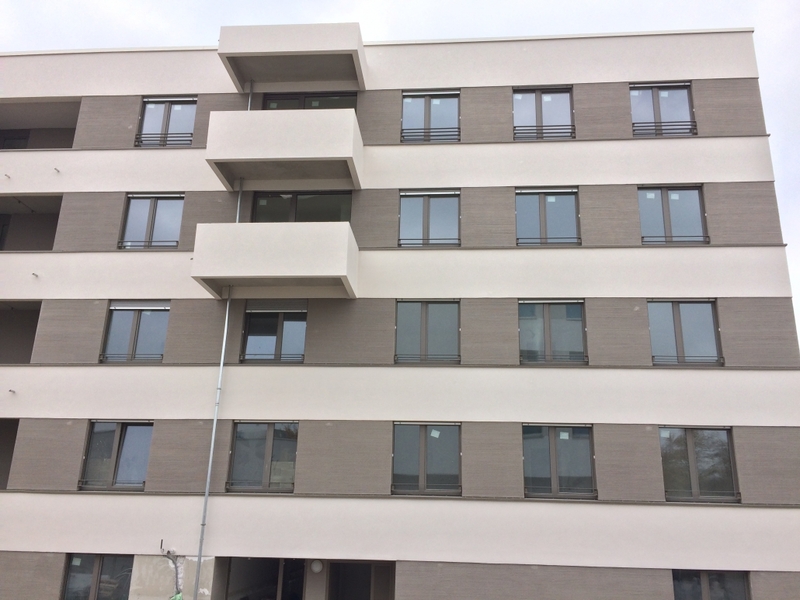 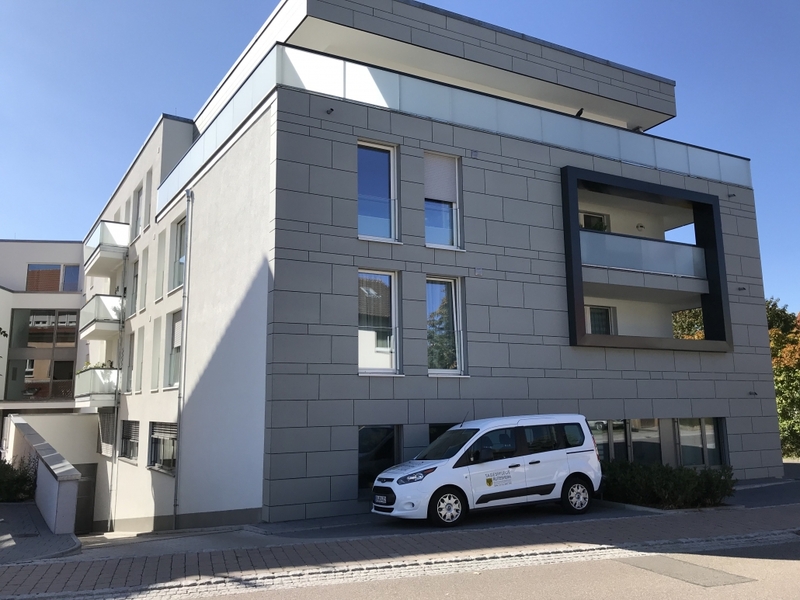 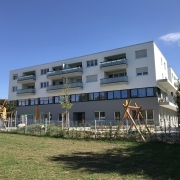 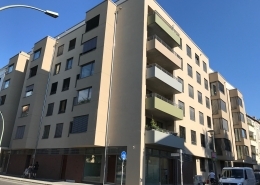 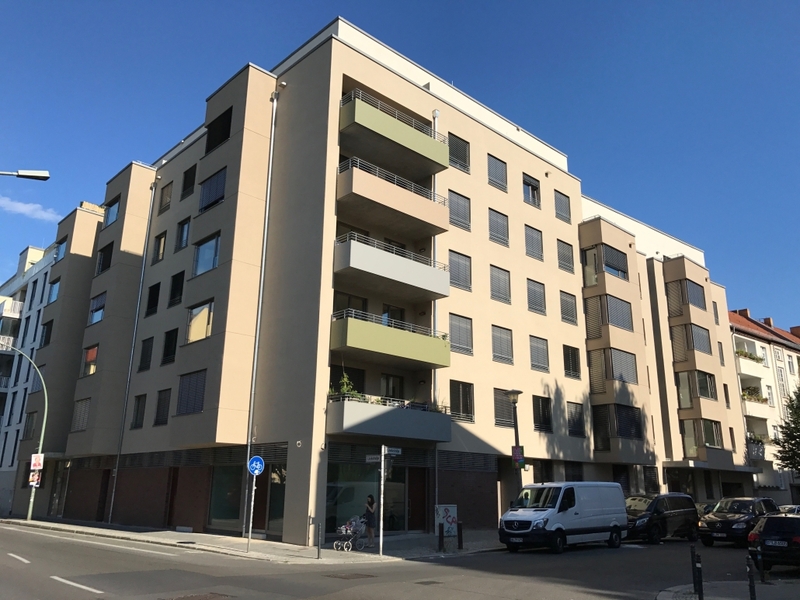 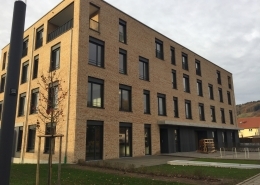 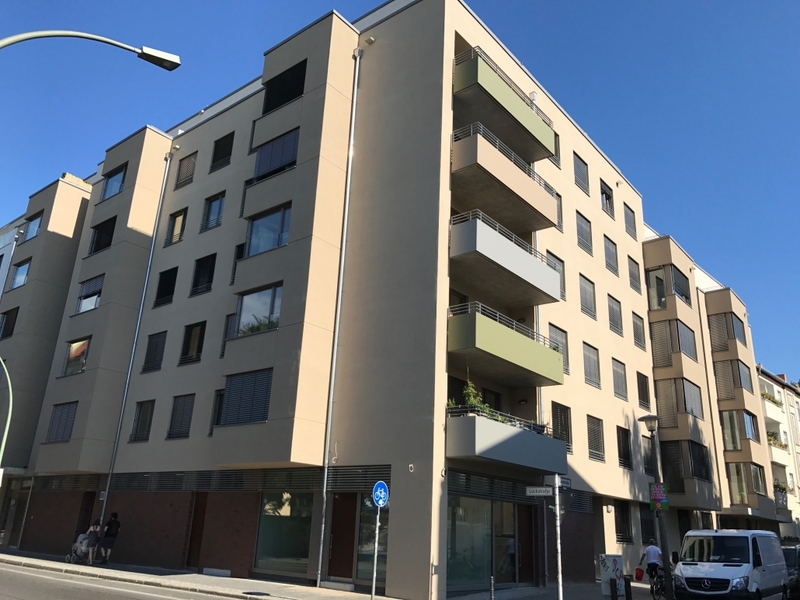 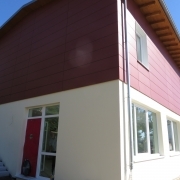 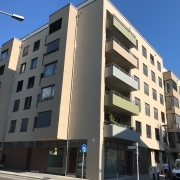 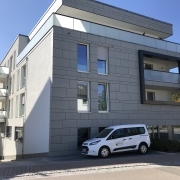 In addition to the requirements of the Energy Saving Ordinance, the Efficiency House 70 standard for FES funding by the City of Munich was also to be achieved. 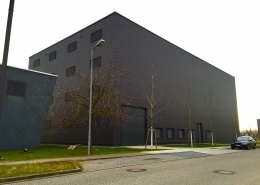 Vermögen und Bau Baden-Württemberg, Amt Karlsruhe, planned the construction of a new book storage facility at Heegwald 25 in Karlsruhe for the Baden Regional Library. 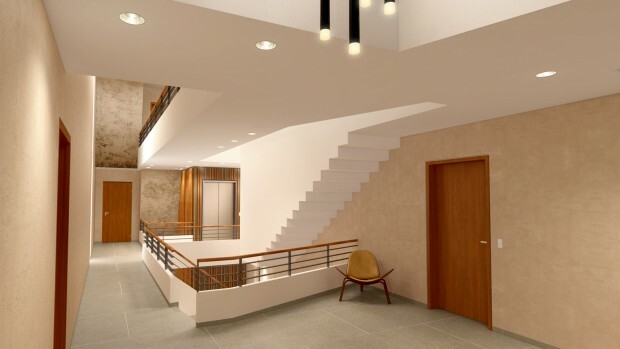 The client wanted the measure to be implemented at EnEV-30%-level. 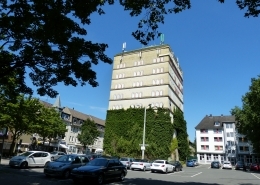 The building consists of 4 floors without basement. 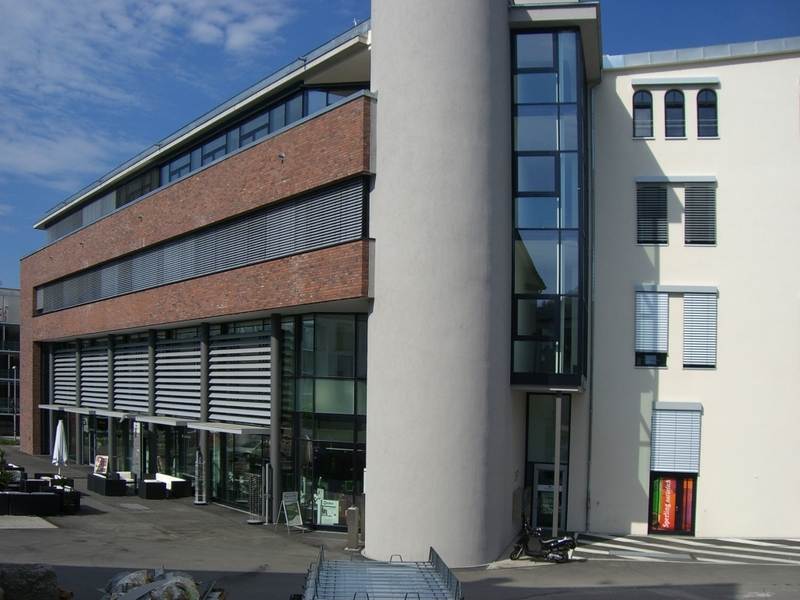 The main purpose is to archive and protect books and documents from existing archives. 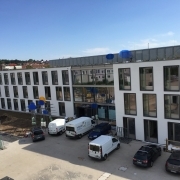 The IFB Ingenieure GmbH was assigned to plan the thermal protection as well as the fire protection for this building. 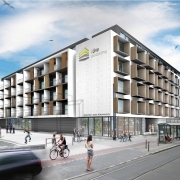 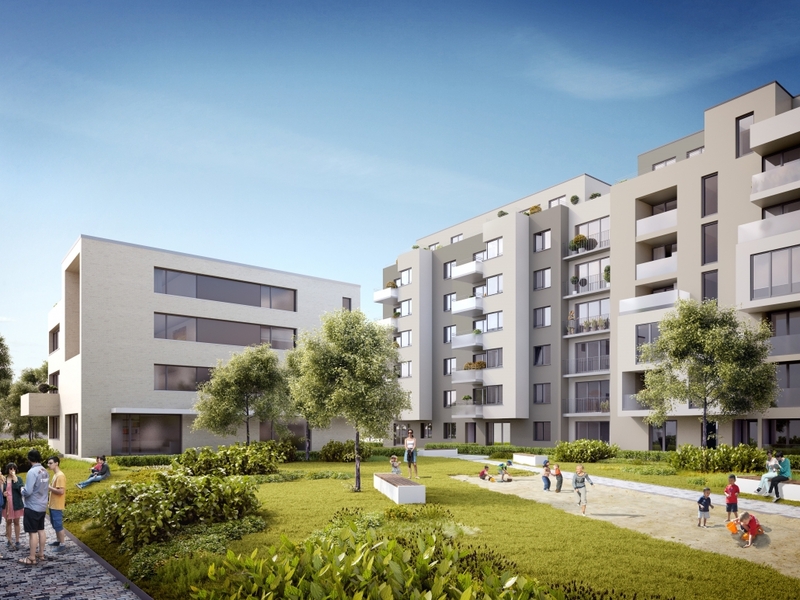 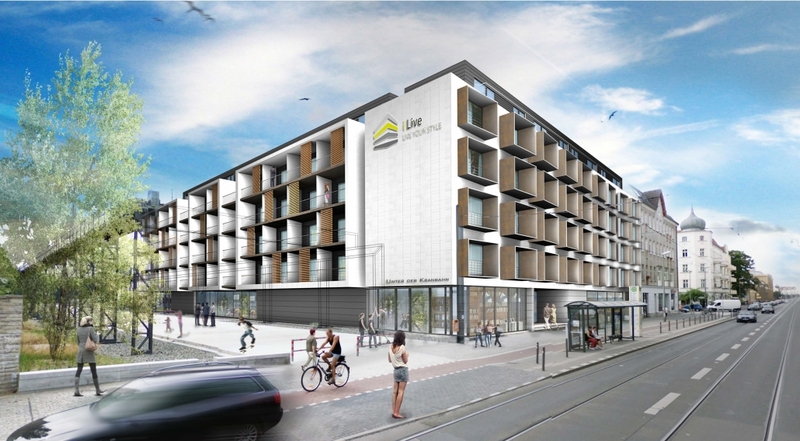 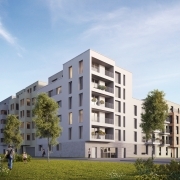 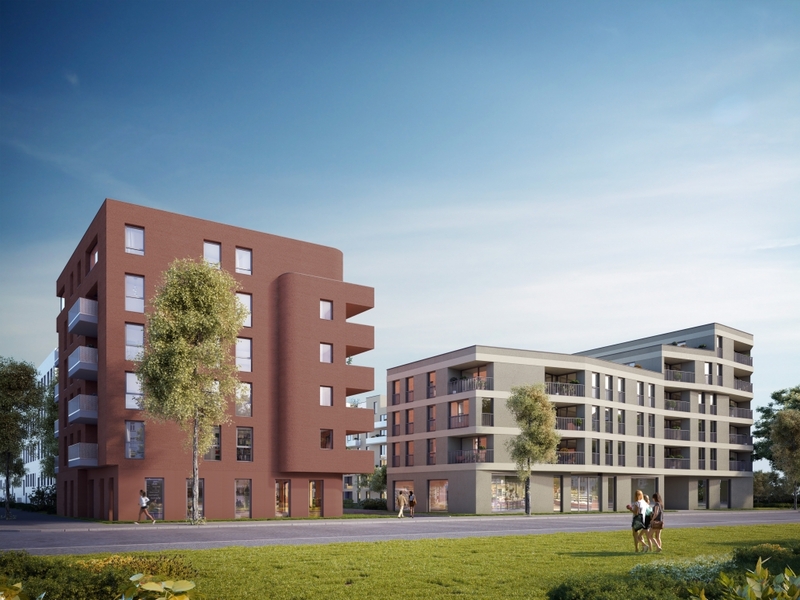 On behalf of the i Live Essen GmbH, a student dormitory with around 300 apartments, 20 penthouse apartments and 68 underground parking spaces is being built in a central Essen location. 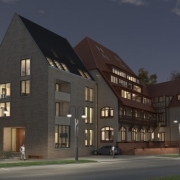 The project is intended to help give students the chance of an affordable temporary home in the currently tense housing market. 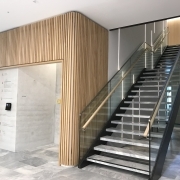 The building has 6 floors, which in addition to the apartments also house a lobby, a reception, a fitness area, an outdoor sports facility and a lounge. 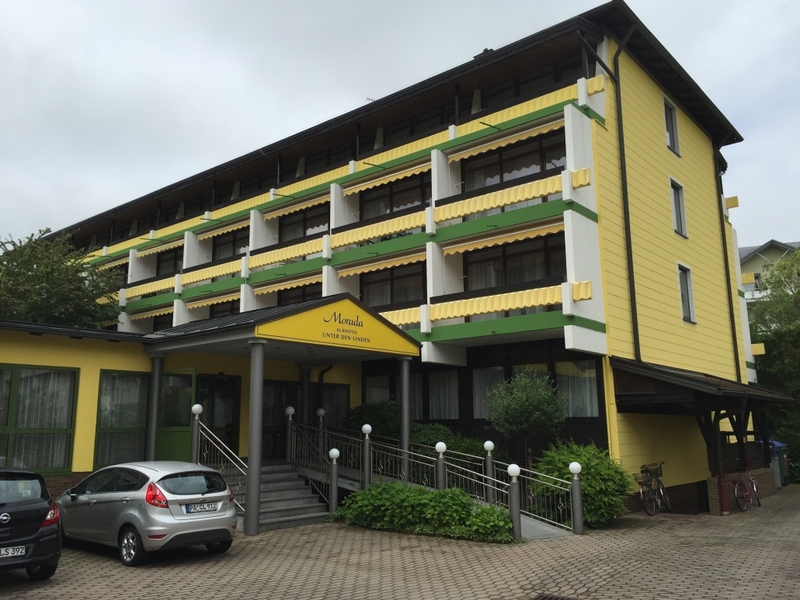 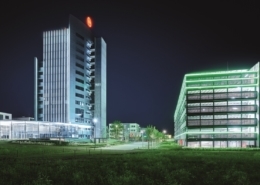 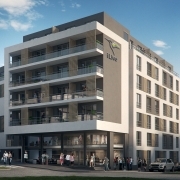 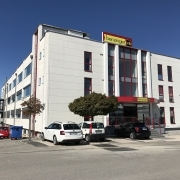 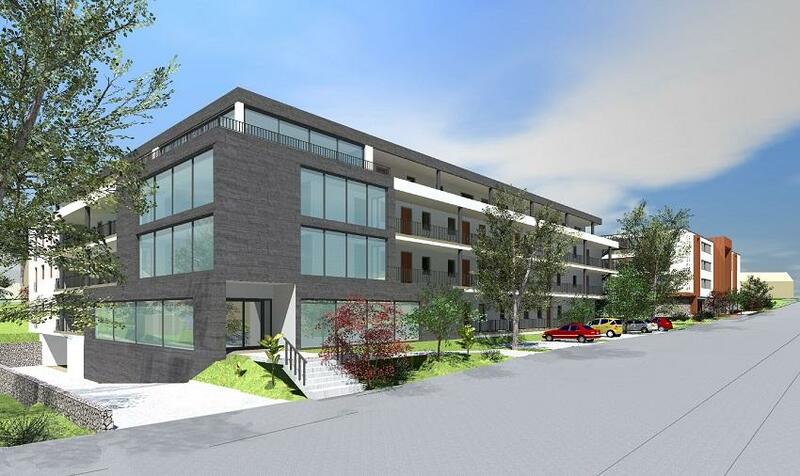 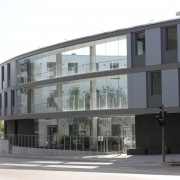 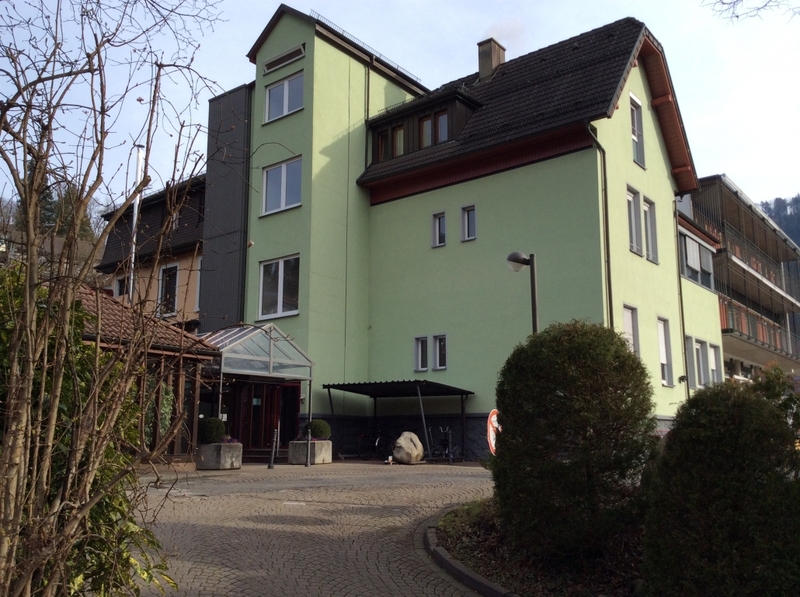 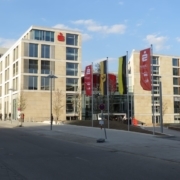 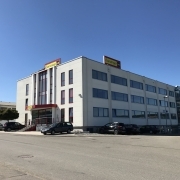 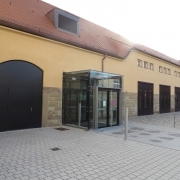 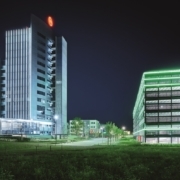 IFB Ingenieure GmbH was assigned to prepare a fire protection concept for the property. 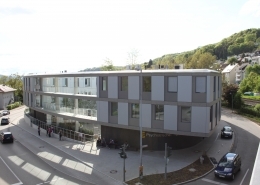 The Christophsbad GmbH & Co. Fachkrankenhaus KG planned the construction of a new multi-storey car park in the Christophsbad Göppingen using the split-level construction method. 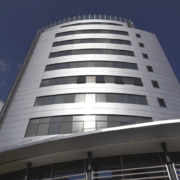 The multi-storey car park has 365 parking spaces on a total of 7 levels. 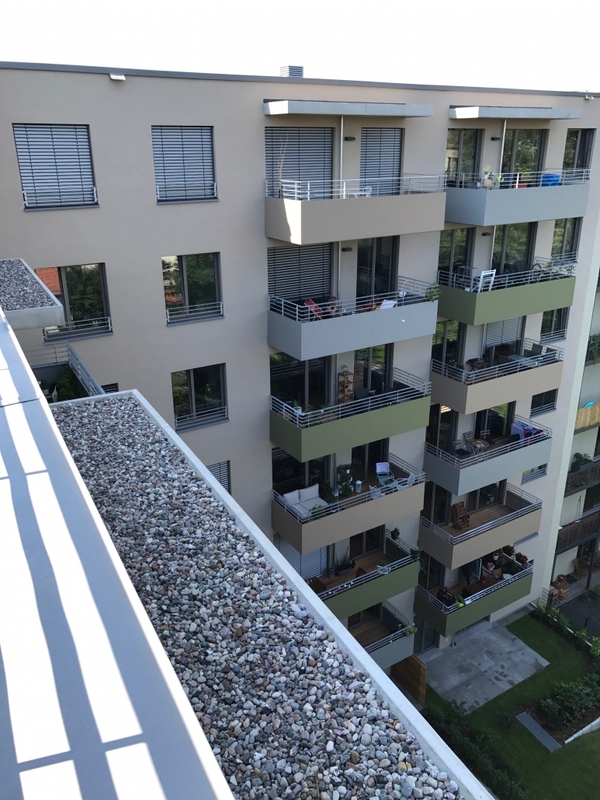 In the context of a sound-technical investigation, the acoustic impact of the multi-storey car park into the neighbourhood was to be investigated and proven. 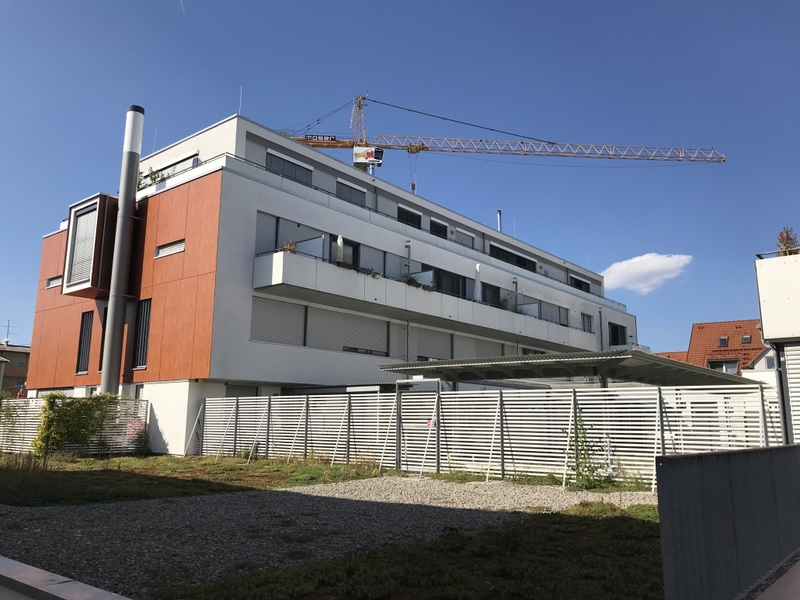 In addition, IFB Ingenieure GmbH was commissioned to prepare a sound engineering expert opinion as part of the redesign of the development plans of the Christophsbad GmbH & Co. Fachkrankenhaus KG. 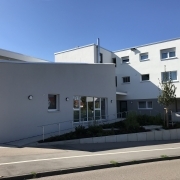 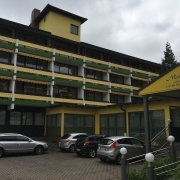 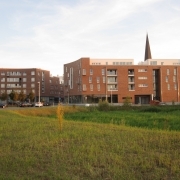 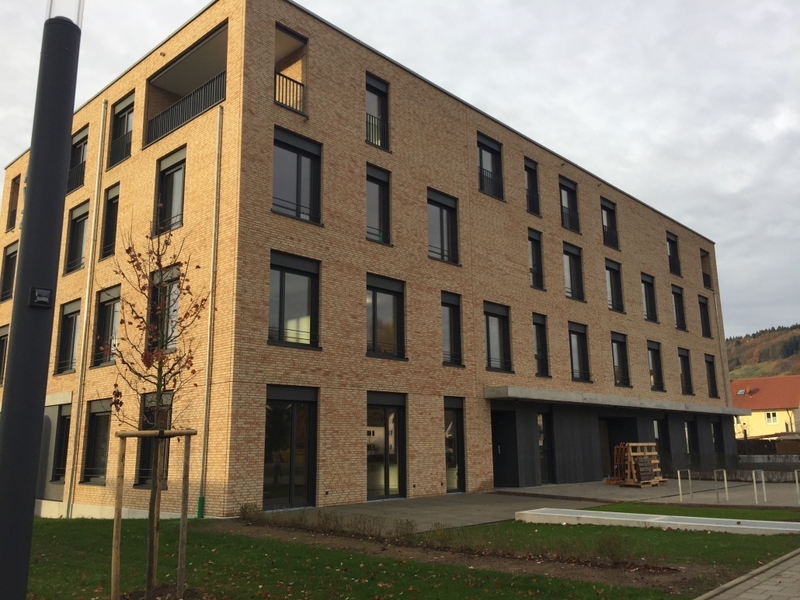 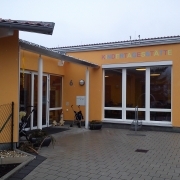 The Vincentius Association in Oppenau planned the construction of a new senior citizens’ residential home with doctors’ surgeries and day care facilities as an extension building. 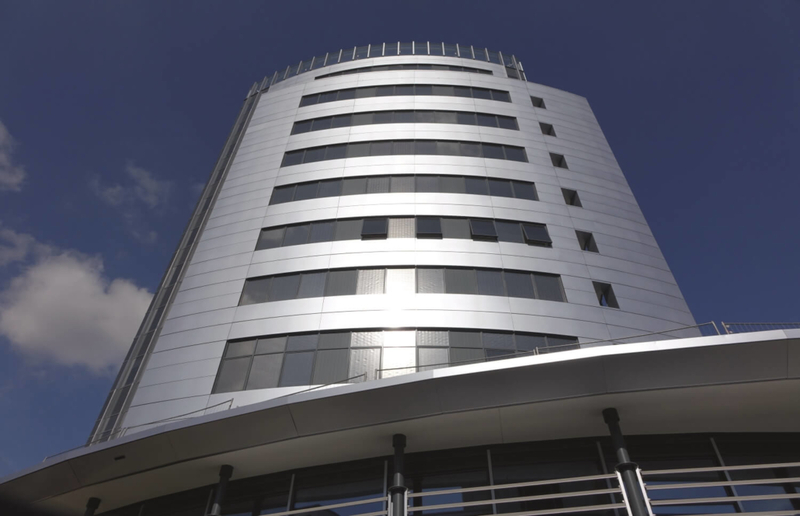 The building with 4 full storeys and an underground car park below the ground floor was constructed in solid construction and received a flat roof. 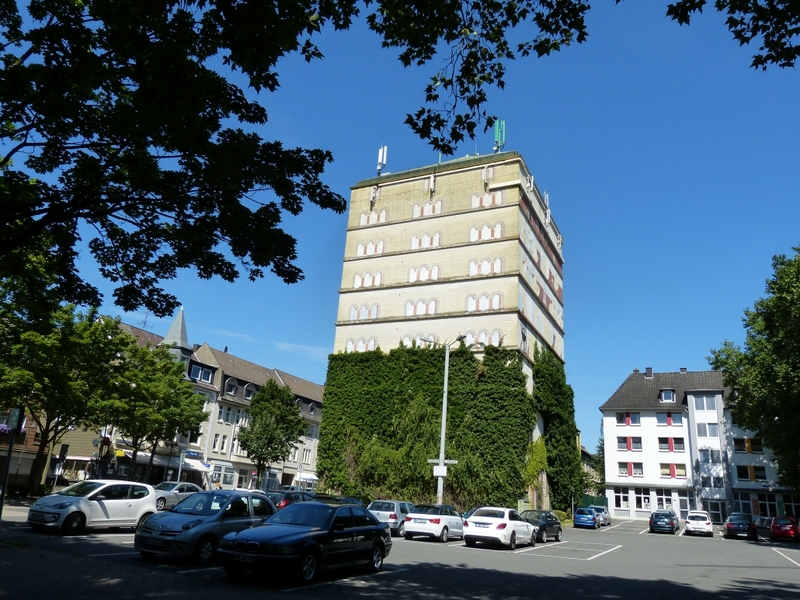 Due to its location directly on the B28 road in Oppenau, special attention had to be paid to noise protection against road traffic noise. 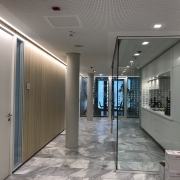 The IFB Ingenieure GmbH was commissioned with the planning and the proof of the sound protection against external noise as well as the building acoustics. 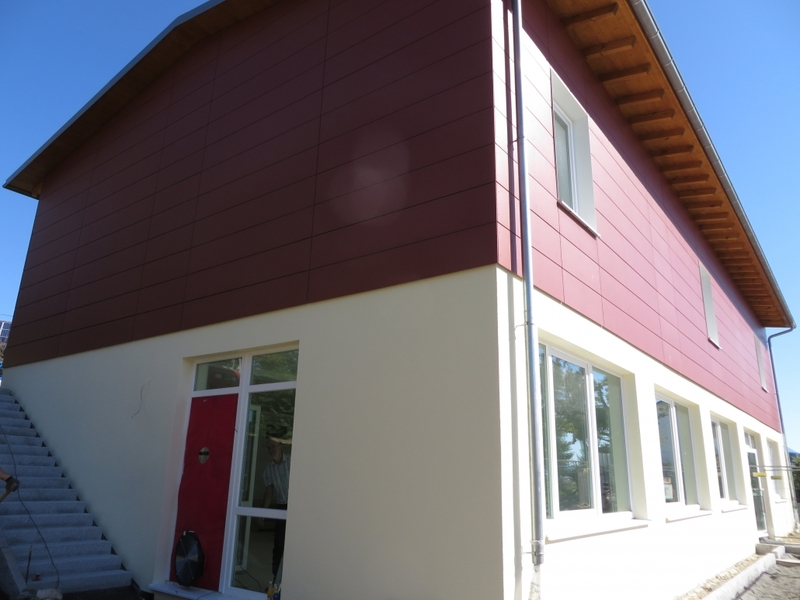 The energy-saving thermal protection was also proven. 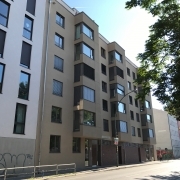 In Wilhelminenhofstrasse 80 in Berlin, the i-live Berlin GmbH planned the construction of a new student residence (“Junges Wohnen”) with a boarding house. 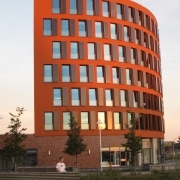 The building was planned as a solid construction with 7 full storeys and a flat roof. 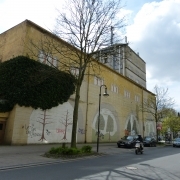 On the lowest floor (basement), an underground car park for parking spaces was built. 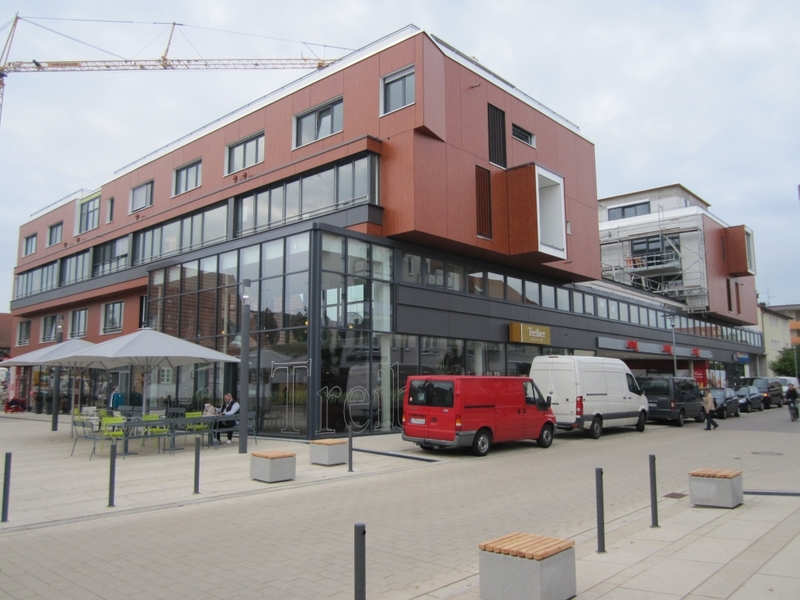 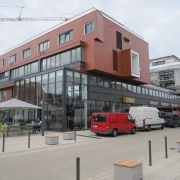 The Parkinson’s disease clinic in Wolfach was to be adapted and rebuilt with regard to its infrastructure. 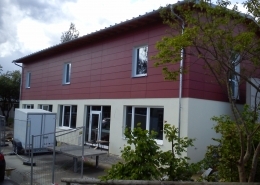 For this purpose, a new building was constructed. In this context, the existing building sections for transformer, emergency power and low-voltage main distribution were demolished. 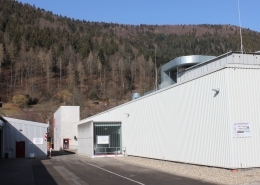 The infrastructure for gas, water, sewage and electricity was completely renewed. 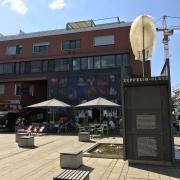 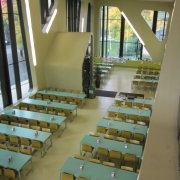 The canteen building in the Moltkestrasse in Karlsruhe has been in operation since 2007. 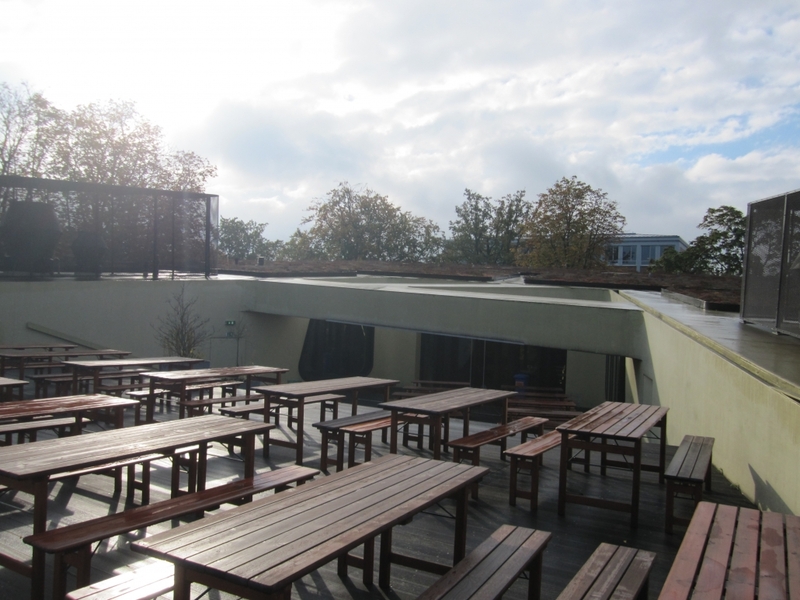 The building consists of 2 storeys with a roof terrace and a slightly sloping pent roof, which geometrically forms an inclined plane. 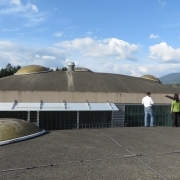 The building was already the focus of attention in 2009 due to damage to the roof sealing. 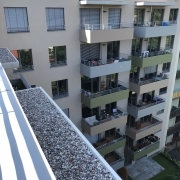 After water had penetrated into the interior of the building and there had been a clear bubble formation on the sealing of the outer walls, the constructions were examined in more detail. 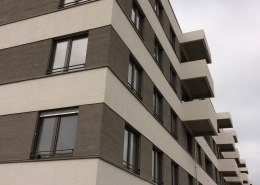 It was determined that parts of the wooden beams are already infested with decay due to penetrating moisture. 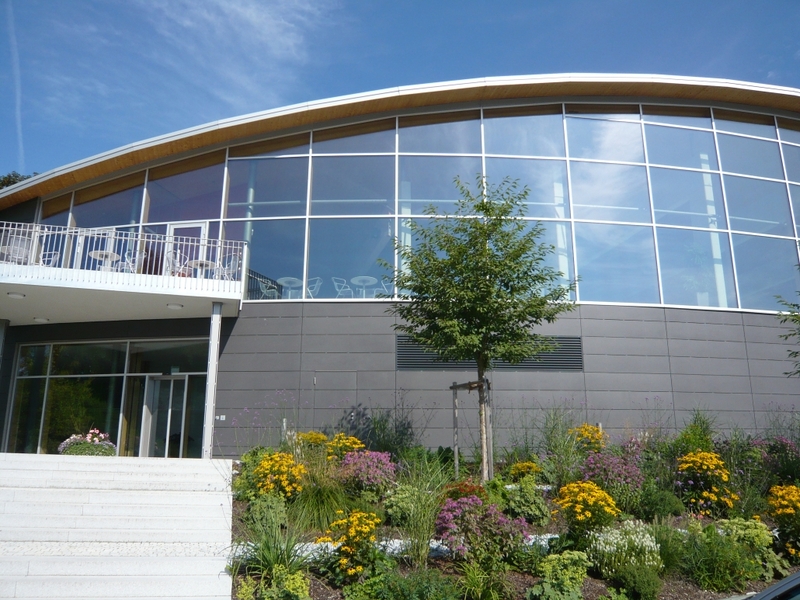 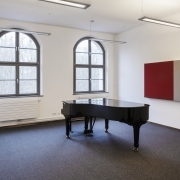 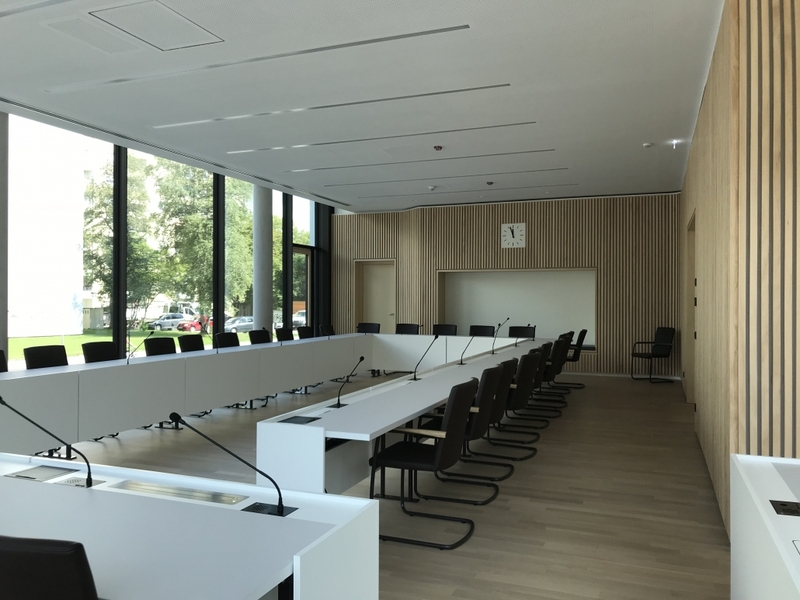 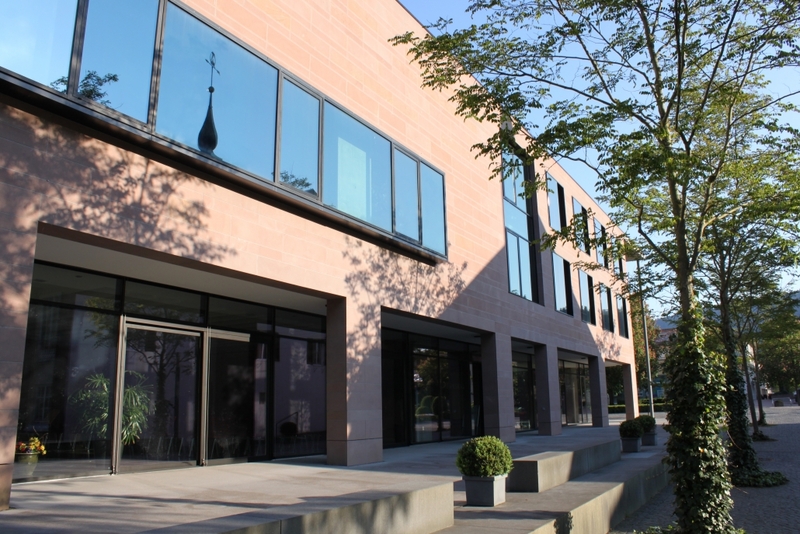 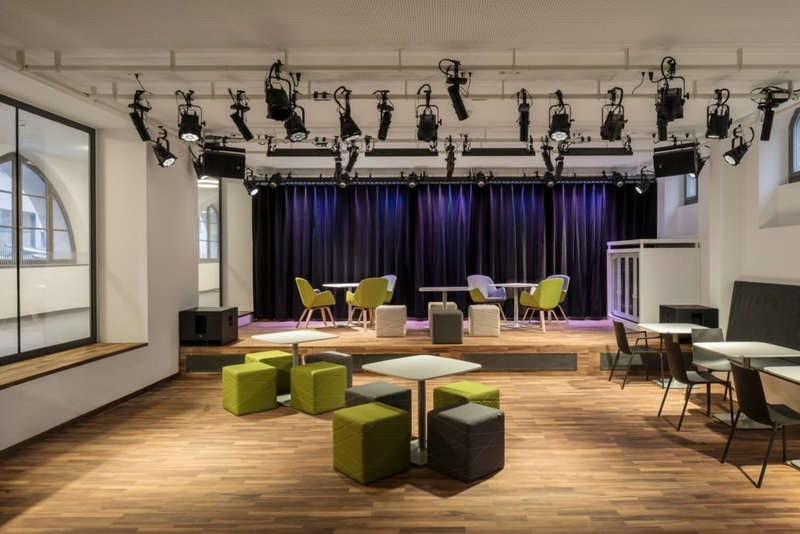 IFB Ingenieure GmbH was involved in the construction of a new music rehearsal room and a library in solid construction in Tiefenbach-Kirchberg vorm Wald. 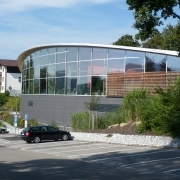 The building has a ground floor, in which the library is located, as well as an upper floor, which is used by the orchestra. 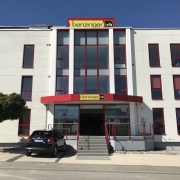 The “Benzinger Office Building” is located in the Tiefenbronn industrial park. 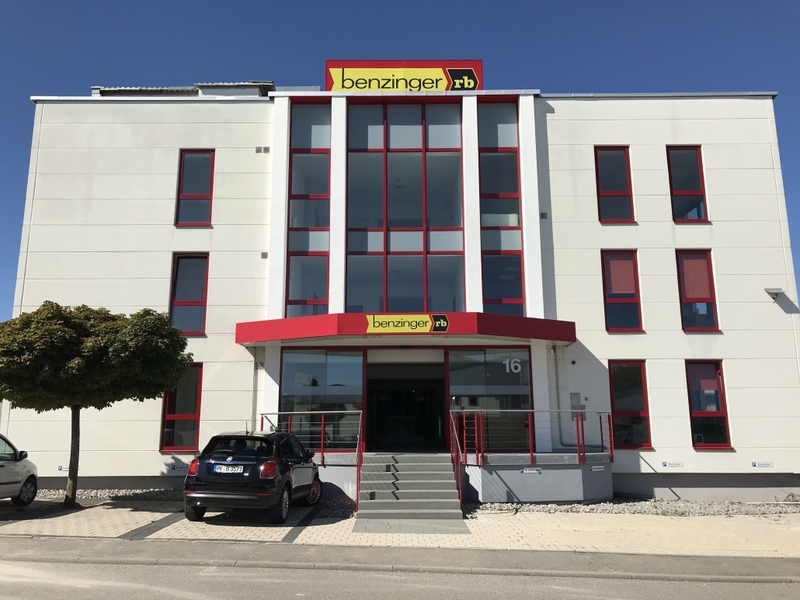 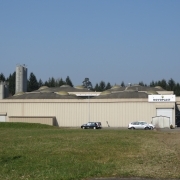 It was built in 1996 and purchased by Benzinger in 2014. 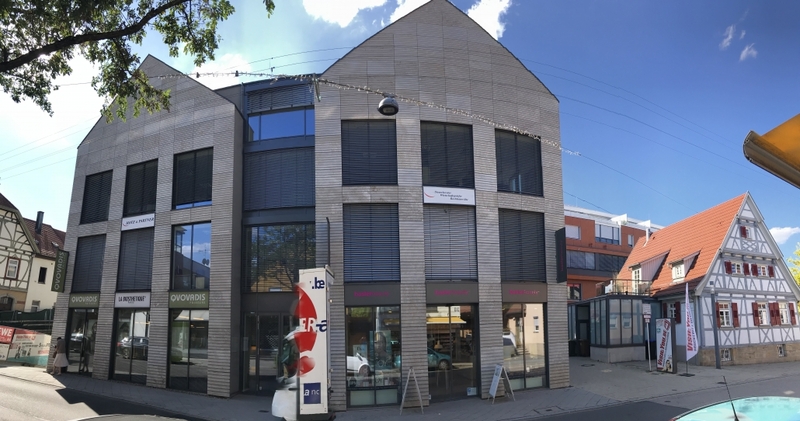 The 3-storey building has office units on the upper floors and storage rooms in the basement as well as 2 residential units on the upper floor. 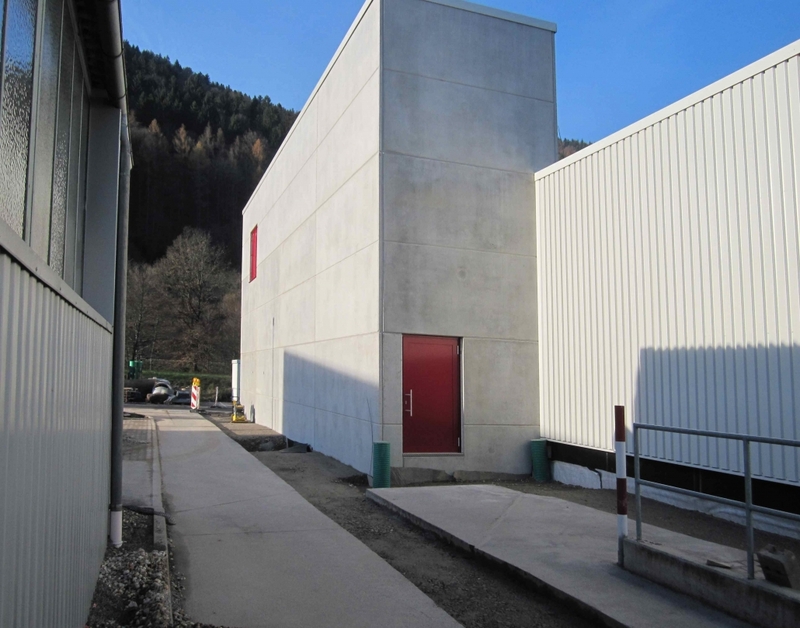 Novoplast AG in Wallbach, Switzerland, reorganized the existing manufacturing facilities and added a new warehouse and shipping facility. 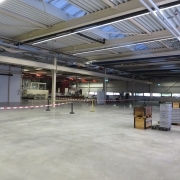 In addition, a new floor level was to be moved into the existing production hall as the second floor and offices were to be built. 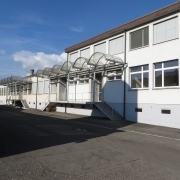 The Schneeberger GmbH company planned the extension of its production facilities. 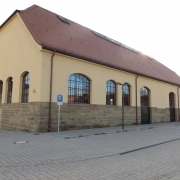 For this purpose, the existing industrial hall was to be extended in Höfen/Gräfenau in 2009 with a new hall. 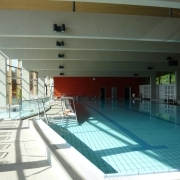 The first machines to be installed in the new building were installed in winter 2013, followed by further machines and technical systems in 2014. 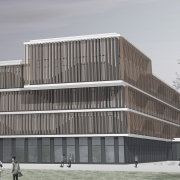 All technical requirements for the final extension of the technical systems were taken into account in the planning. 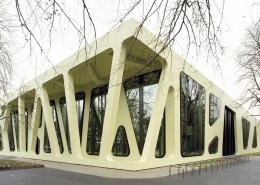 The Science and Technology Centre (WTZ) is the heart of the Zukunftspark Wohlgelegen in Heilbronn. 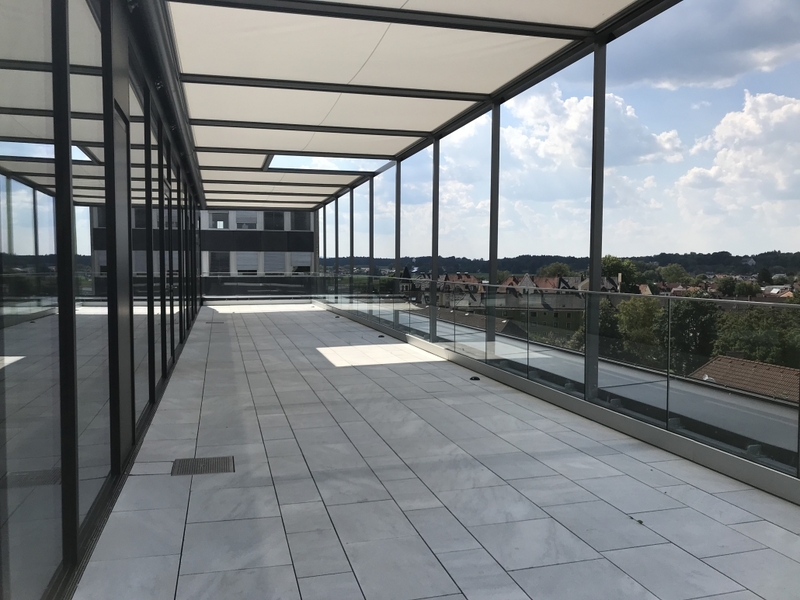 The WTZ III is an office building with restaurants and kitchens as well as conference and meeting rooms on the first and second floors. 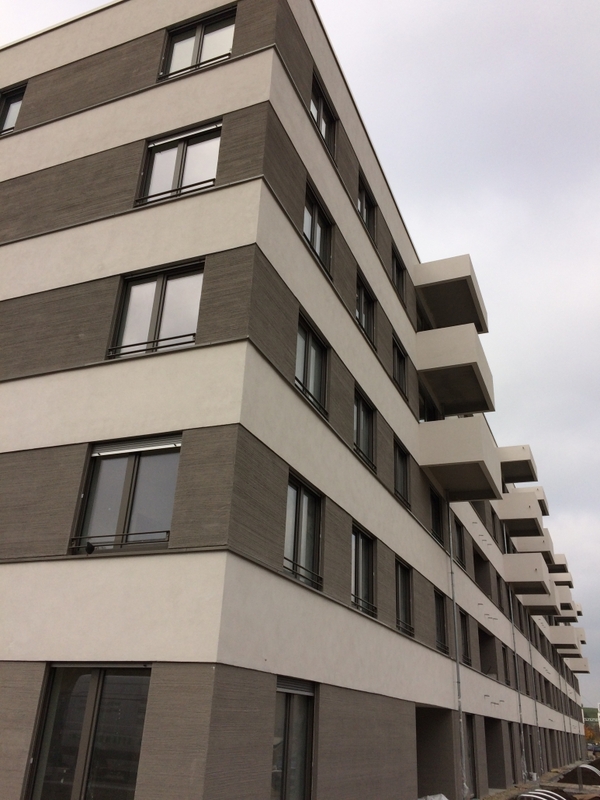 The aim was to award the WTZ III with a DGNB label in gold, which was successfully achieved. 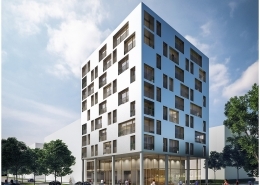 The Sparkassenverband Baden-Württemberg planned the new building of the Sparkassenakademie at the Pariser Platz in Stuttgart. 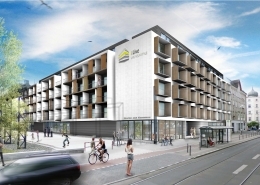 This included 2 construction phases. 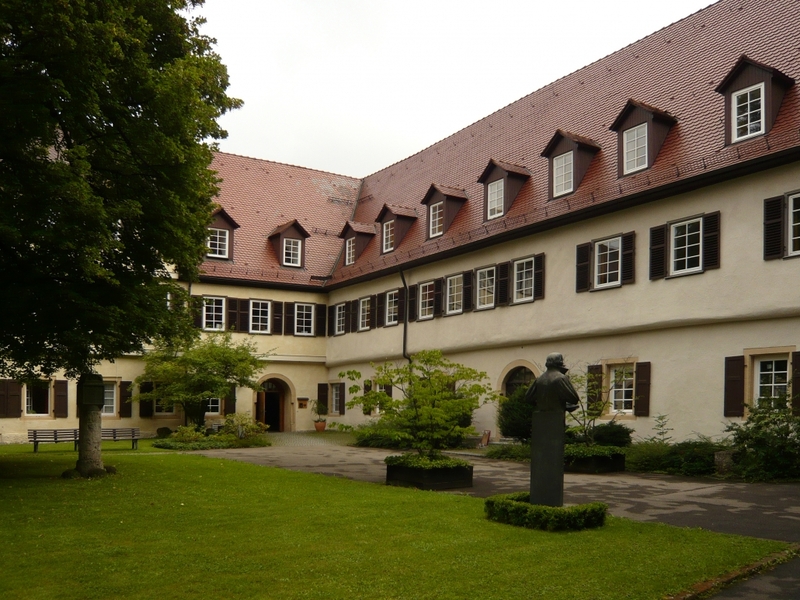 The building used for conferences and seminars was built as the first construction phase. 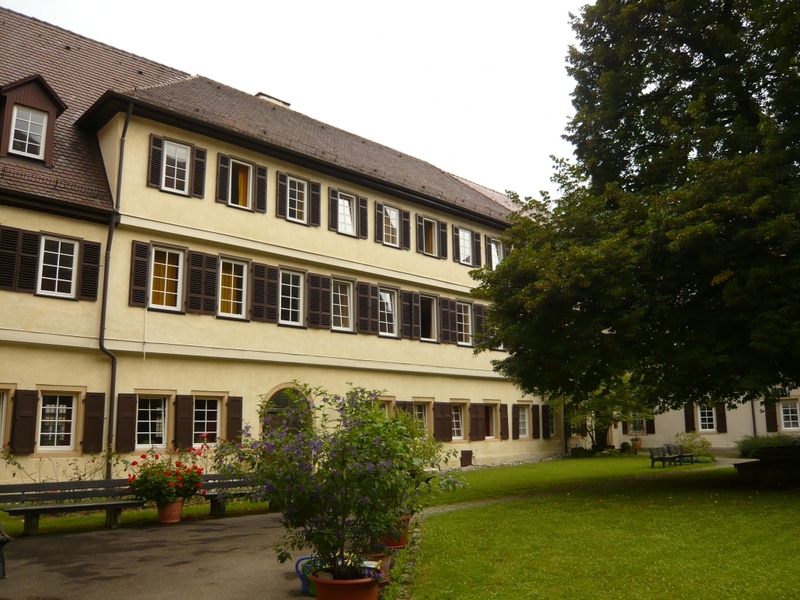 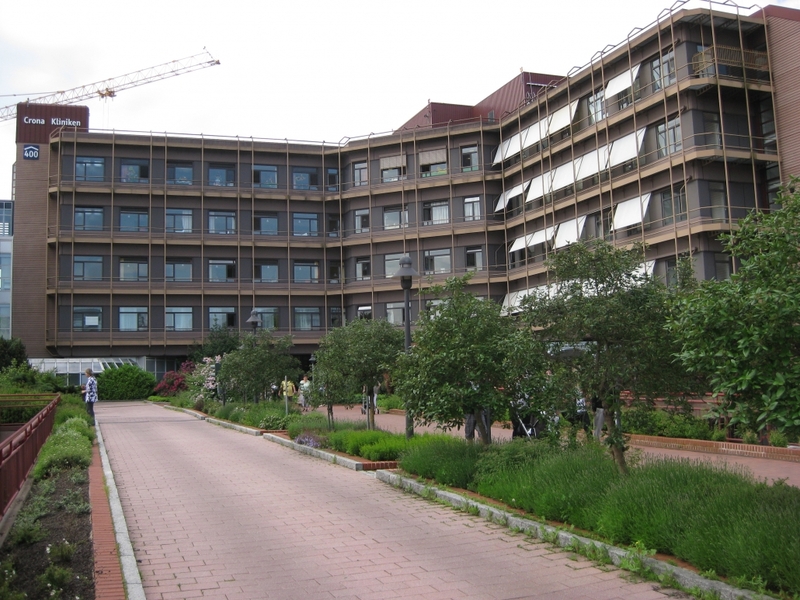 The building consists of 3 wings, a seminar wing, 2 living wings and an inner courtyard. 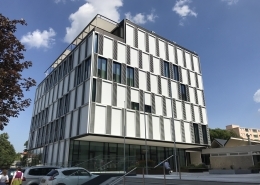 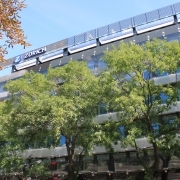 The second construction phase was the construction of an office building, which was connected to the first construction phase on floor 6. 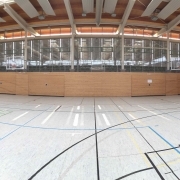 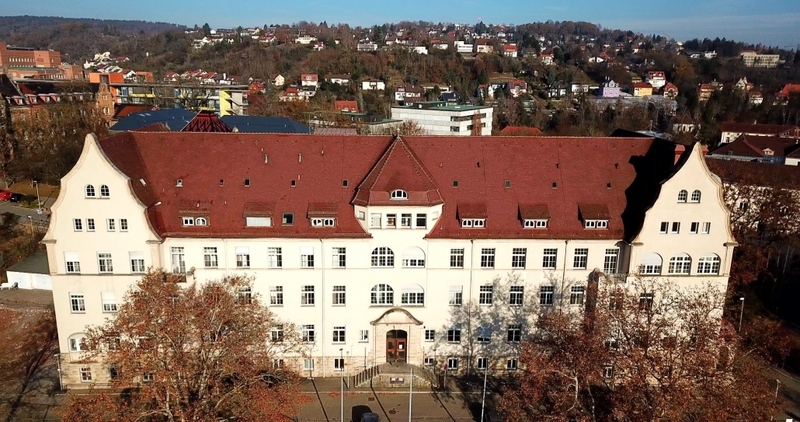 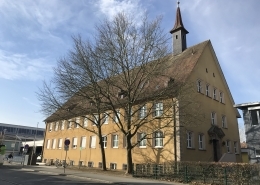 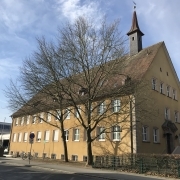 The school administration office of the city of Stuttgart planned the conversion and construction of a gymnasium and assembly hall in the existing buildings of the Römerkastell / Reiterkaserne in Stuttgart. 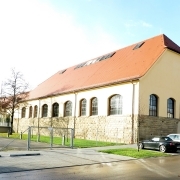 The buildings are listed as historical monuments. 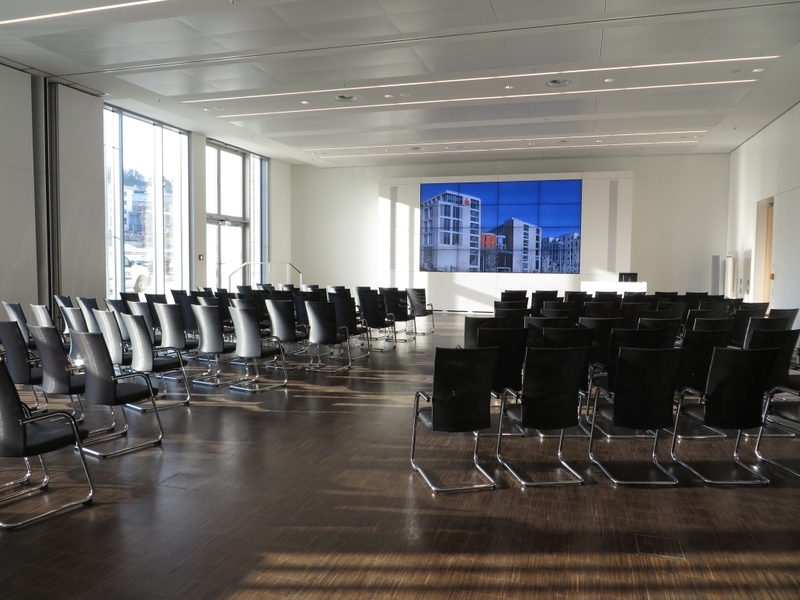 The IFB Ingenieure GmbH was assigned to plan the heat and moisture protection as well as the room acoustics for this building. 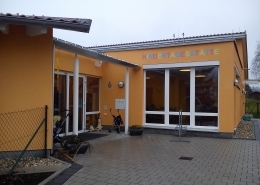 The district of Schömberg planned the construction of a new nursery school in the Siedlungsstrasse in Schömberg-Langenbrand. 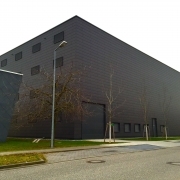 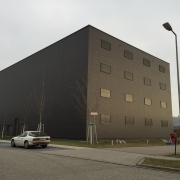 The IFB Ingenieure GmbH was assigned with the planning of the room acoustics for this building project. 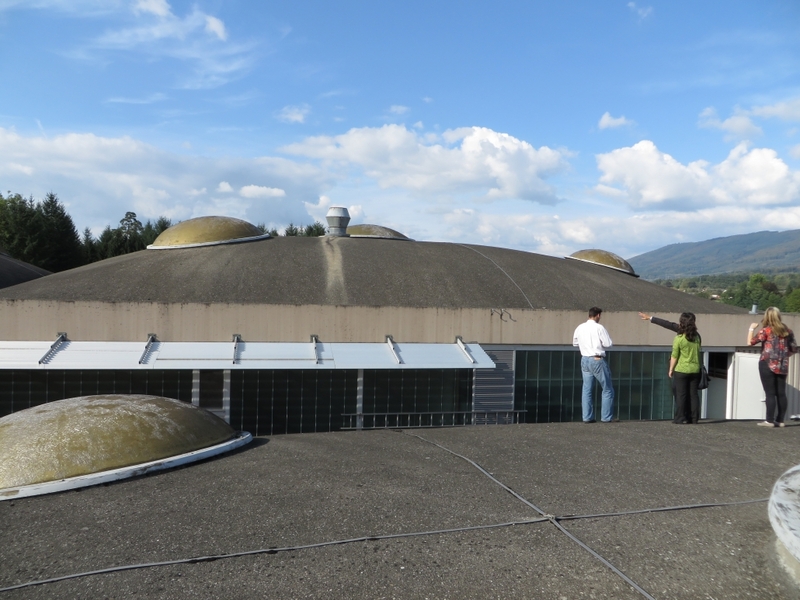 This included sound measurements, such as the measurement of the reverberation time. 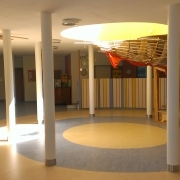 The acoustics area makes an important contribution to the protection of children, but also to the health and safety of the staff. 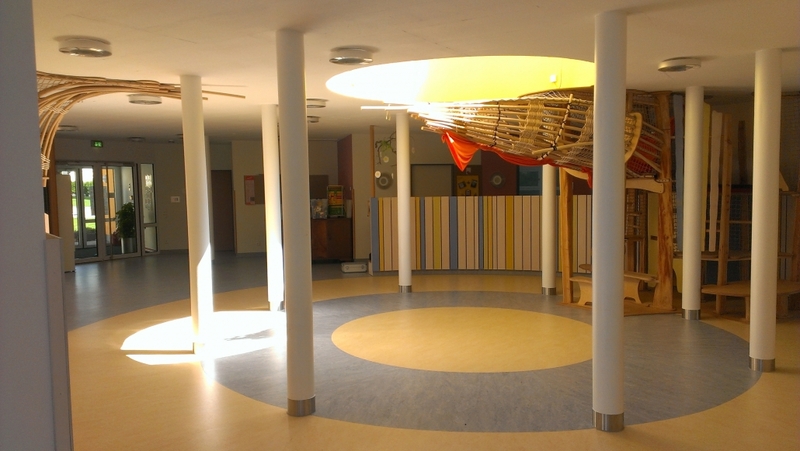 The nursery school is a preschool education centre as well as a sports and playing facility. 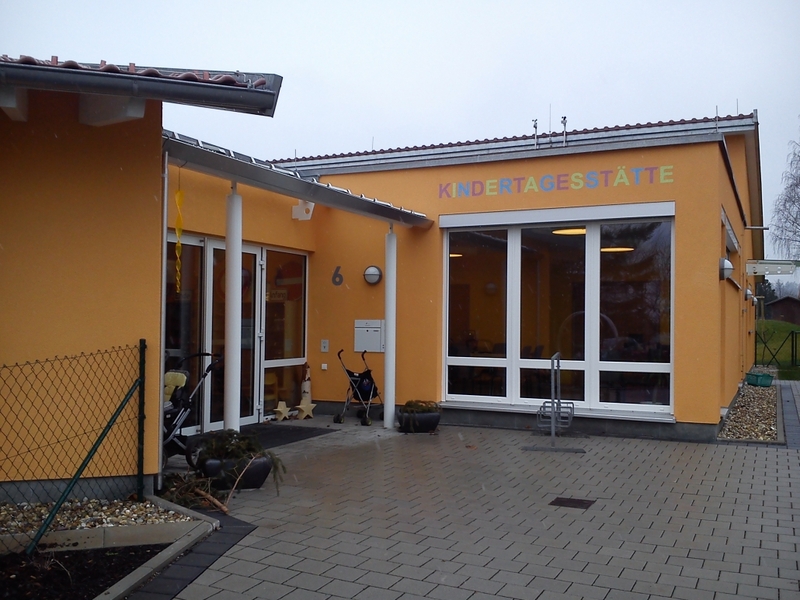 More than 80 children will be able to take advantage of this care service in the future. 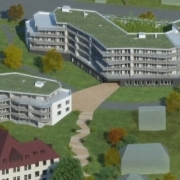 In Rheinfelden, the Adelberg development was planned. 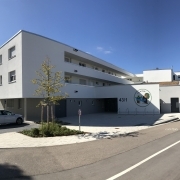 The new building comprised 2 construction phases. 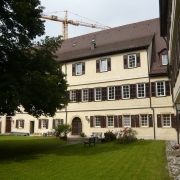 The first construction phase was House A with a basement, plinth, ground floor, 1st to 3rd floors and attic floor. 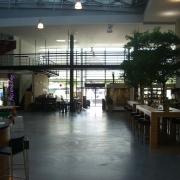 The underground car park is located on the ground floor. 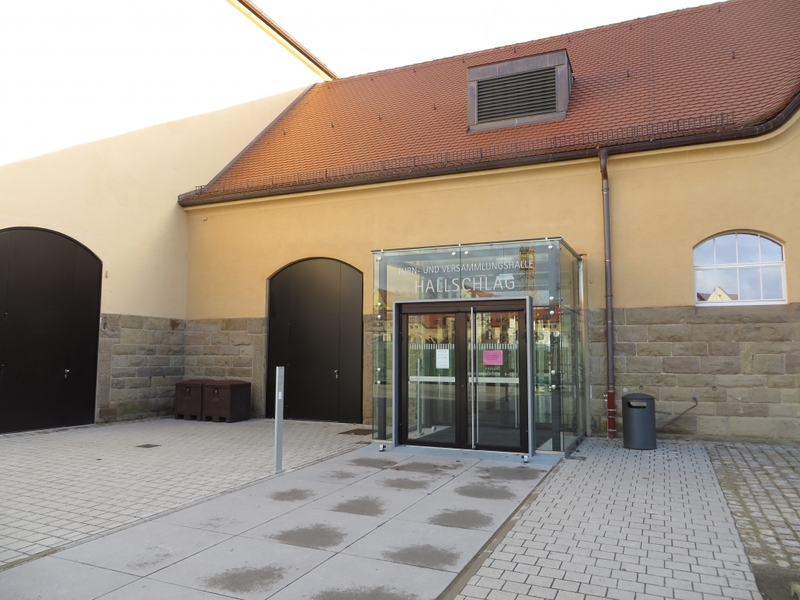 Cellars and service areas are located in the basement. 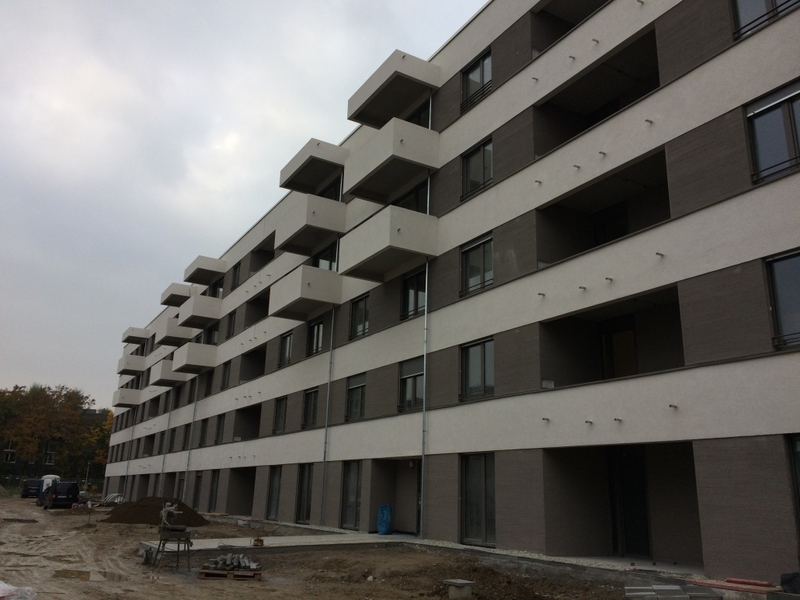 The 1st construction phase houses 44 apartments. 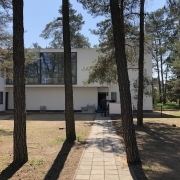 In the 2nd construction phase house B followed. 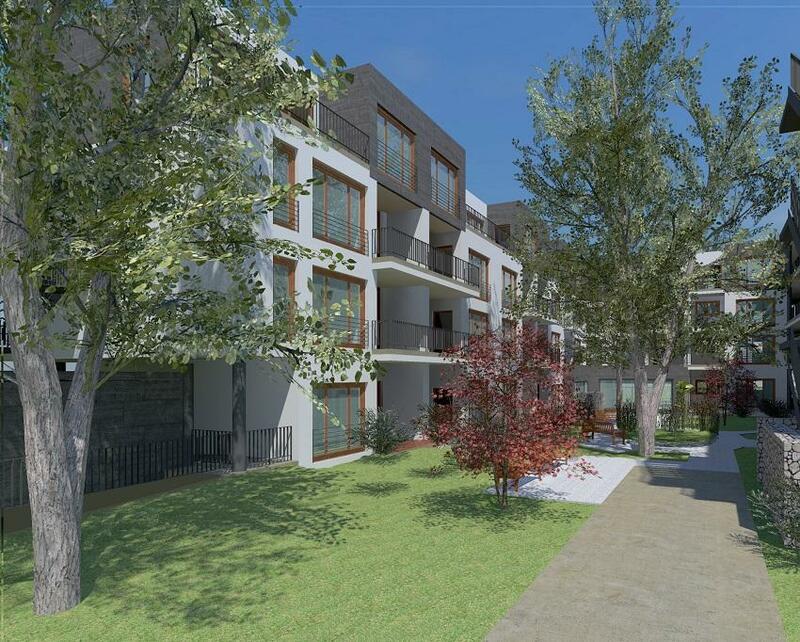 18 additional apartments are planned here. 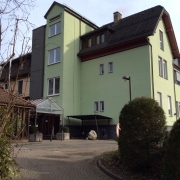 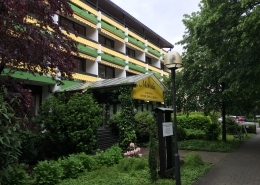 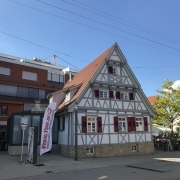 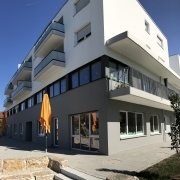 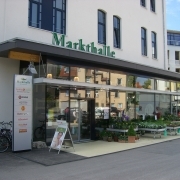 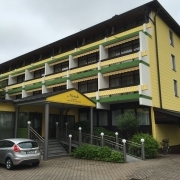 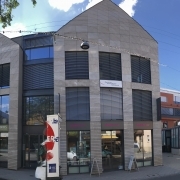 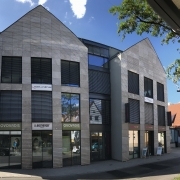 The Echterdinger Carré is a residential and service centre in the heart of Echterdingen. 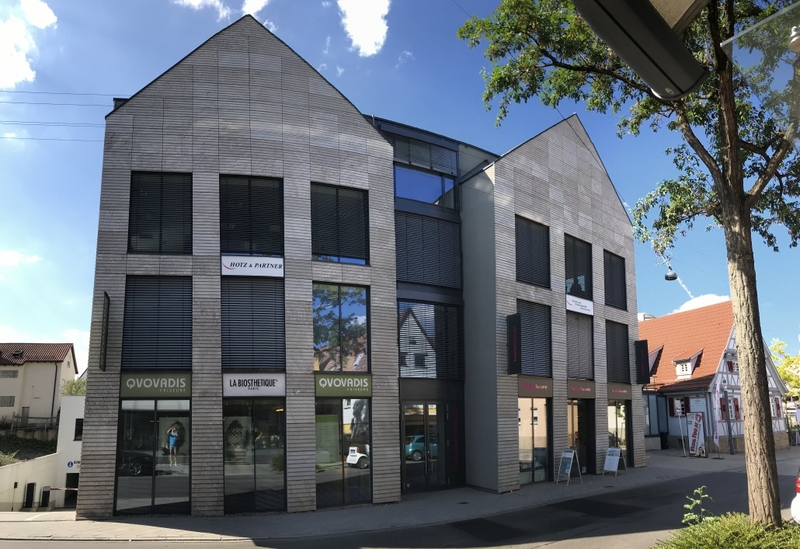 The building is divided into 2 construction phases and has a large discounter (salesroom) and smaller offices and shops on the ground floor. 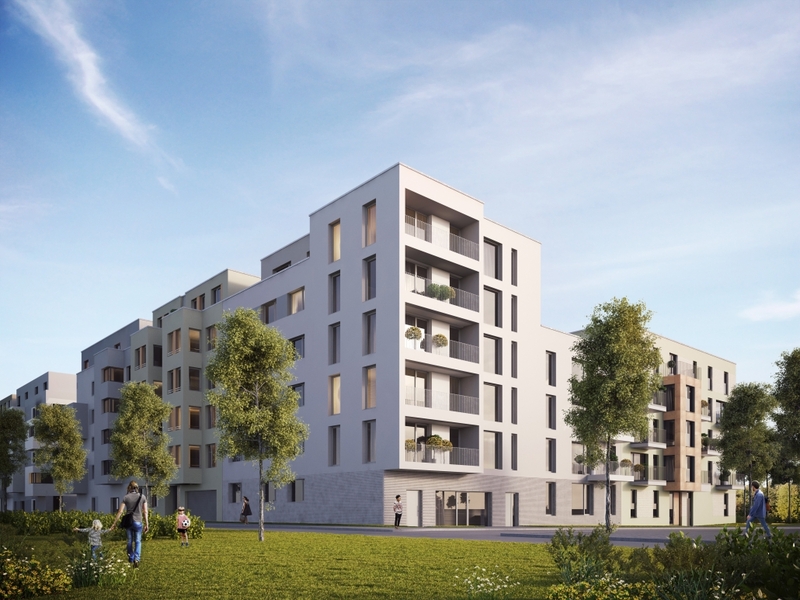 On the upper floors there are high-quality apartments and in the basement there is an underground garage (4,000 m²) connecting the first and second construction phases. 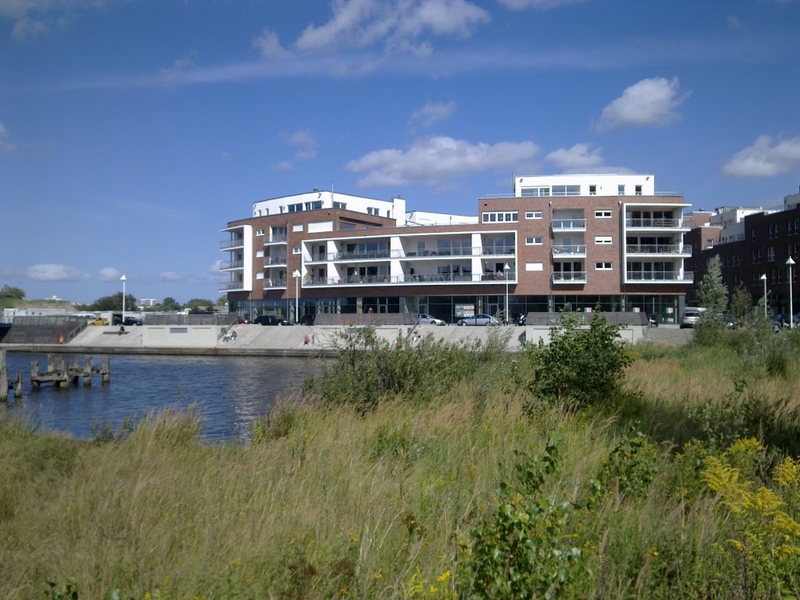 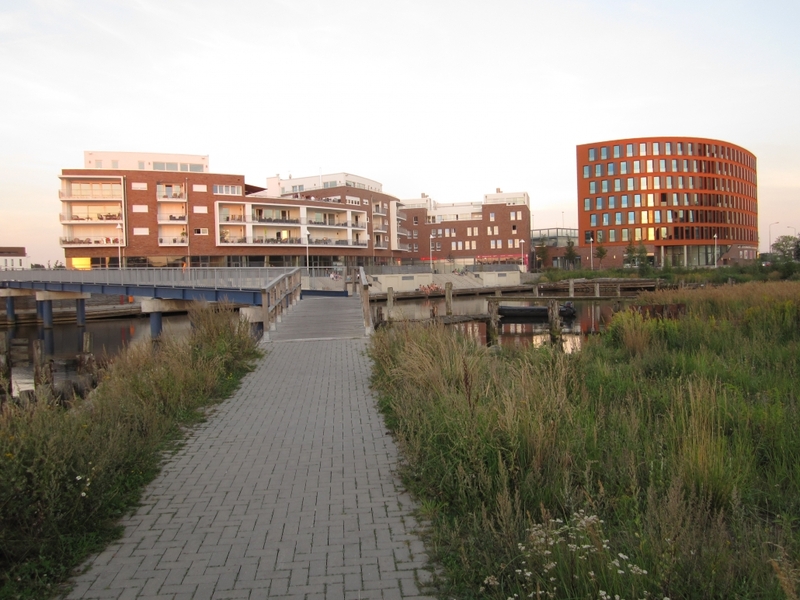 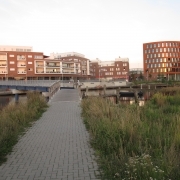 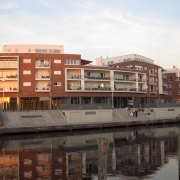 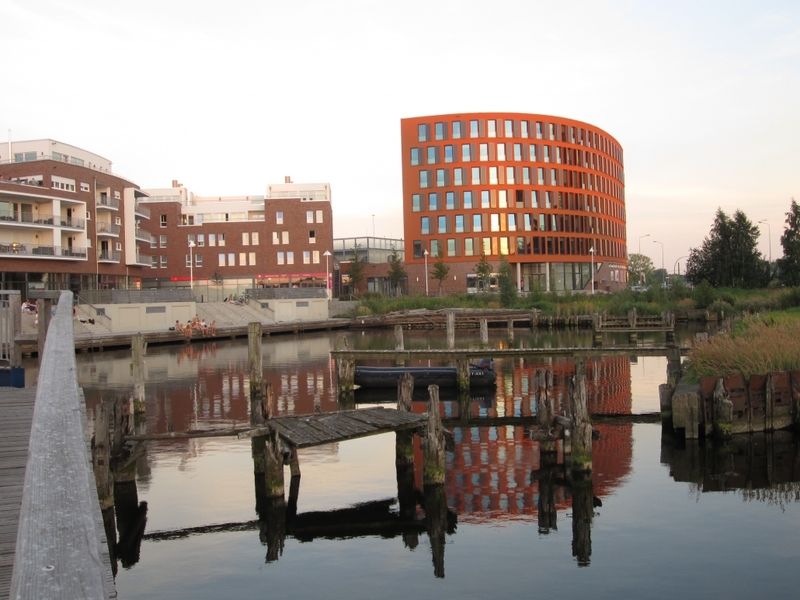 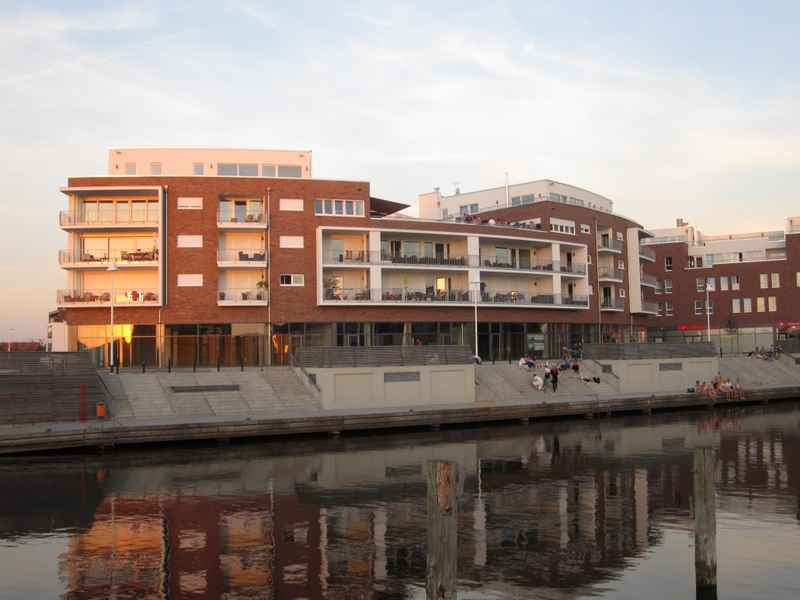 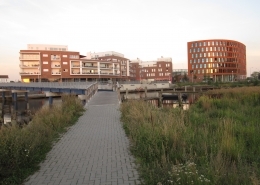 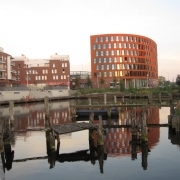 The Karavelle Quartier was built on the wooden peninsula in Rostock. 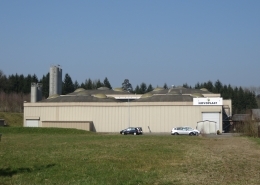 The area was built in a star shape with 6 components. 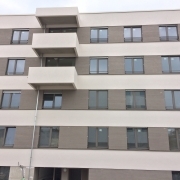 The project was implemented in various construction phases. 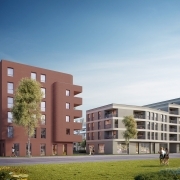 The construction includes the nursing home and the office building, each with commercial units on the ground floor and a residential building (38 apartments with catering facilities on the ground floor, underground car park). 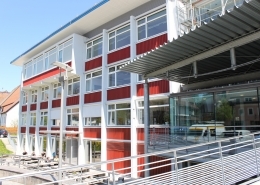 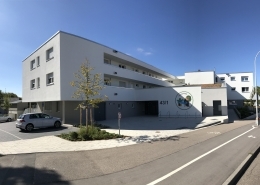 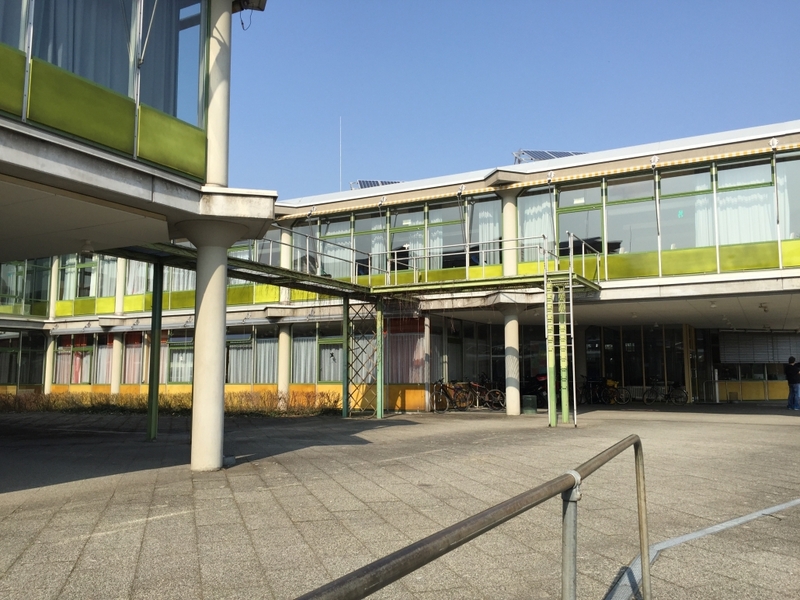 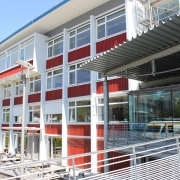 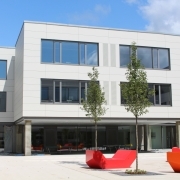 The Duale Hochschule Baden-Württemberg (DHBW) has rented the floors 3 to 5 as a supplement to its classrooms in the Rotebühlstrasse. 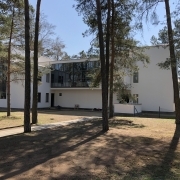 These have now been converted to accommodate the group work and classrooms as well as offices for professors and secretariats. 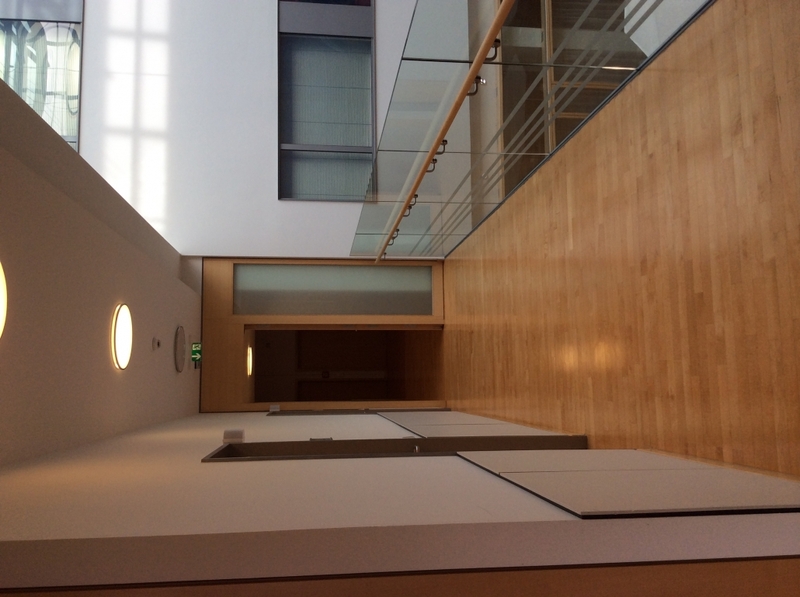 In the remaining floors there were no significant changes. 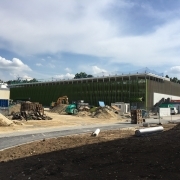 Due to the conversion measures we were assigned to carry out the heat protection calculations according to the EnEV. In addition, our tasks were the planning of the room acoustics in 2 exemplary rooms as well as measurements of the impact and airborne noise. 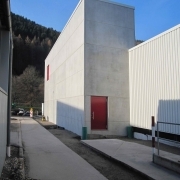 We have compiled a noise protection certificate. 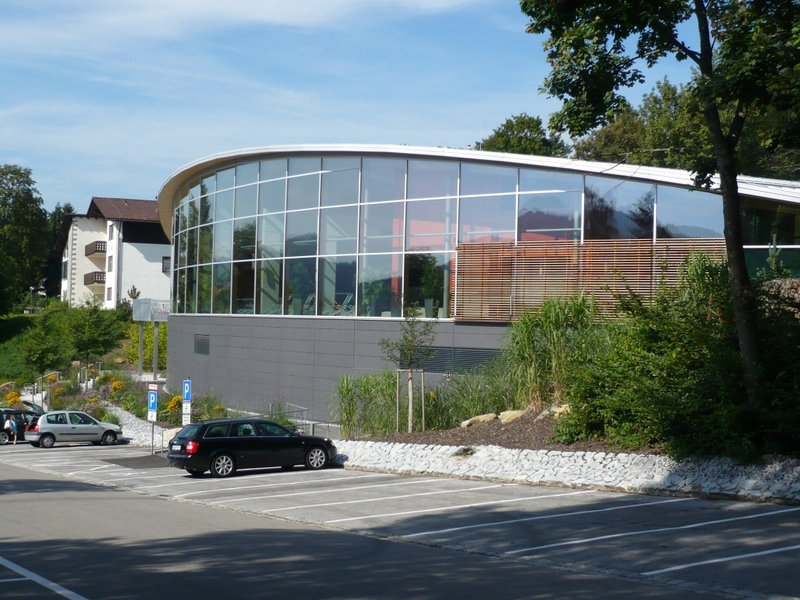 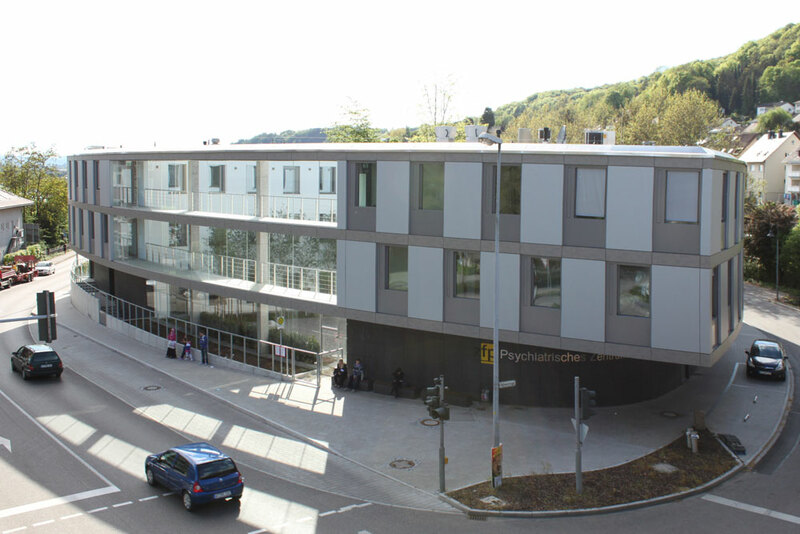 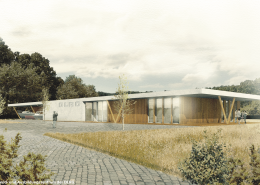 The psychiatry Reichenau planned the construction of a new treatment centre in Waldshut-Tiengen. 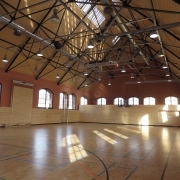 The building was constructed as a solid structure with 4 full storeys. 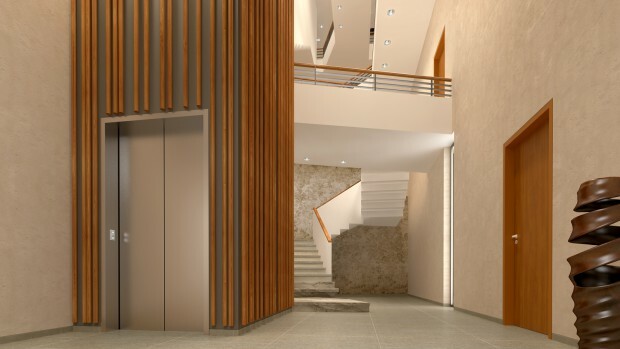 On the ground floor there is a dining room, a kiosk as well as a reception and doctor’s rooms. 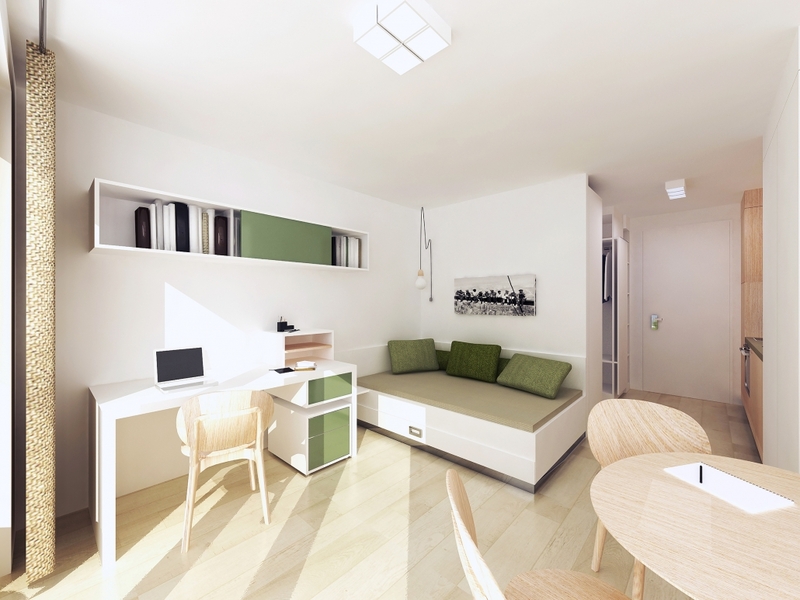 There are also 2-bed rooms in the 2nd wing of the ground floor. 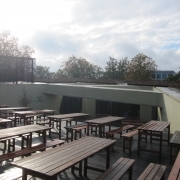 In the basement, the underground car park was set as unheated, the staff rooms and storage facilities, rooms for heating, ventilation technology and electrical engineering as heated. 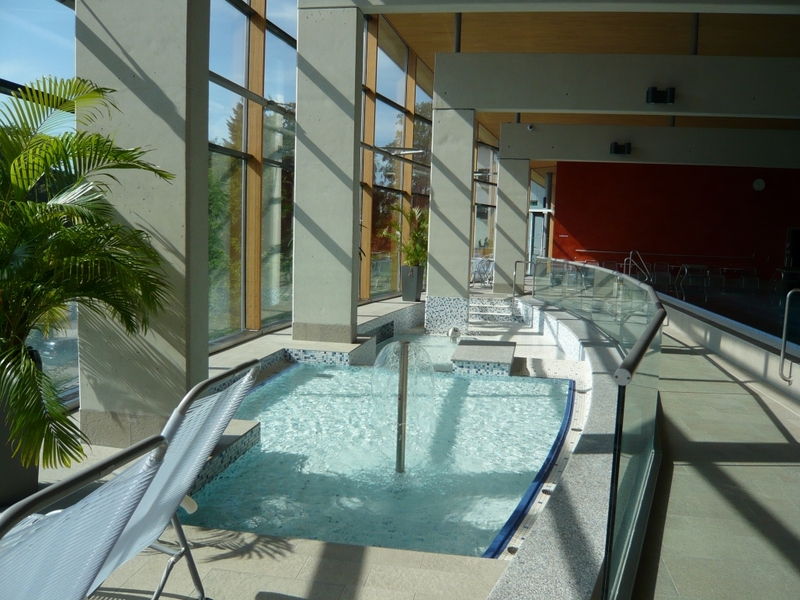 In the 1st upper floor 1- and 2-bed rooms and lounges are accommodated. 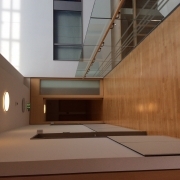 The 2nd floor houses offices and therapy rooms. 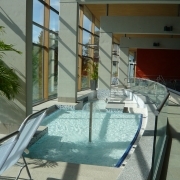 There is also a sanitary area with a fitness room, sauna and showers. 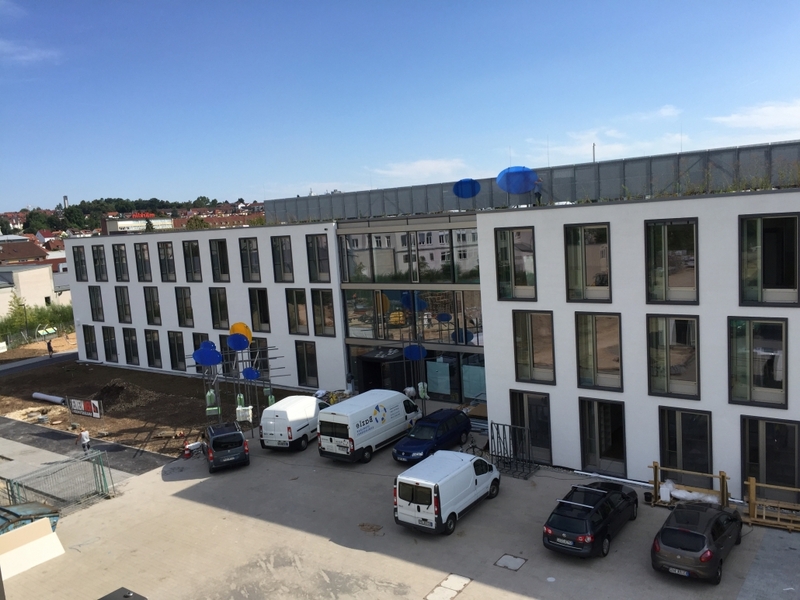 IFB Ingenieure GmbH was assigned to plan the thermal protection as well as the building and room acoustics for this building. 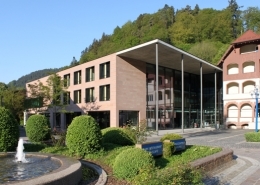 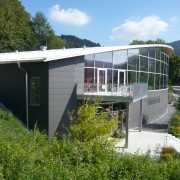 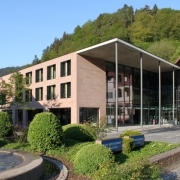 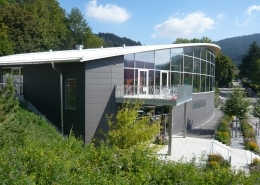 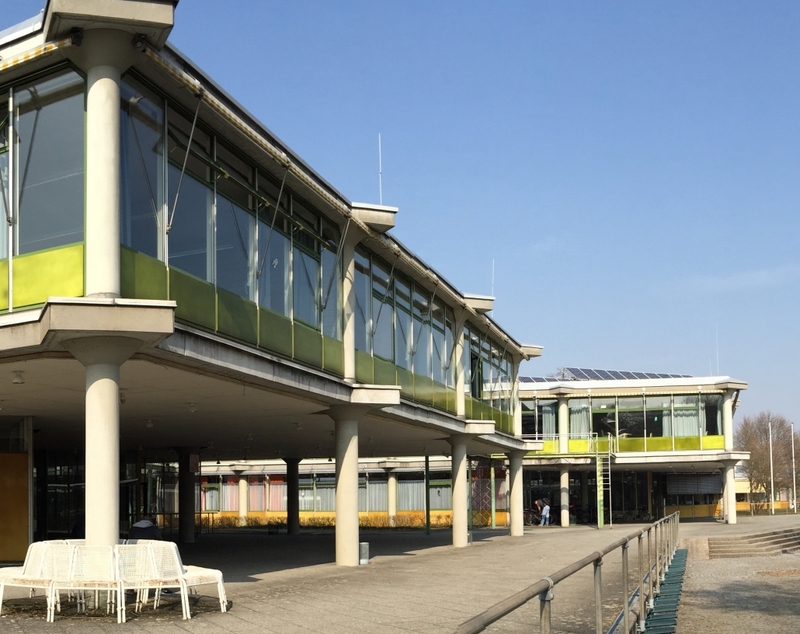 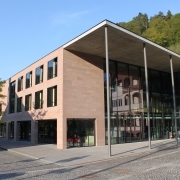 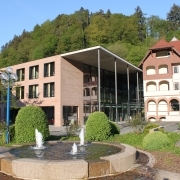 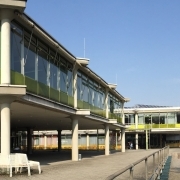 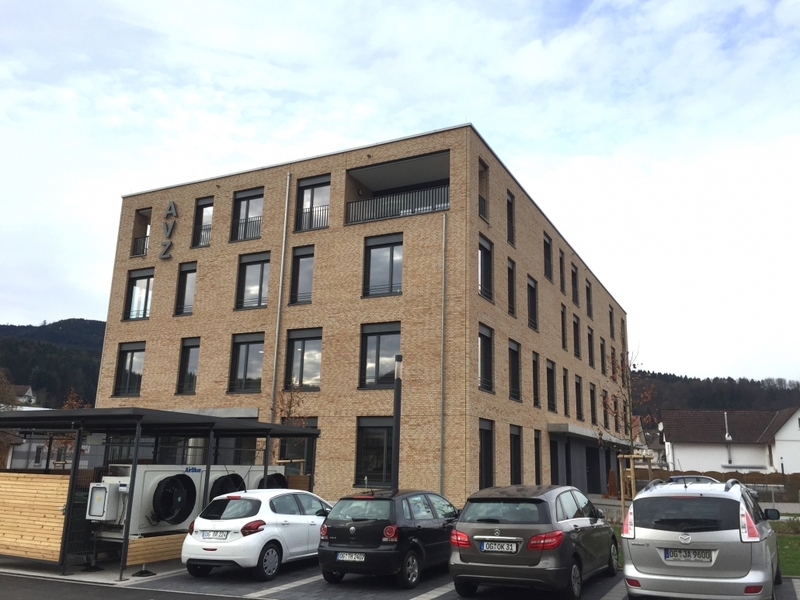 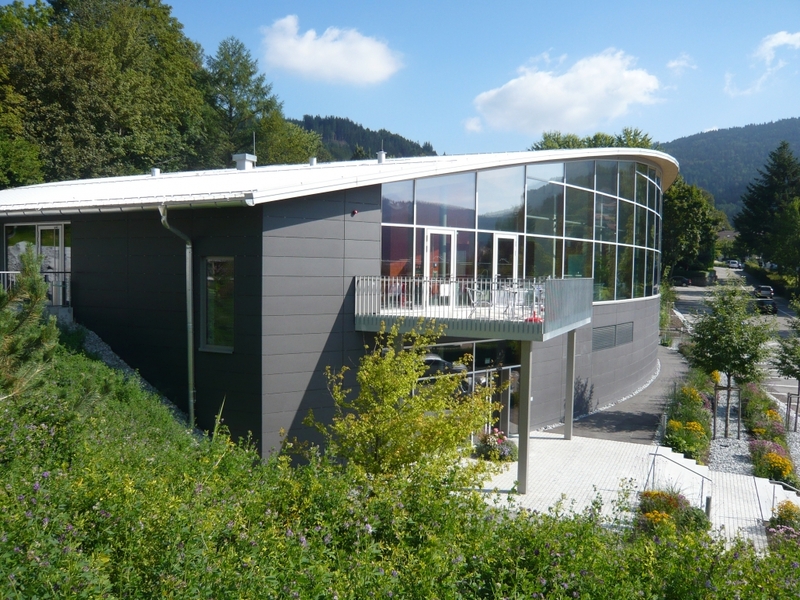 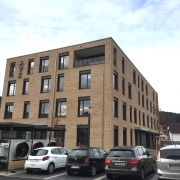 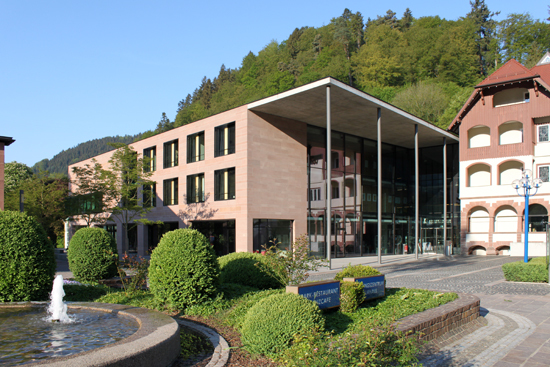 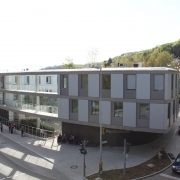 At the University of Furtwangen, various energy-saving measures were carried out in Building A, which have made a lasting contribution to the upgrading of the property. 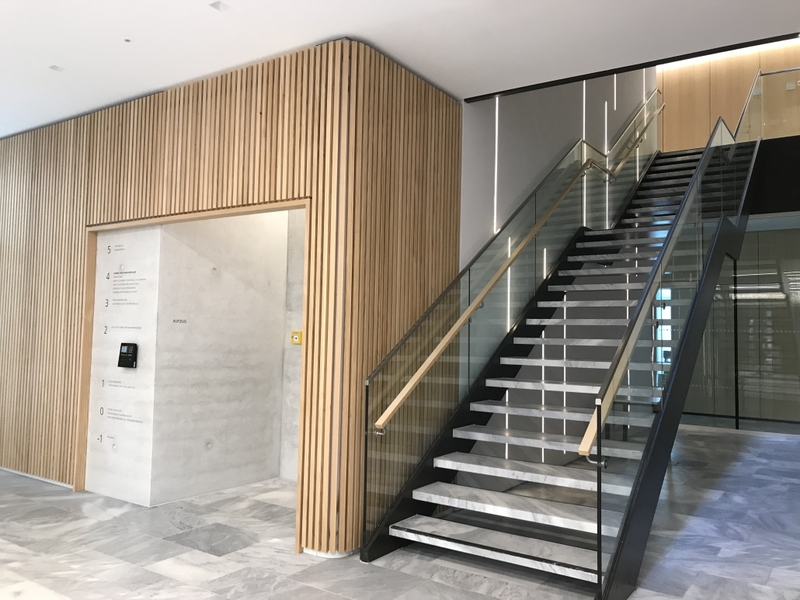 The building is also the representative entrance of the building ensemble, has a partial basement and has 4 full storeys. 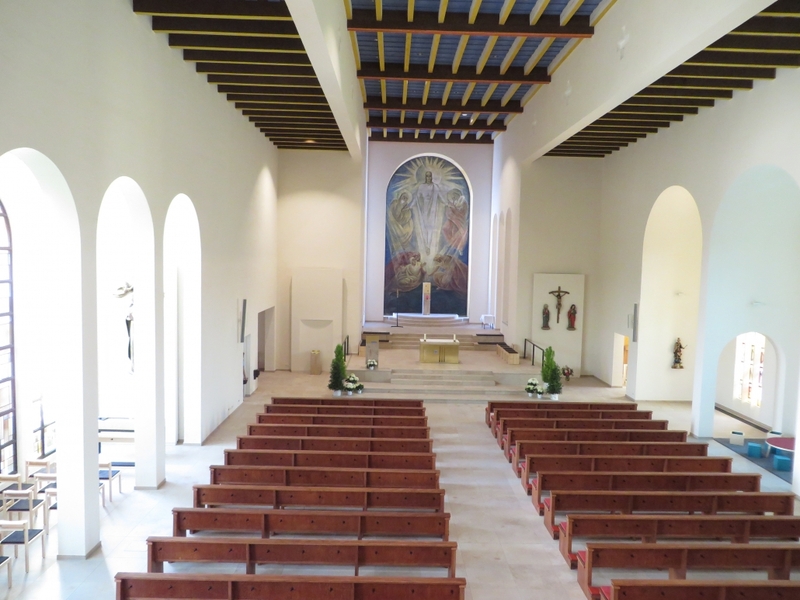 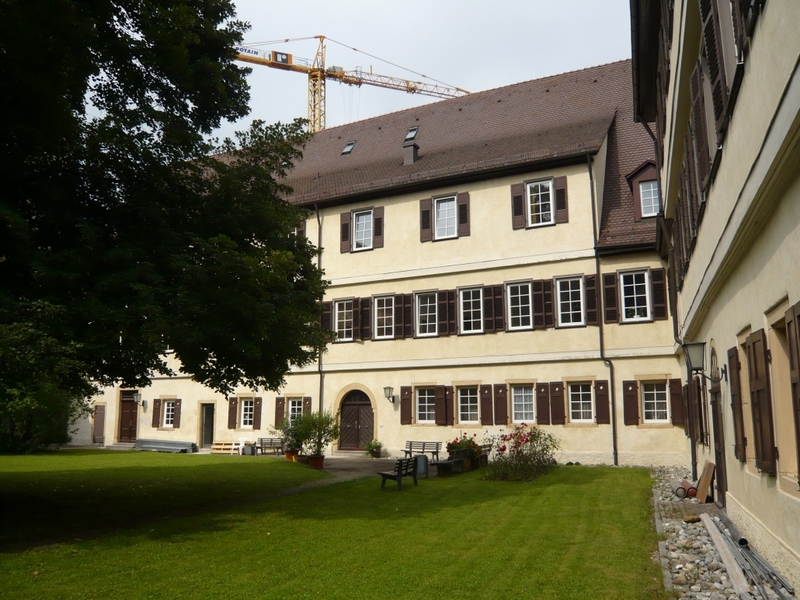 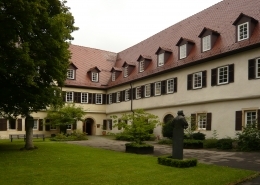 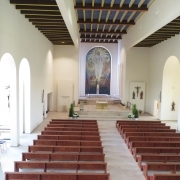 The monastery in Bad Urach was to be rebuilt and renovated. 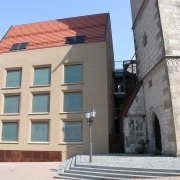 The building was built in the 19th century and consists of solid sandstone and tuff masonry in the basement and ground floor. 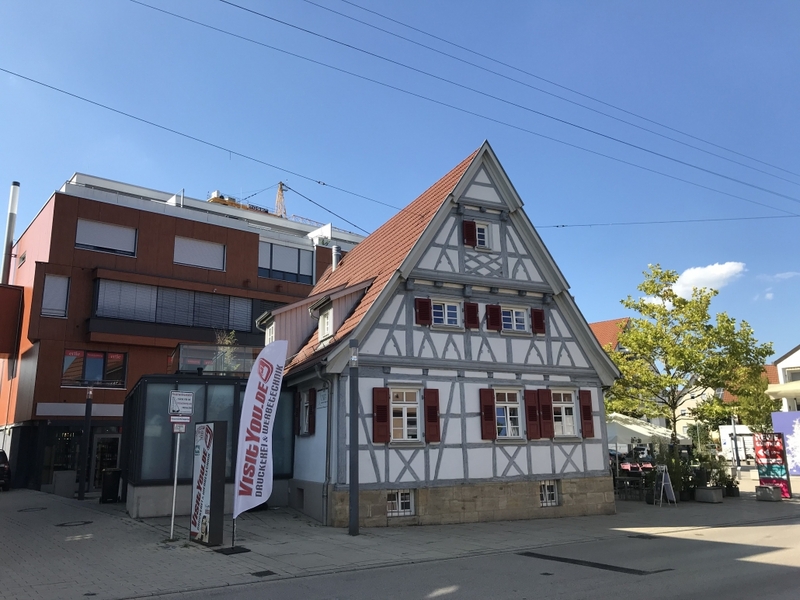 Above the half-timbered upper floor there are two attics with large and small dormers. 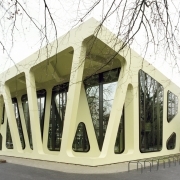 The thermal improvement of the shell of the listed building through thermal protection played a major role in the refurbishment. 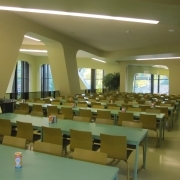 Interventions in the old building substance required physical building investigations and calculations in order to prevent damage, especially from moisture. 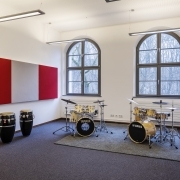 In the course of the conversion, sound protection and room acoustics in all relevant building areas were to be improved wherever possible and economically justifiable. 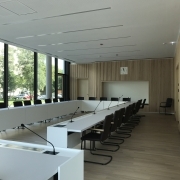 IFB Ingenieure was assigned to plan the thermal and acoustic protection as well as the room acoustics. 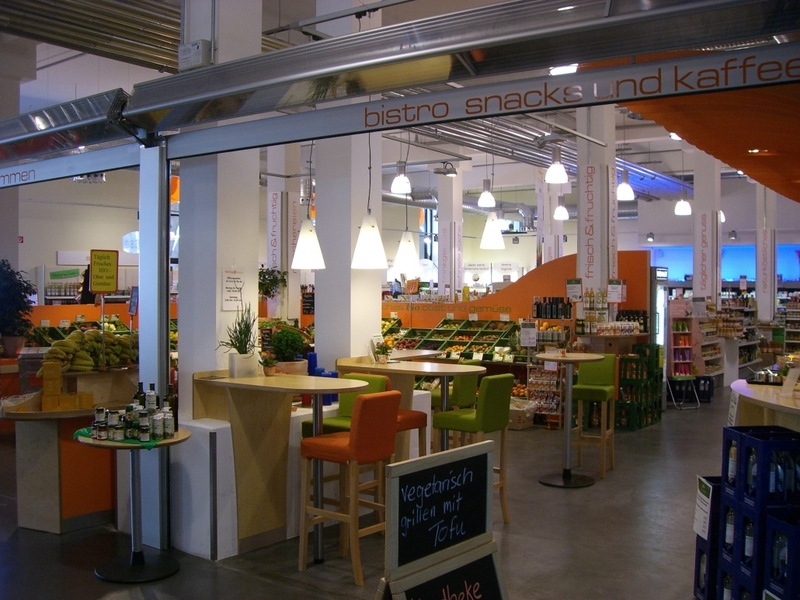 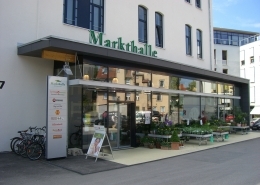 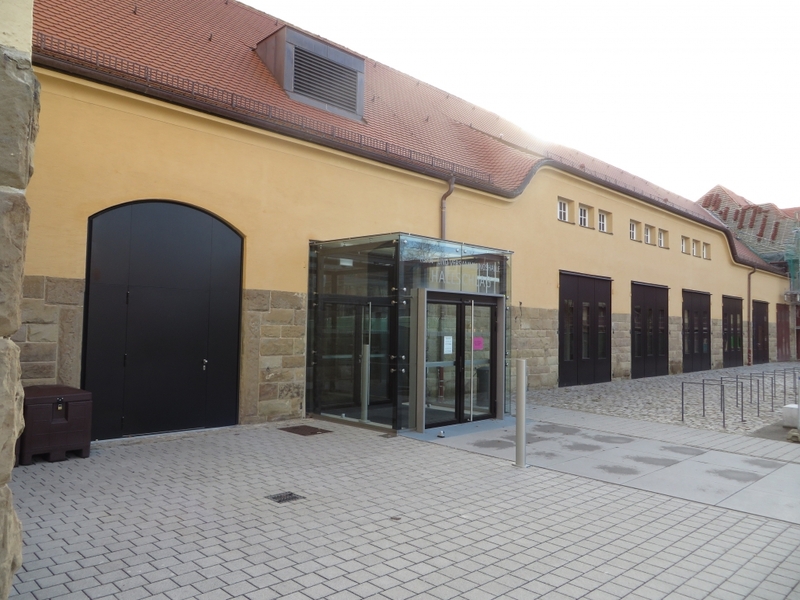 The Markthalle Reutlingen Obere Wässere GmbH & Co. KG planned the conversion and extension of the former factory building “Engel” into a market hall with commercial units and surgeries. 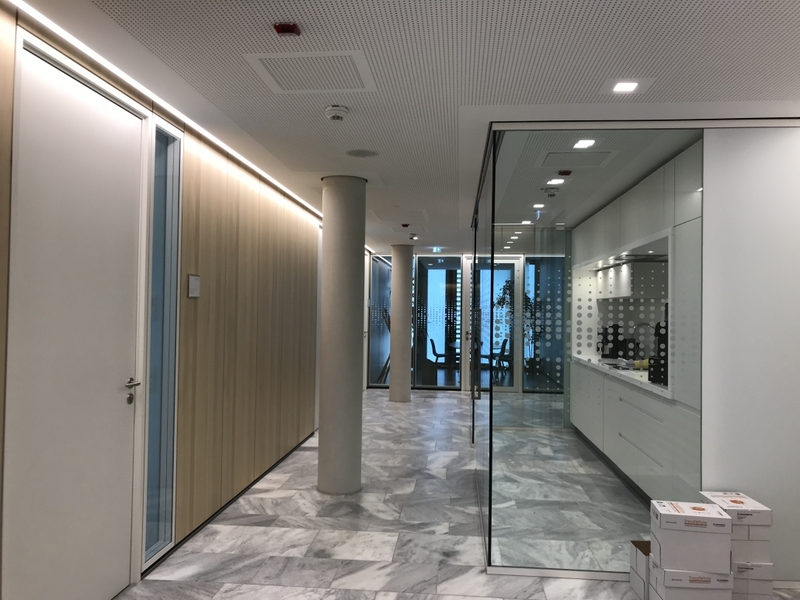 IFB Ingenieure GmbH was assigned with the building acoustics and room acoustics planning as well as heat and moisture protection. 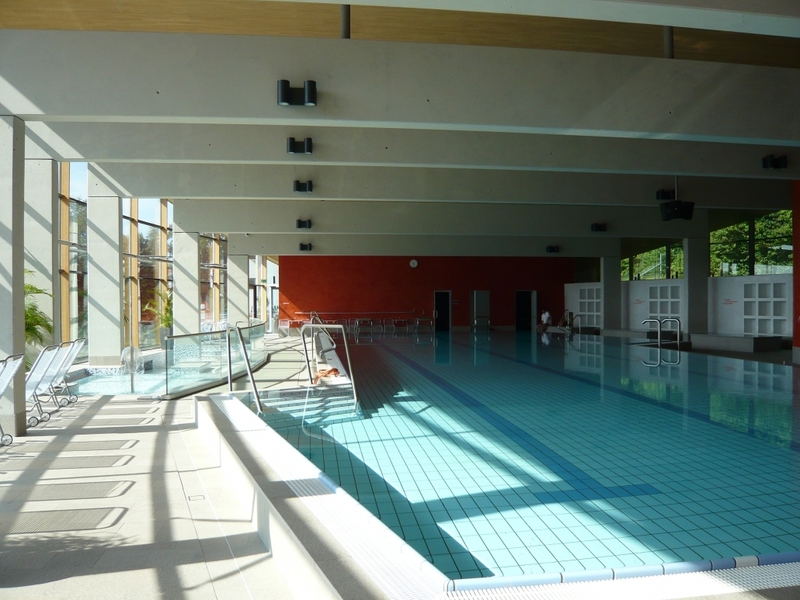 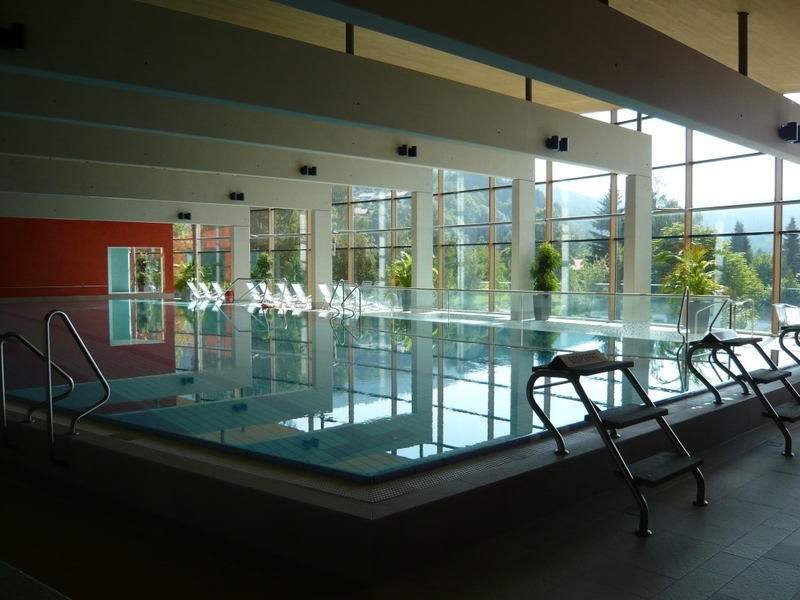 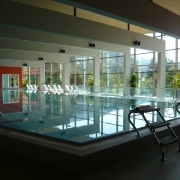 The indoor swimming pool in Bodenmais was completely renovated. 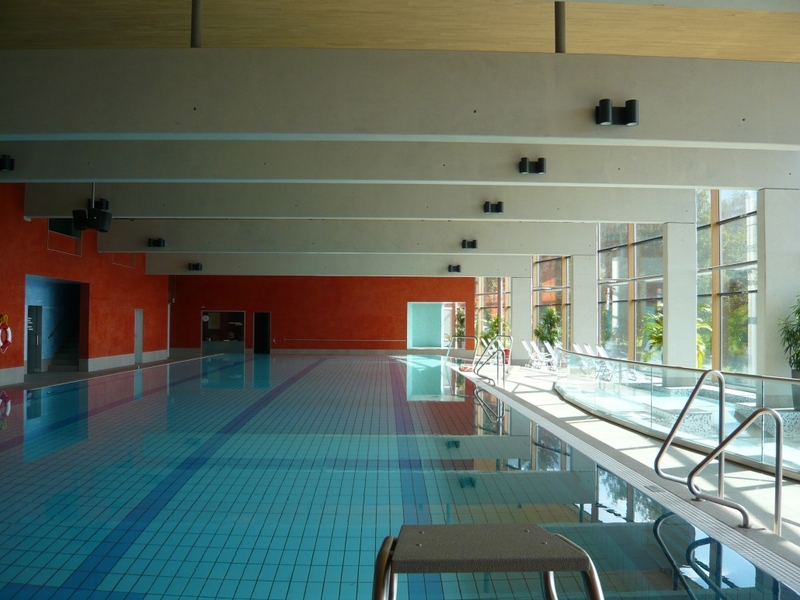 The swimming pool and technical room in the basement have been preserved. 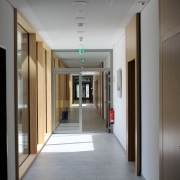 Apart from that, the building was extensively renovated. 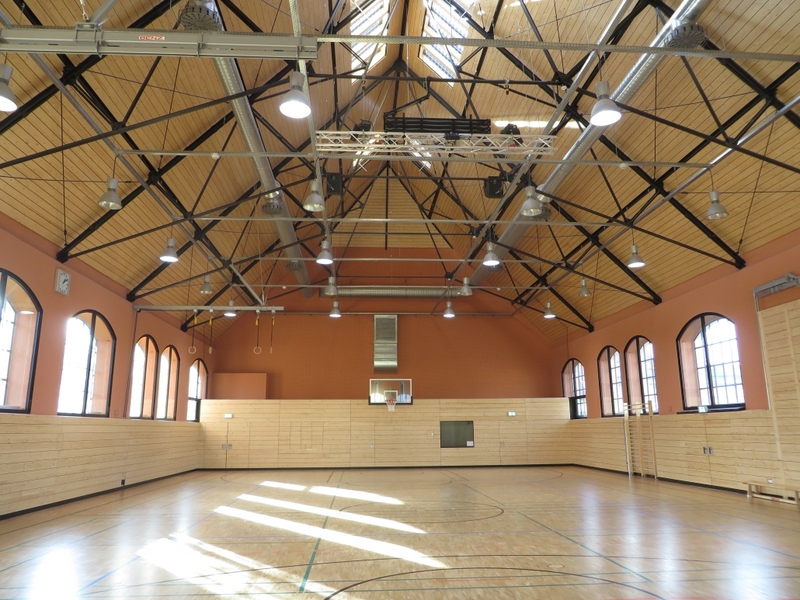 The roof is a wooden construction and the east and west facades are glazed. 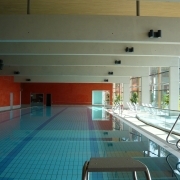 In addition, the indoor swimming pool was extended by a new bathing level with a checkout, changing room, shower and sauna area. 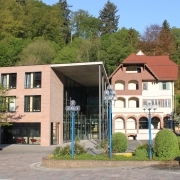 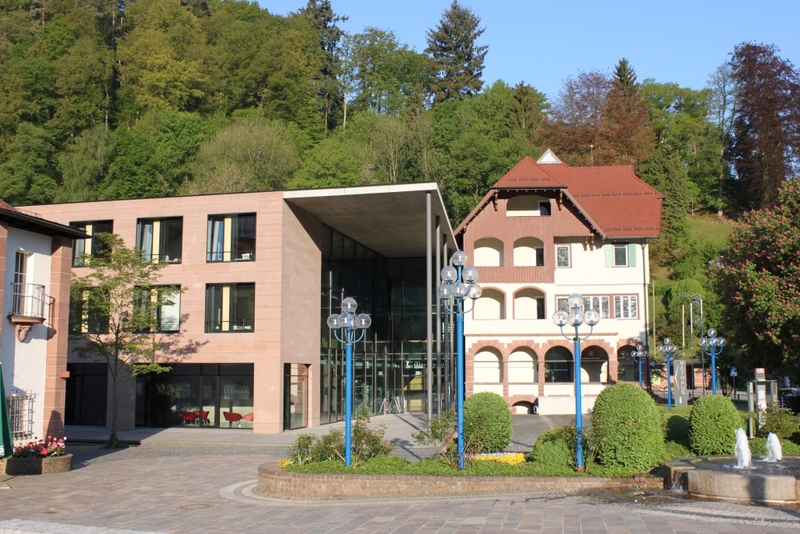 The existing town hall of Bad Liebenzell was rebuilt and renovated and expanded into a citizens’ centre with a new building. 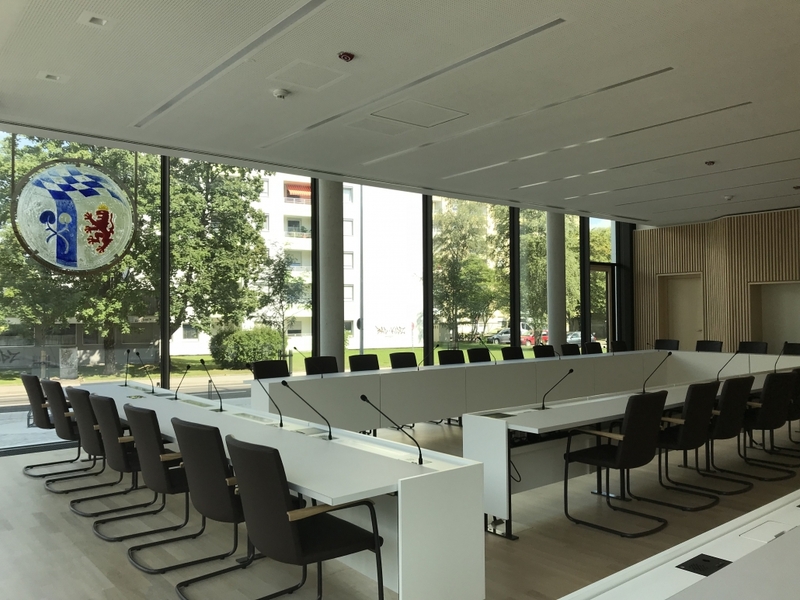 In addition to the city administration, the notary’s office and the resort administration with a tourist office are accommodated in the new citizens’ centre. 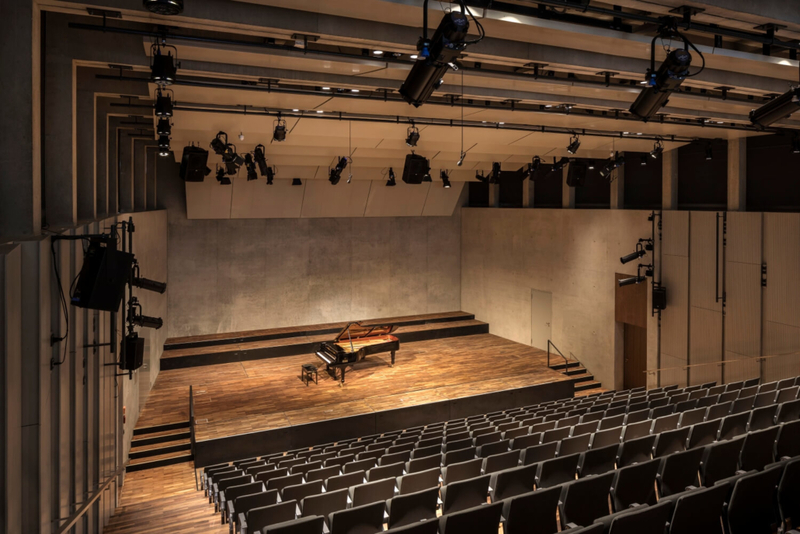 The conference hall with gallery and the citizen hall, which is also used for concerts, were examined acoustically.